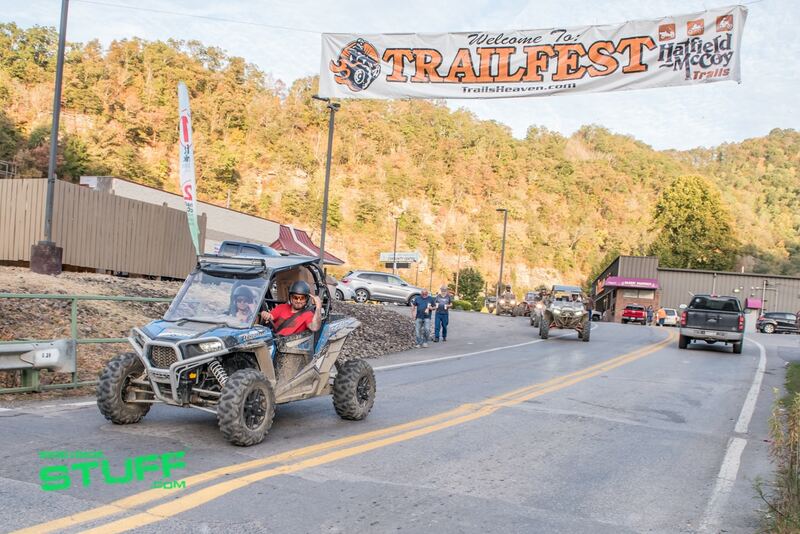 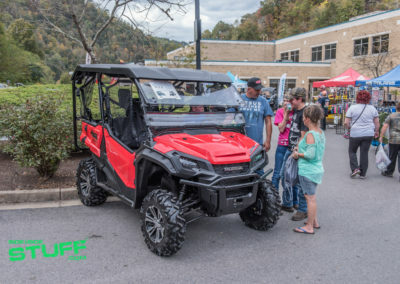 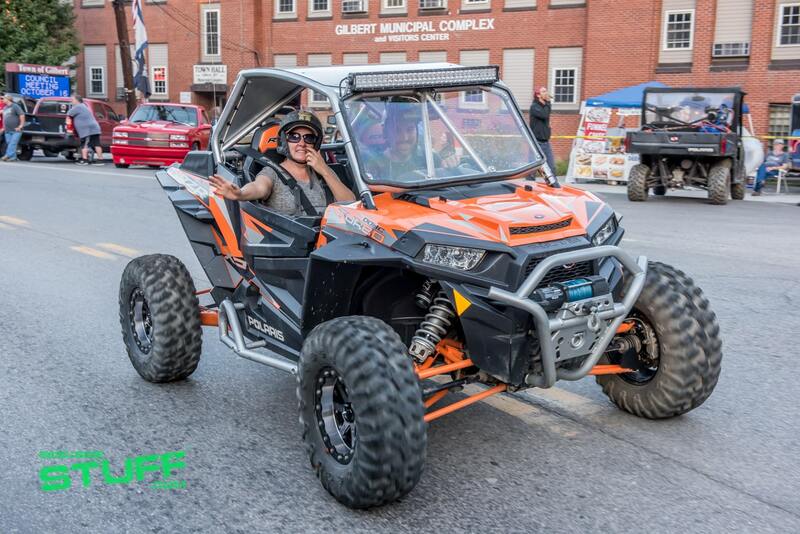 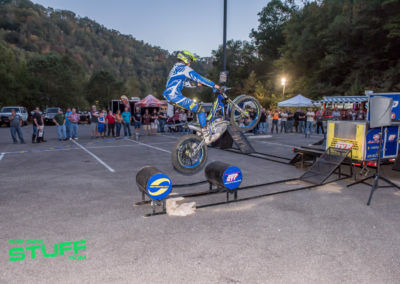 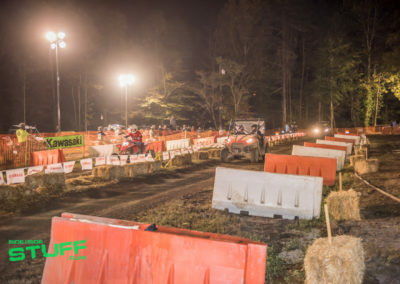 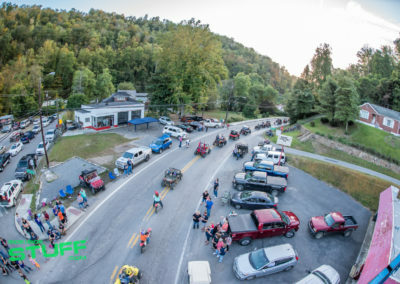 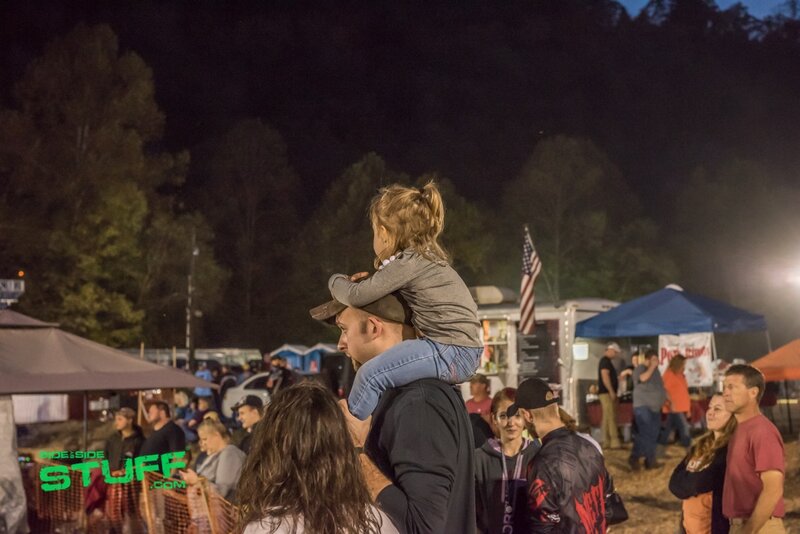 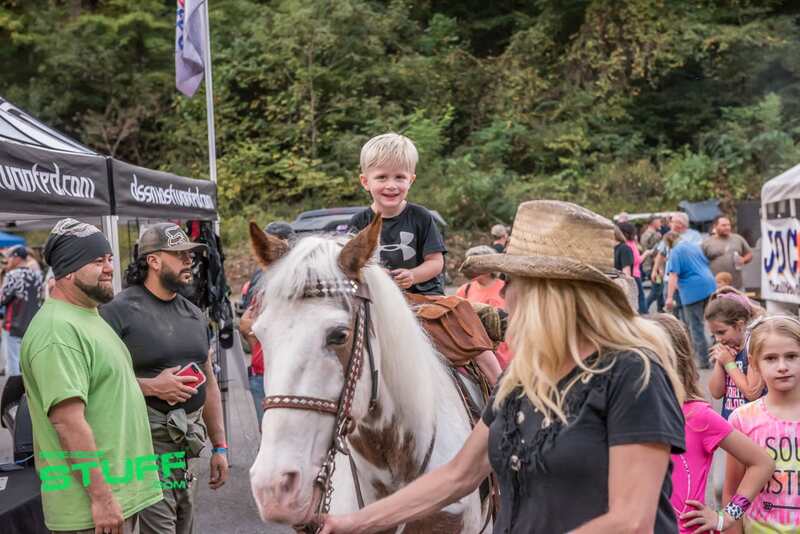 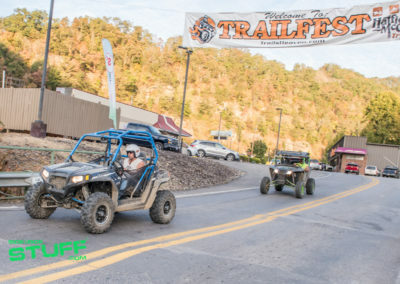 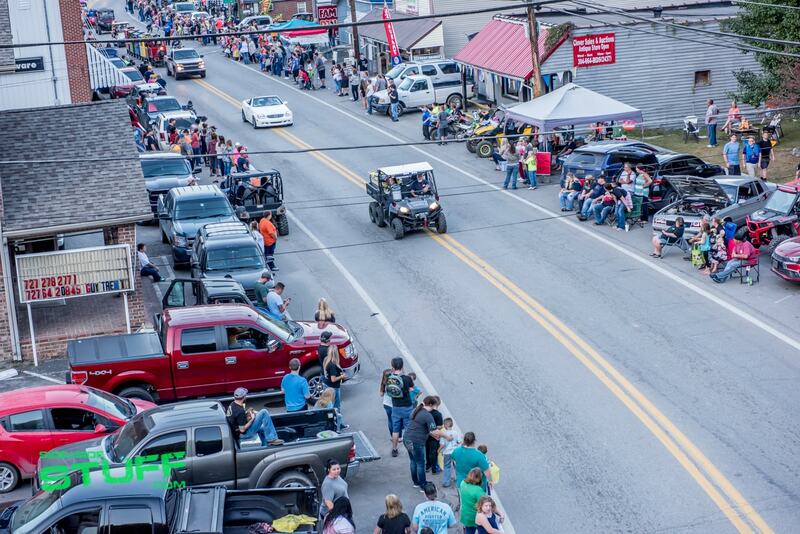 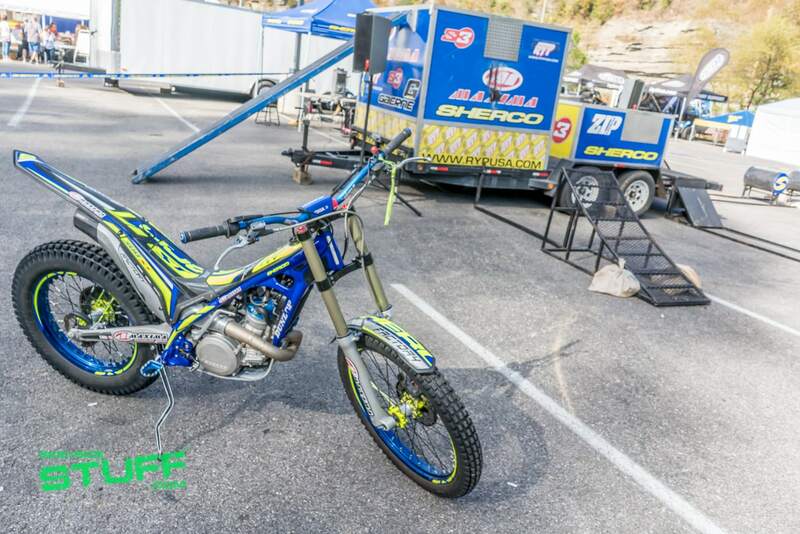 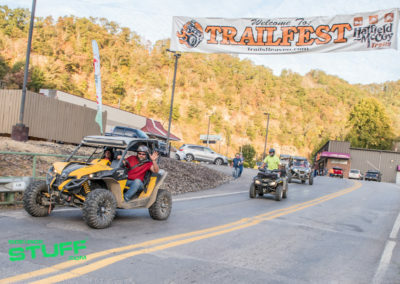 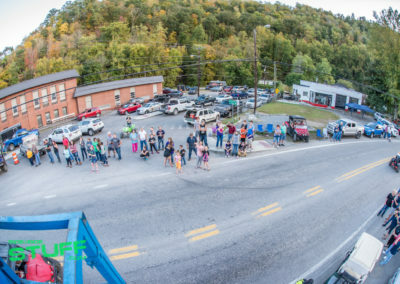 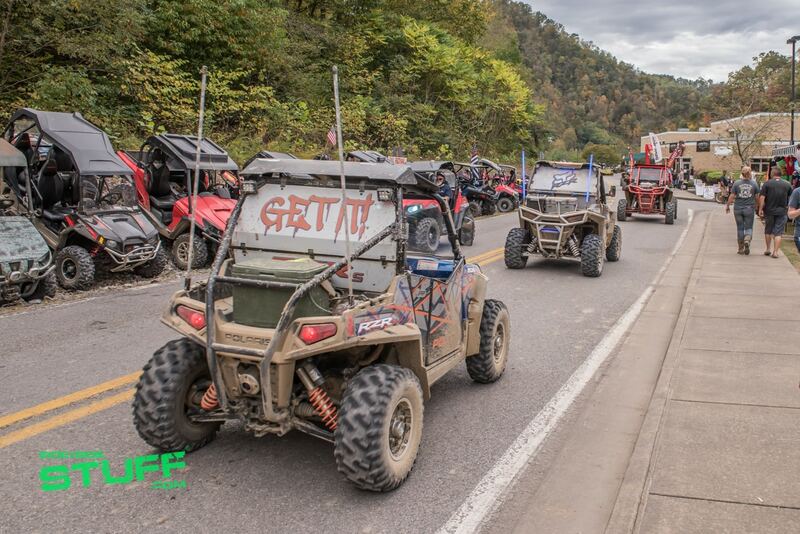 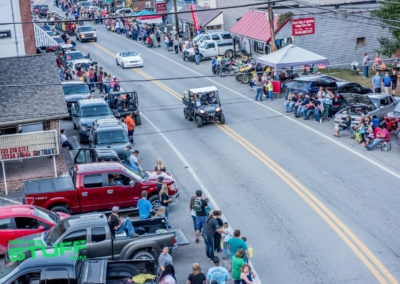 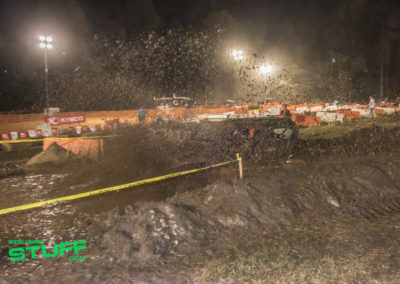 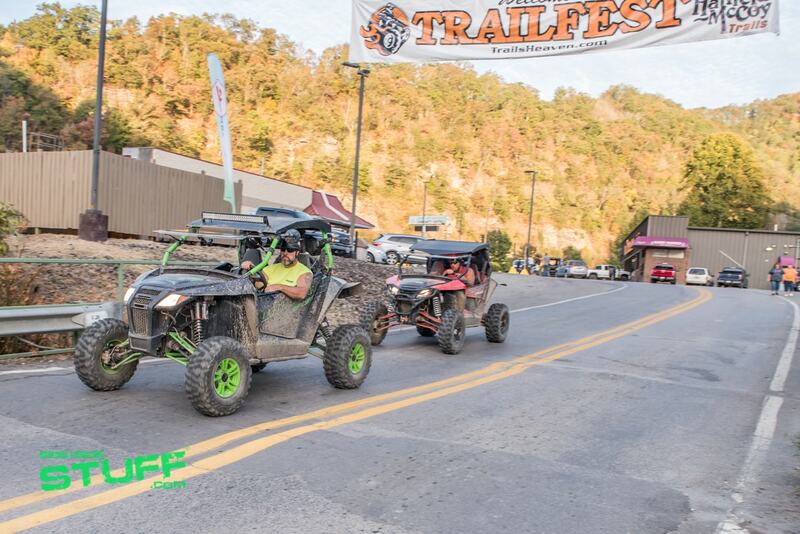 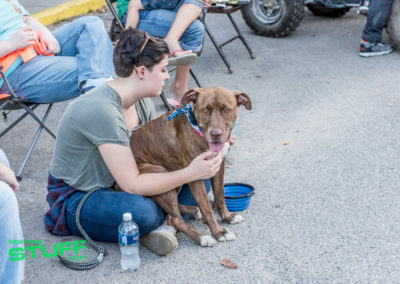 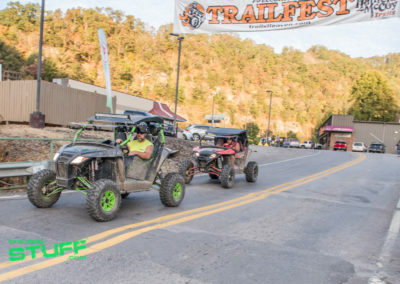 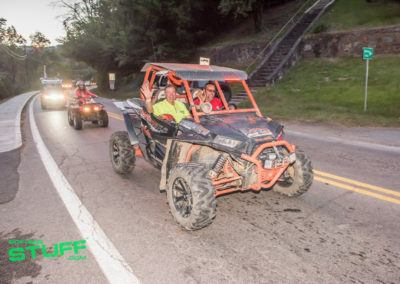 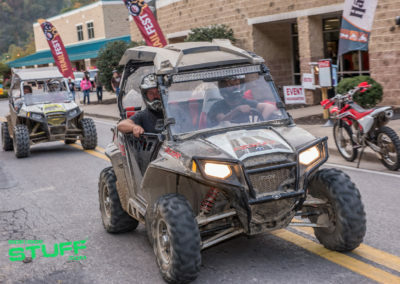 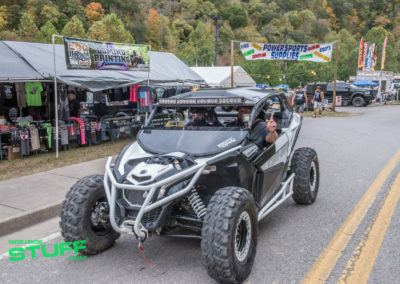 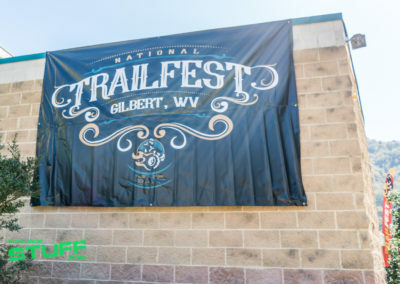 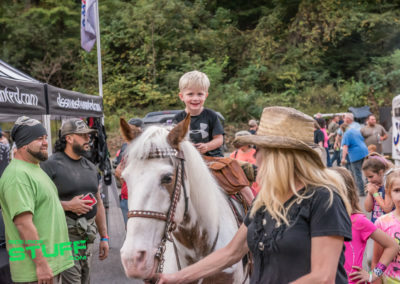 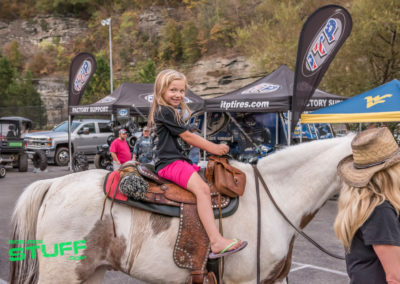 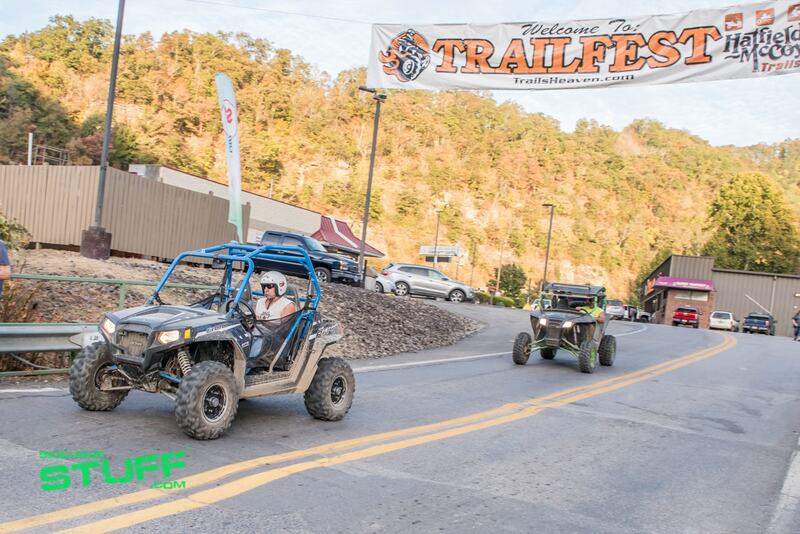 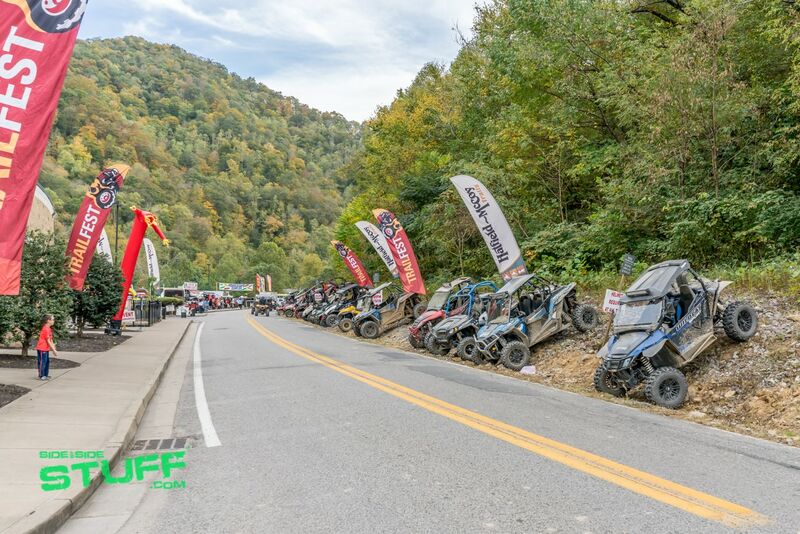 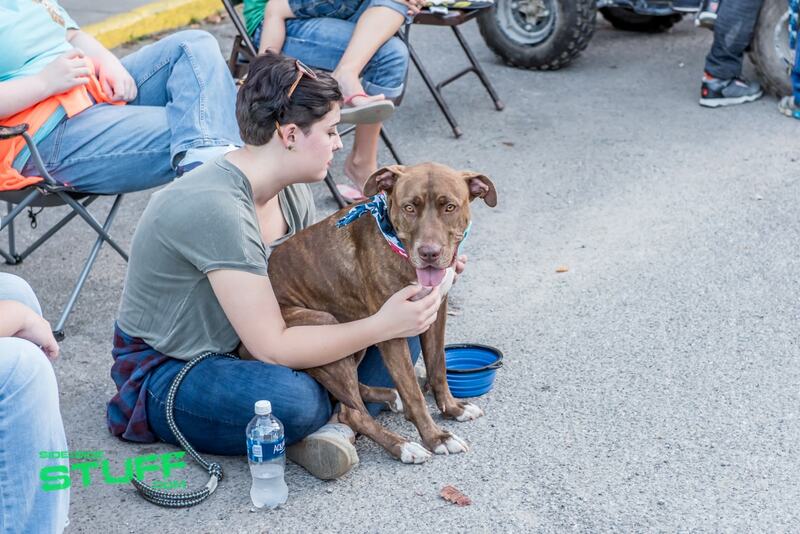 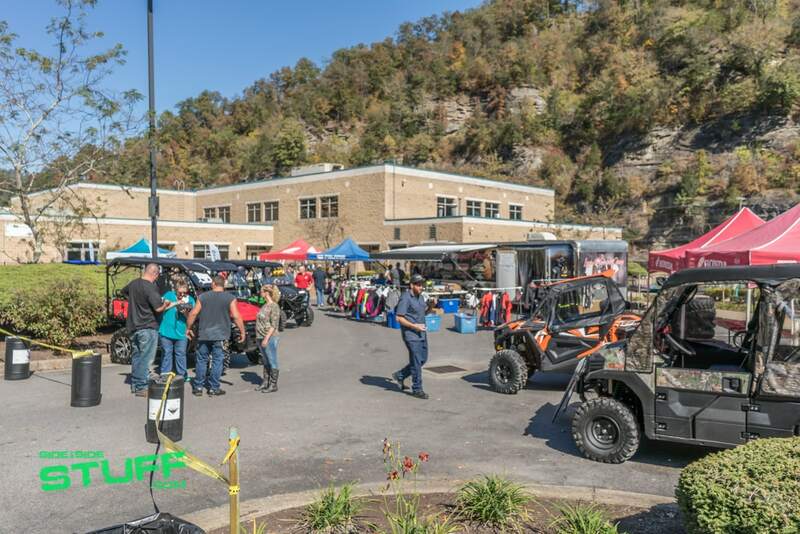 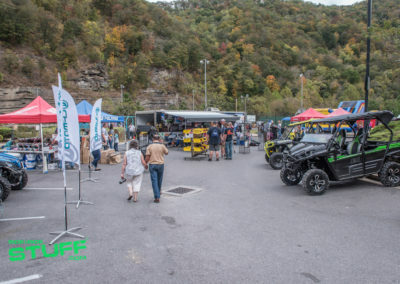 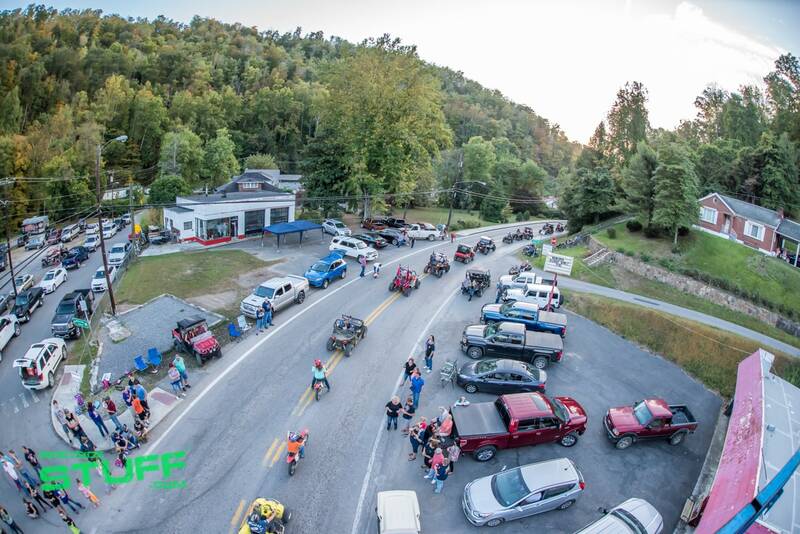 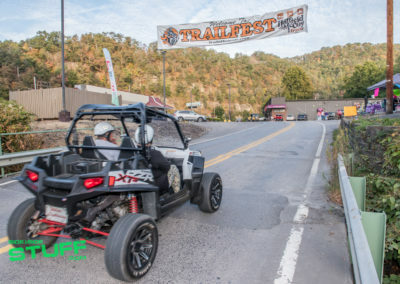 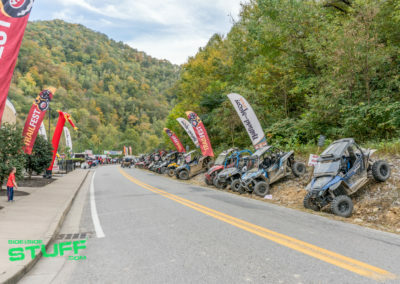 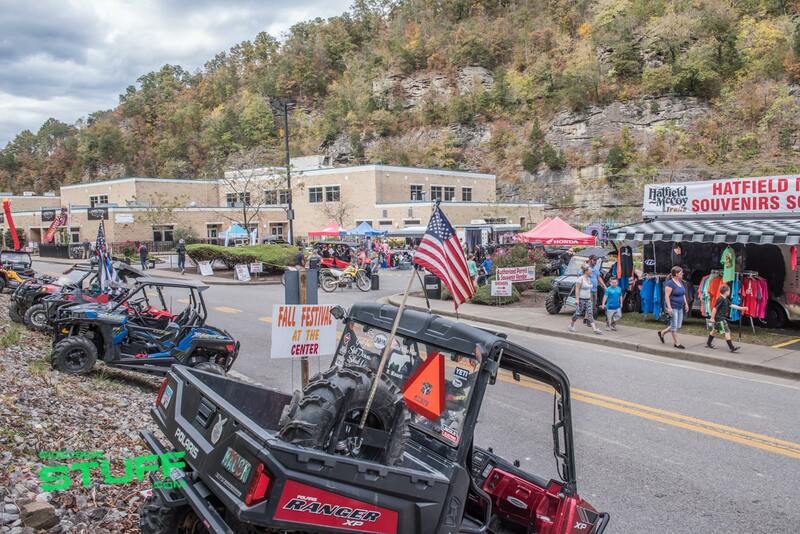 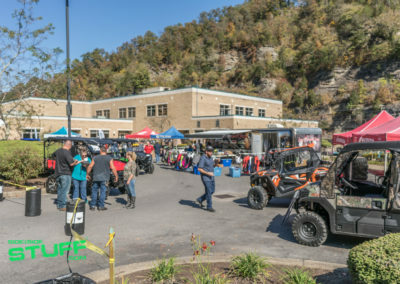 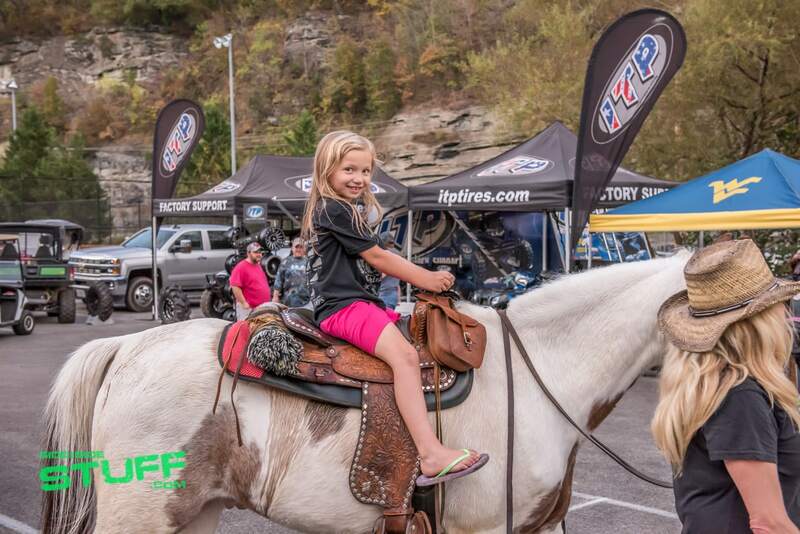 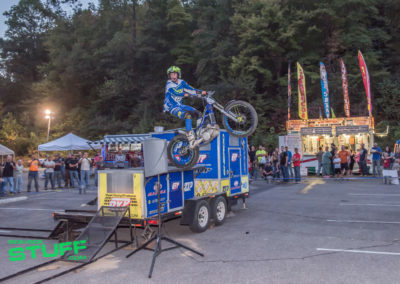 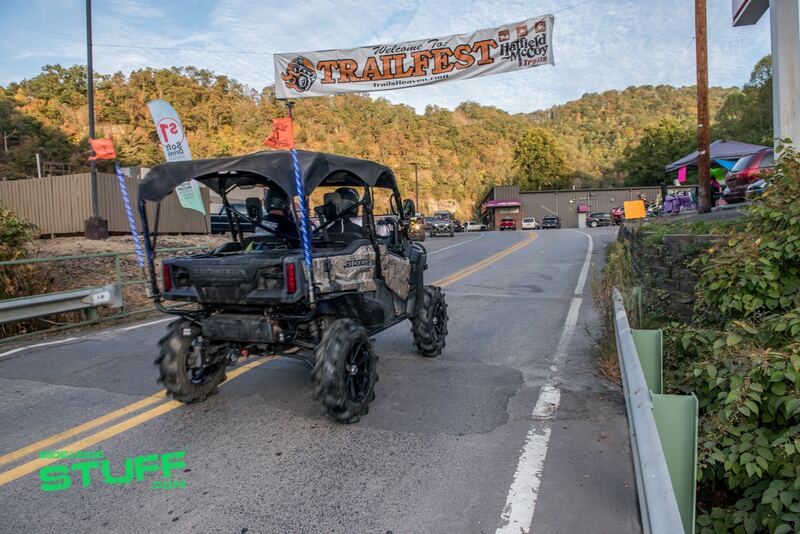 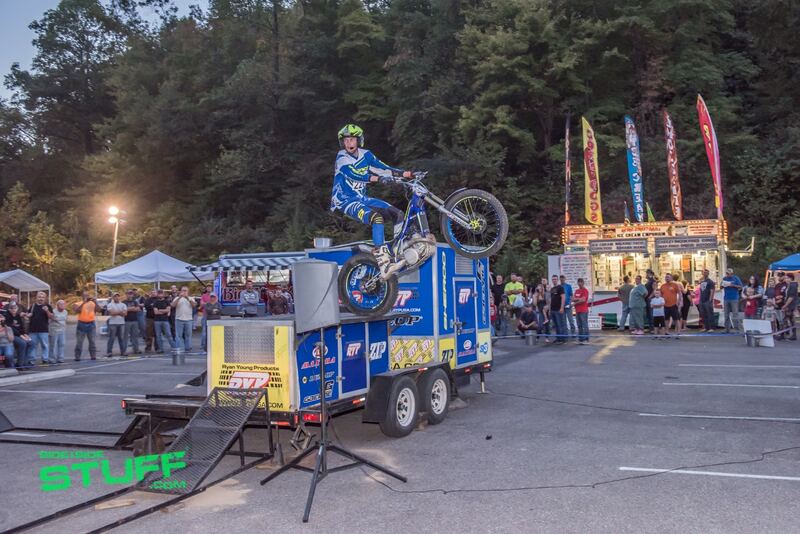 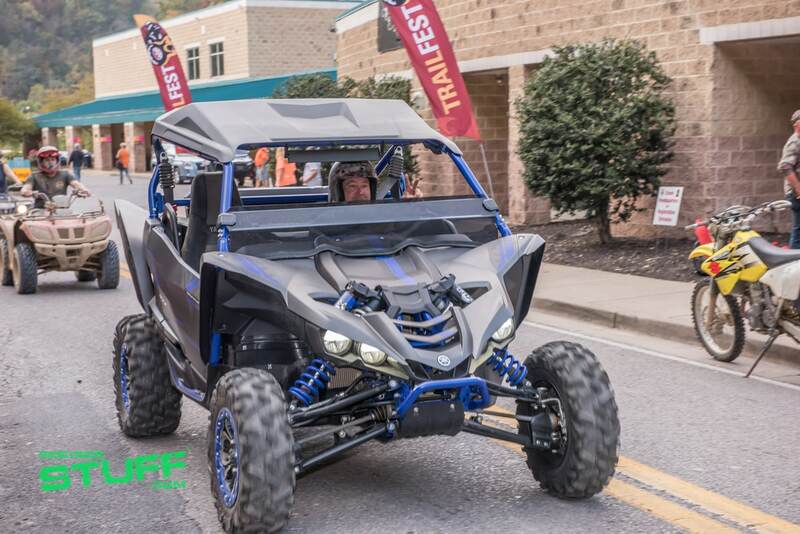 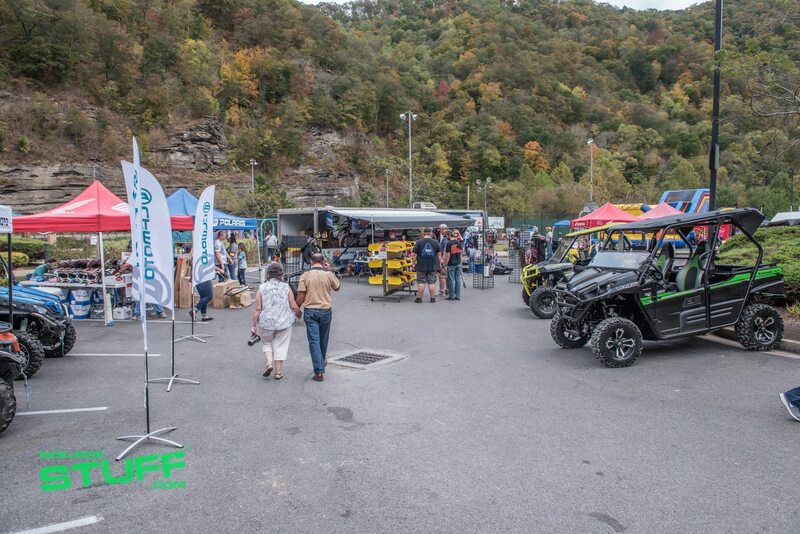 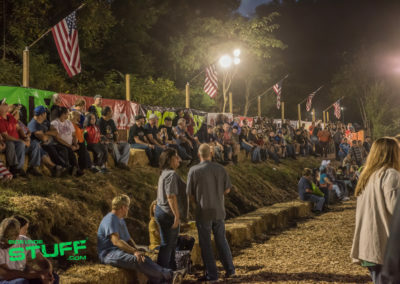 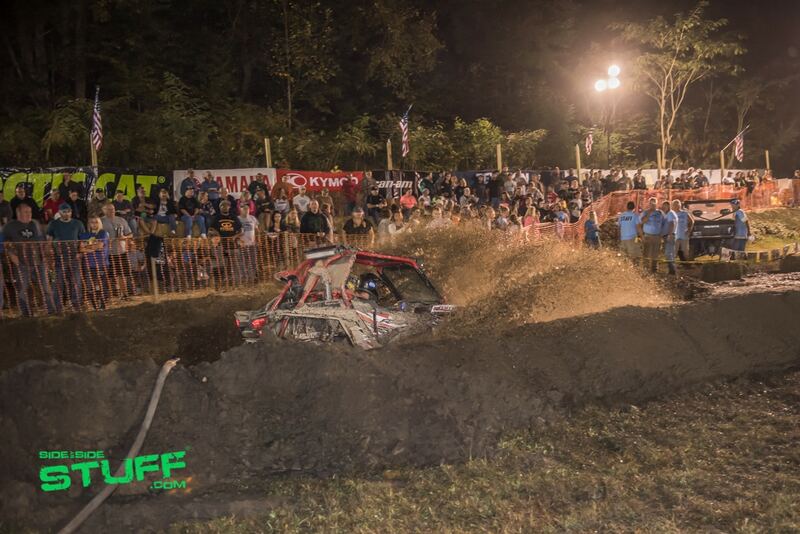 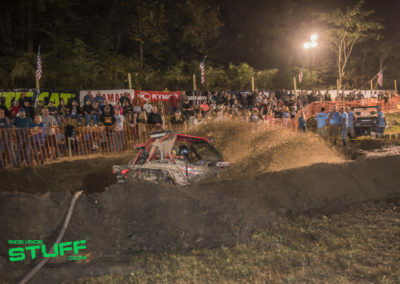 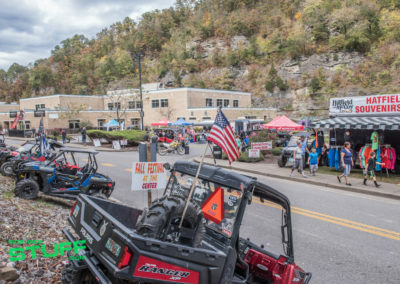 80 miles south of Charleston, West Virginia, nestled in the Appalachian Mountains, the town of Gilbert hosts one of the premier riding events in the country: National TrailFest. 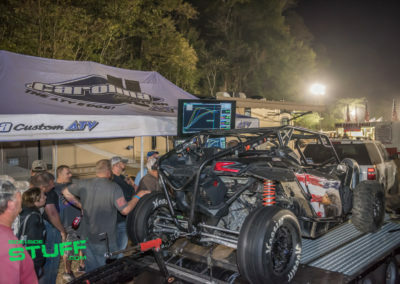 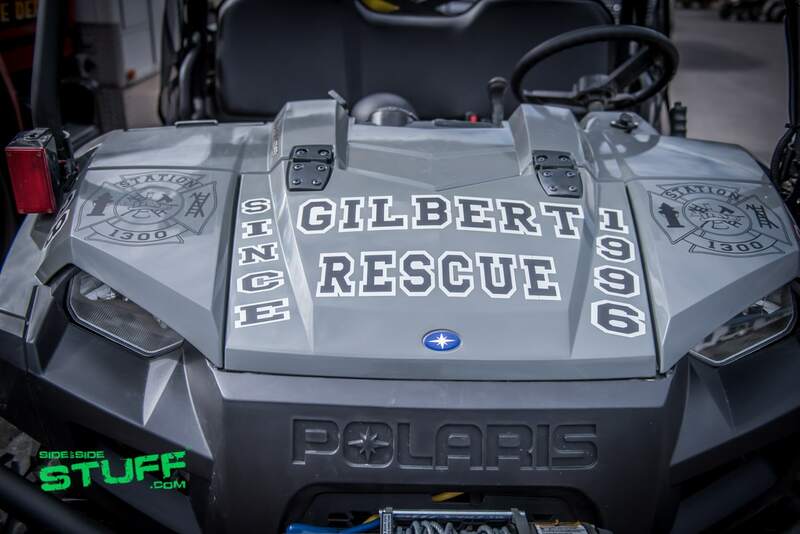 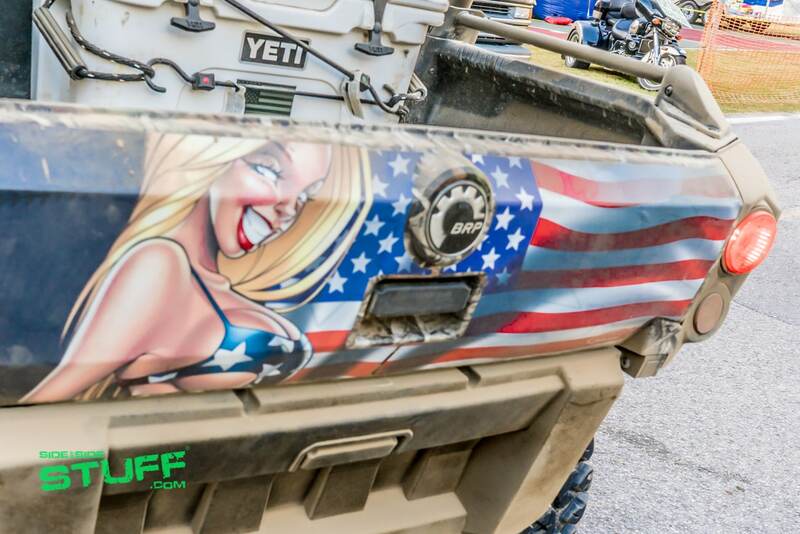 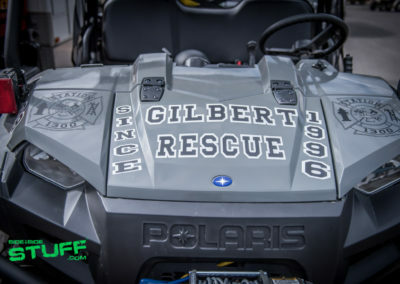 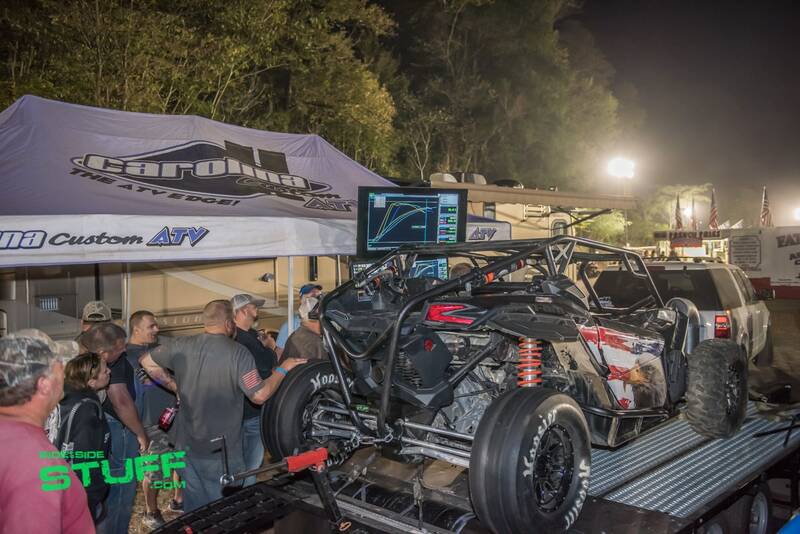 Gilbert, a small town of 450 people, attracts thousands of off road enthusiasts each year with their annual event. 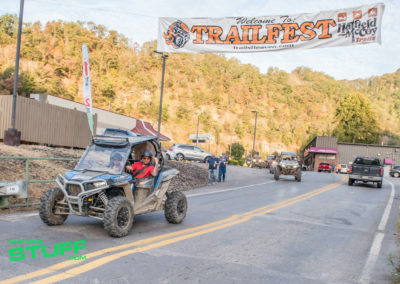 Its location offers some of the best trail riding in the world, featuring direct access to the Hatfield-McCoy Trail System. 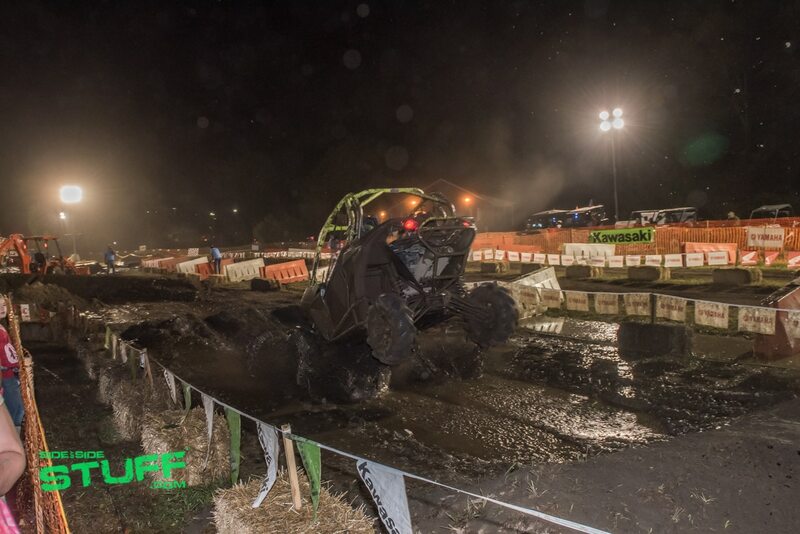 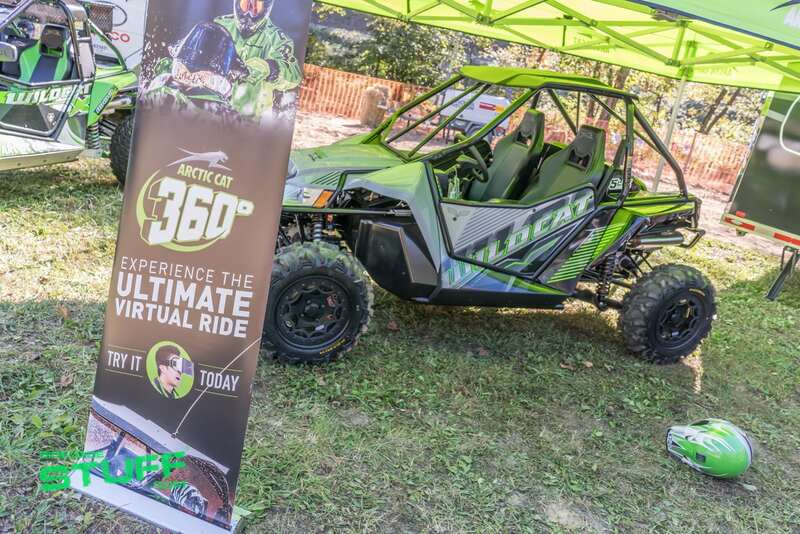 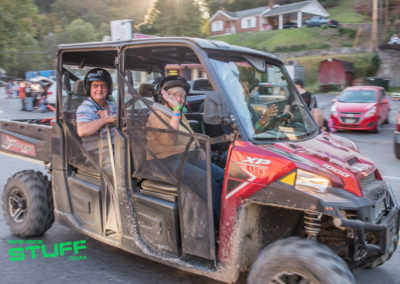 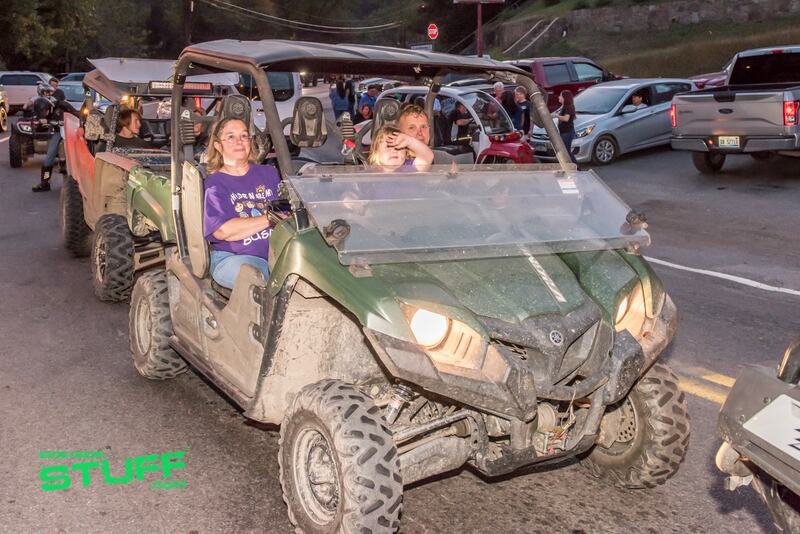 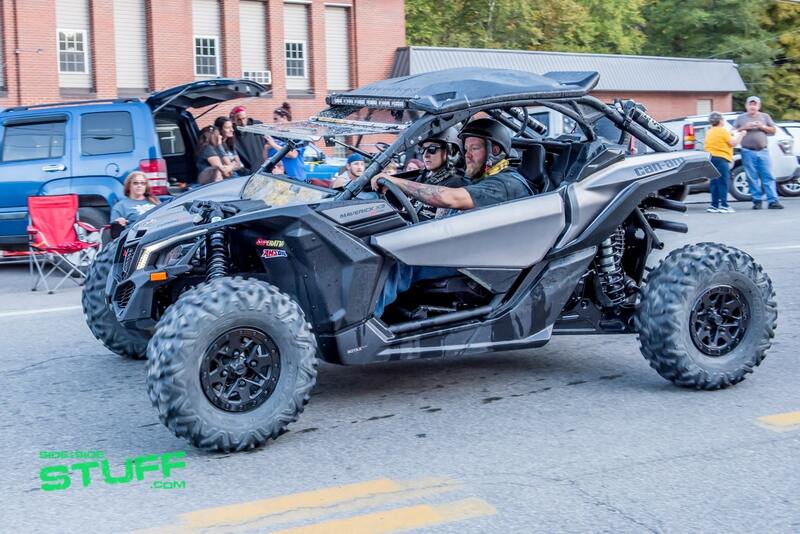 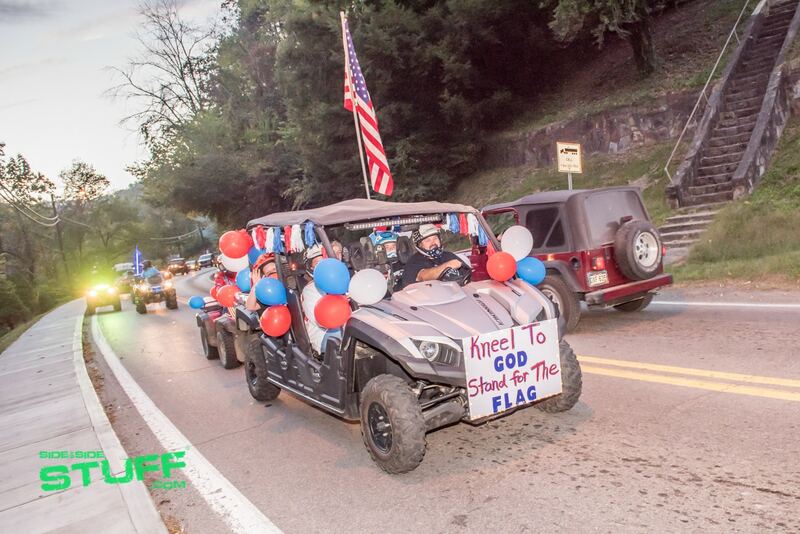 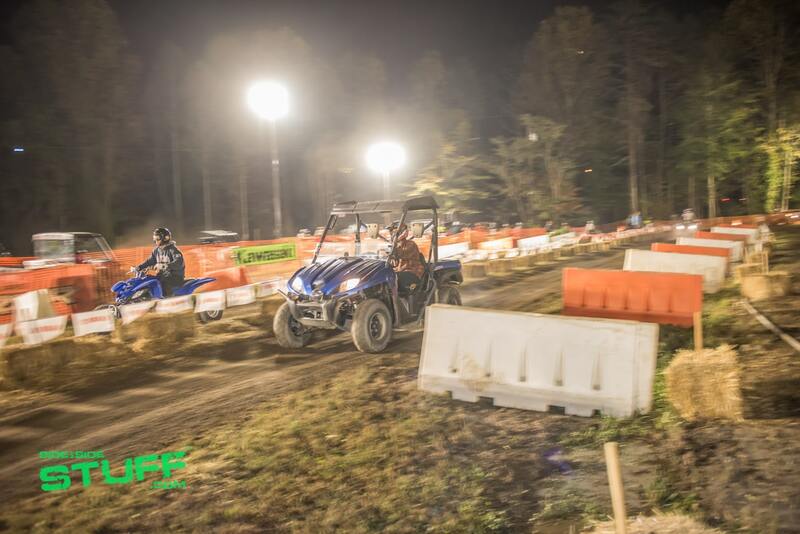 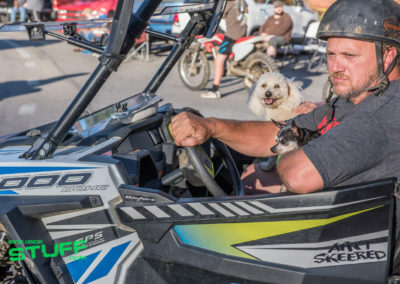 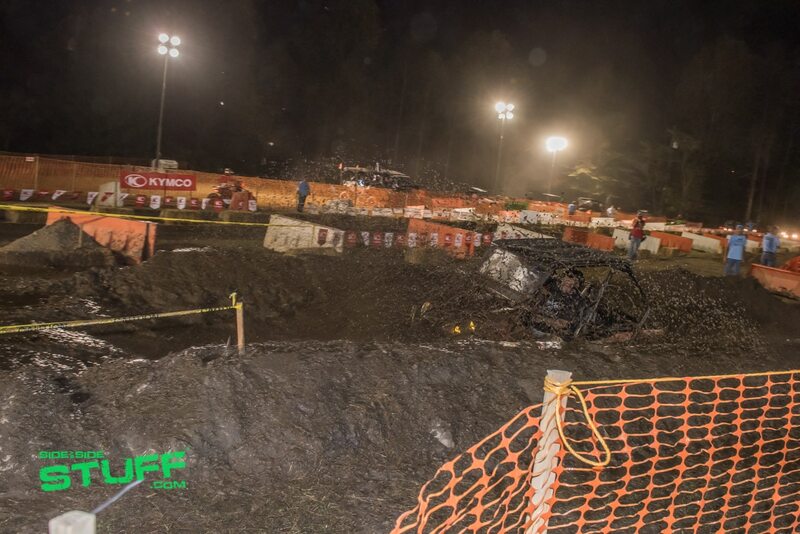 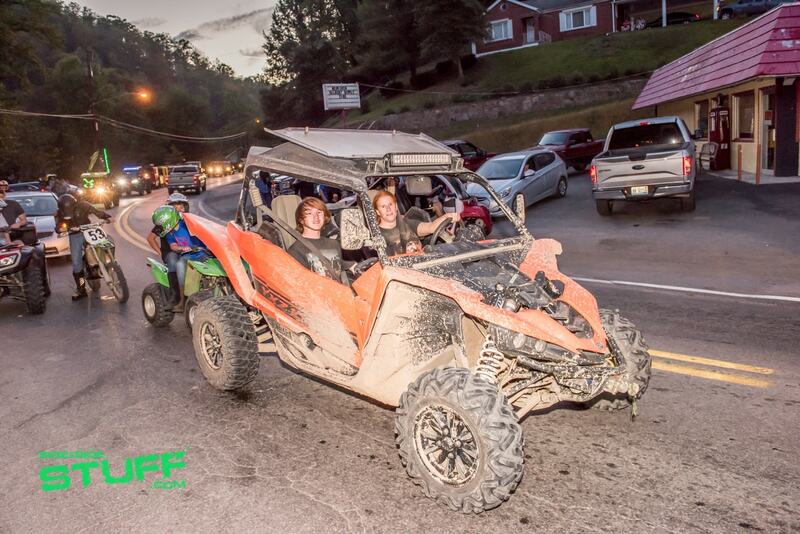 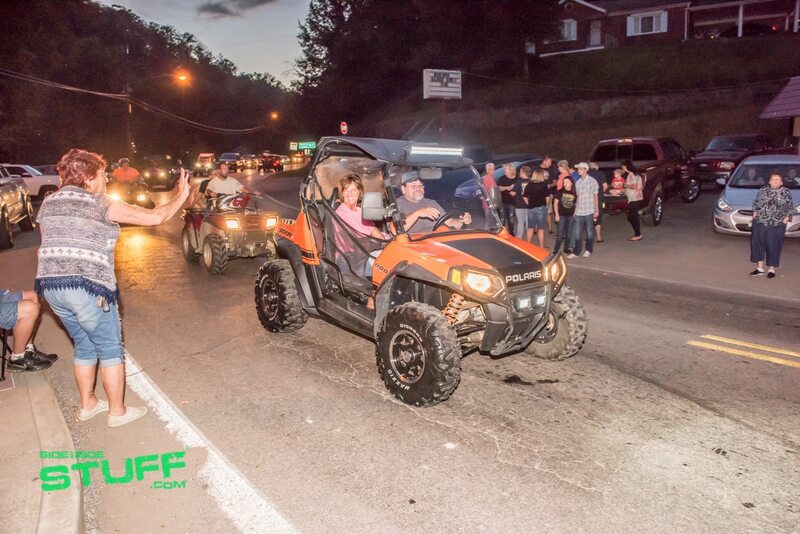 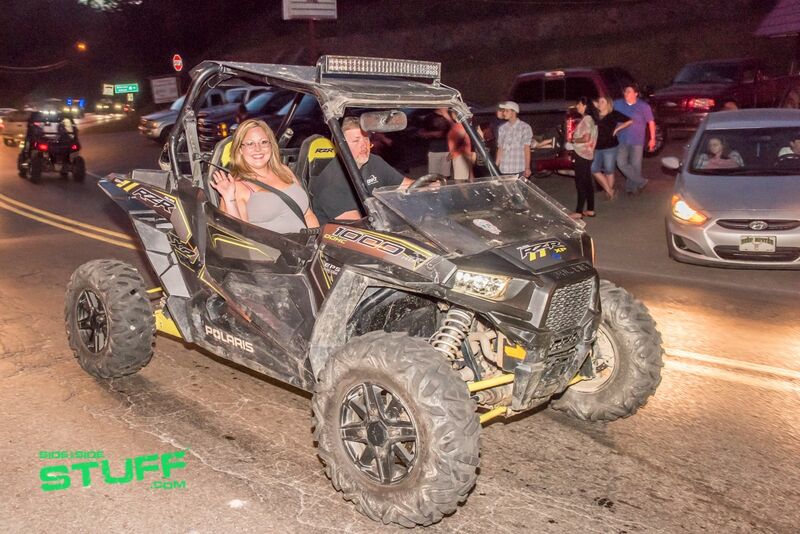 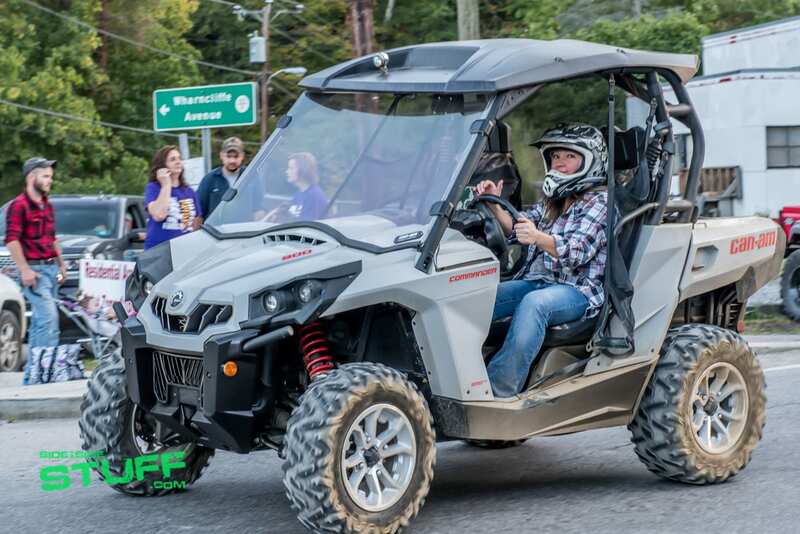 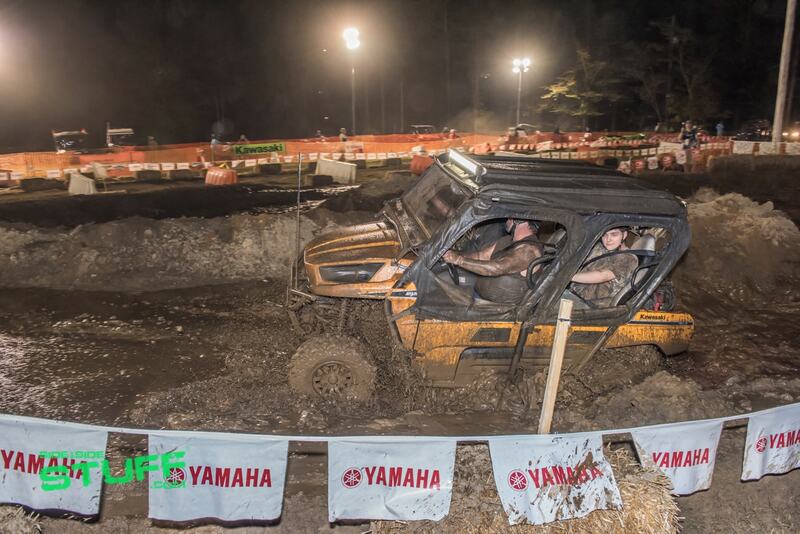 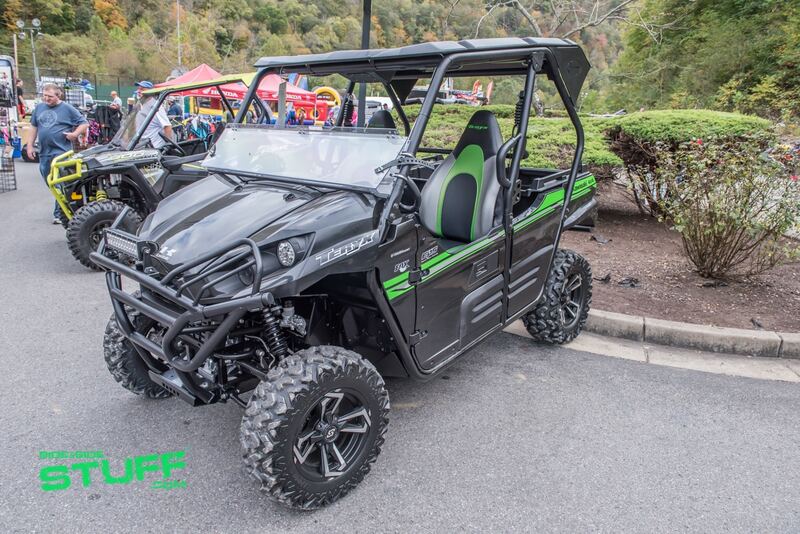 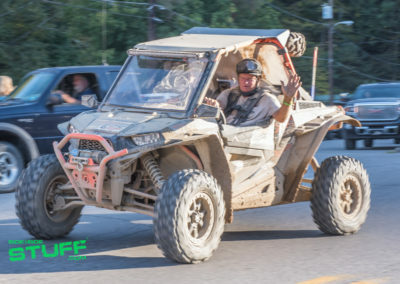 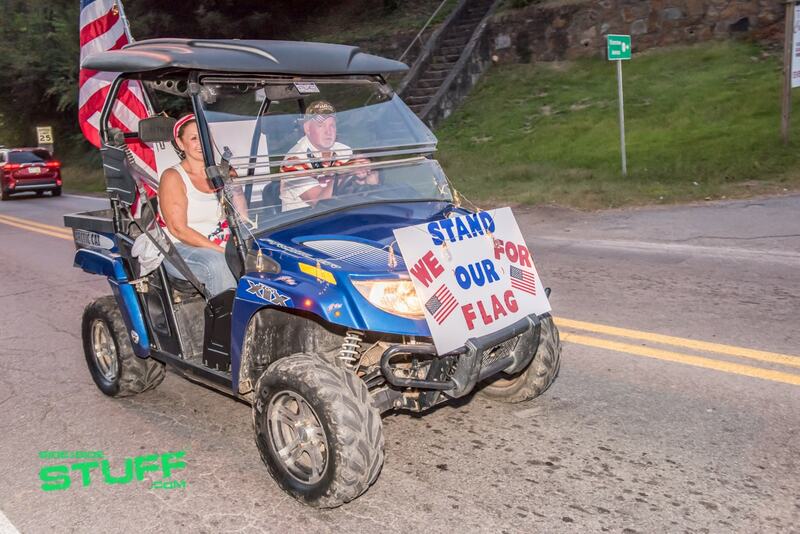 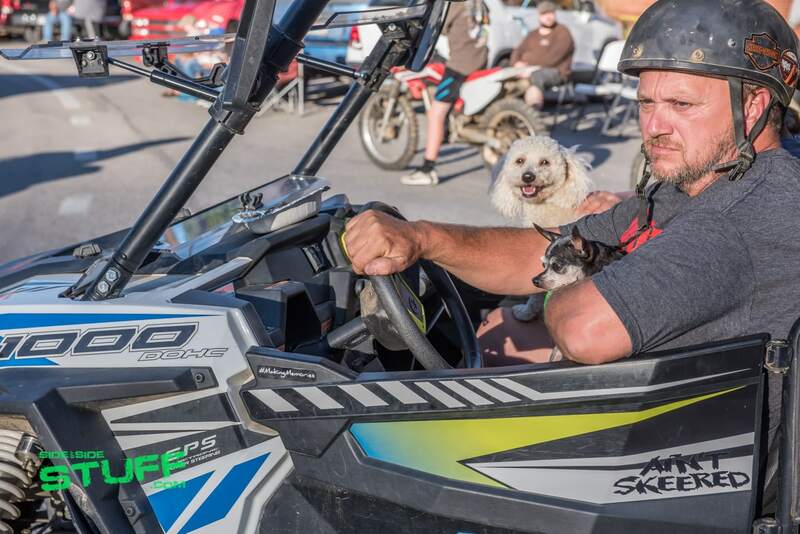 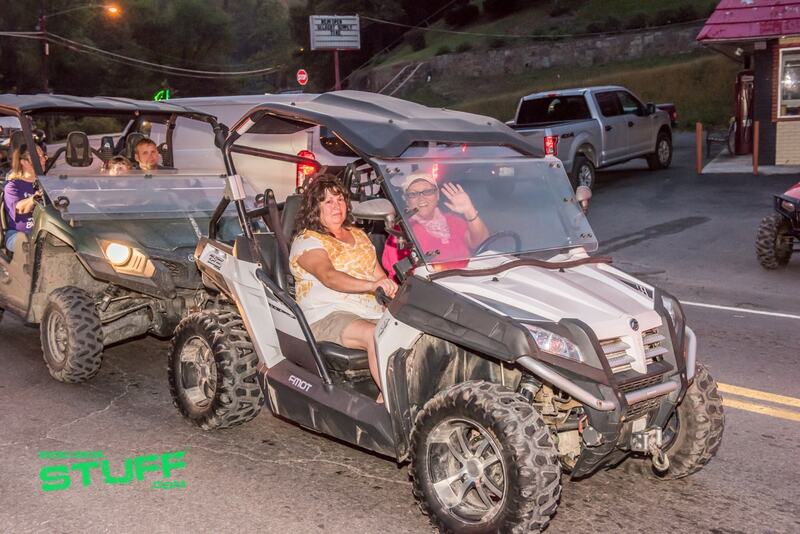 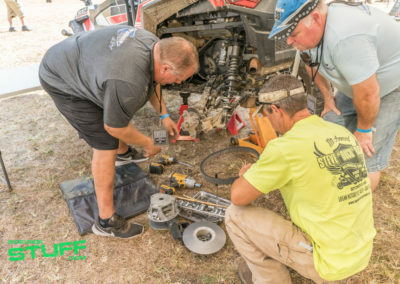 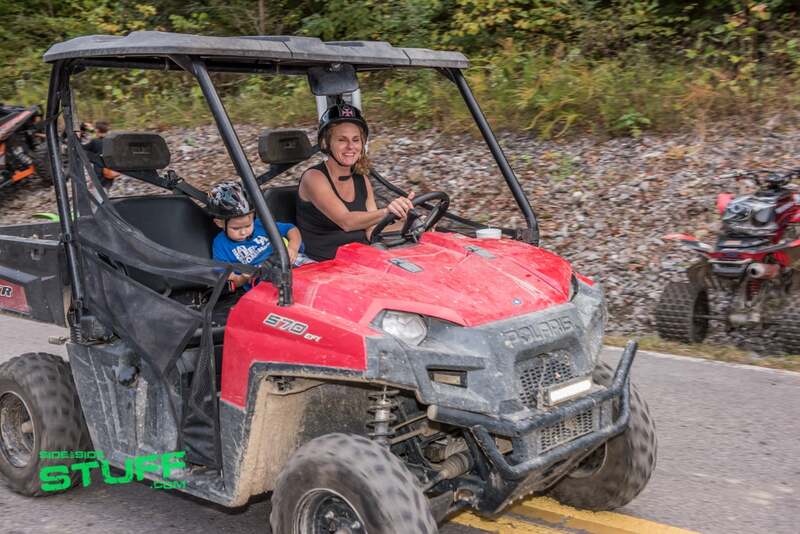 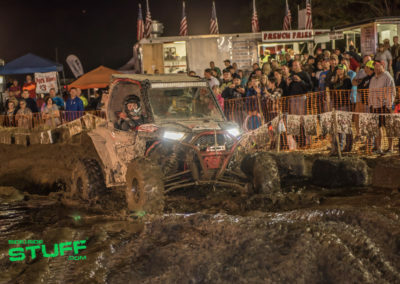 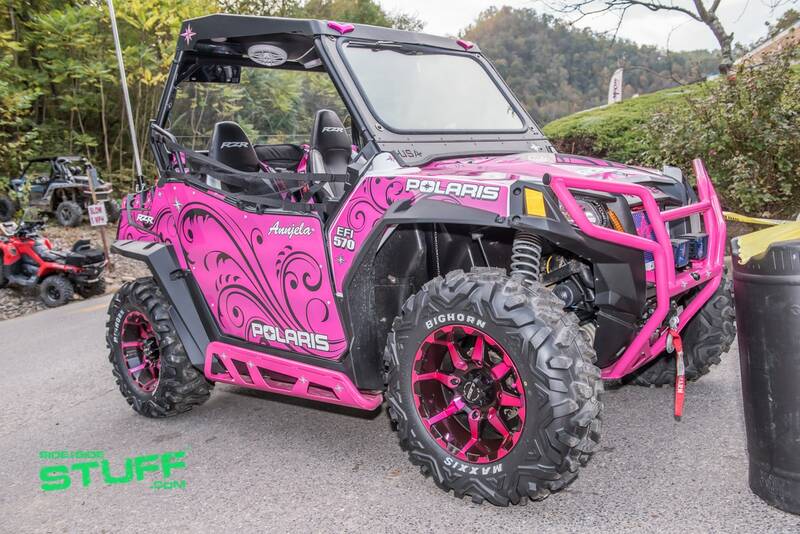 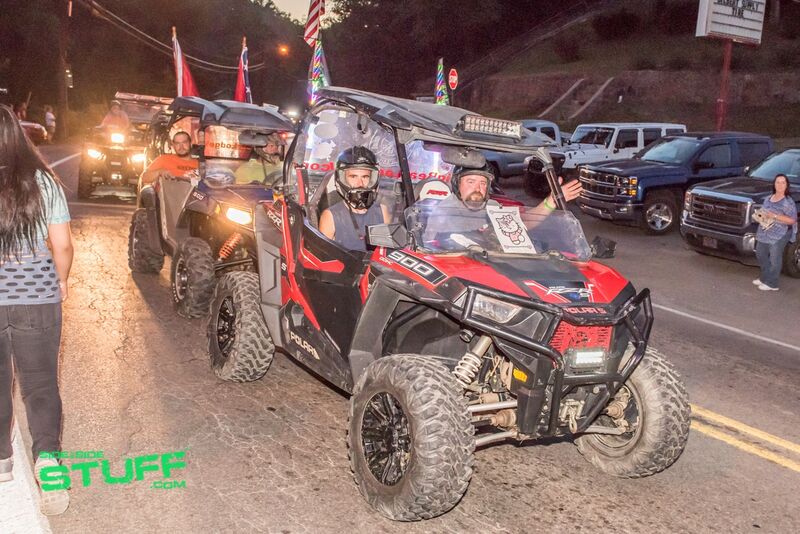 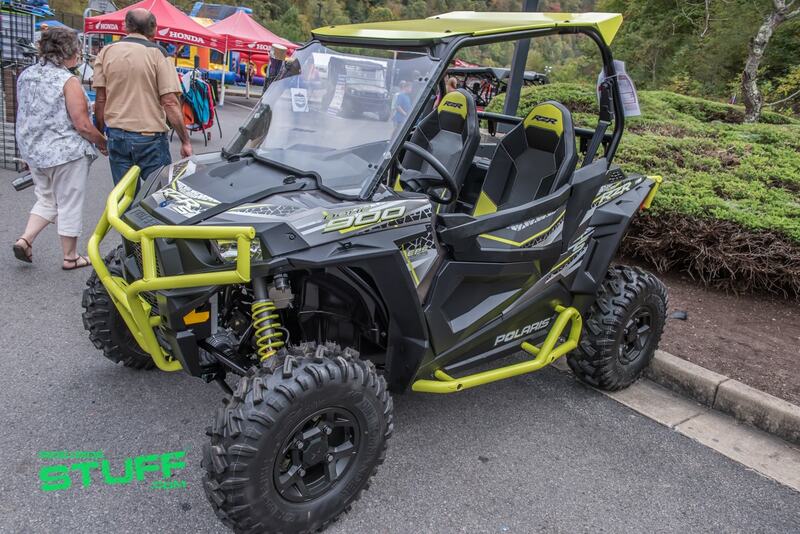 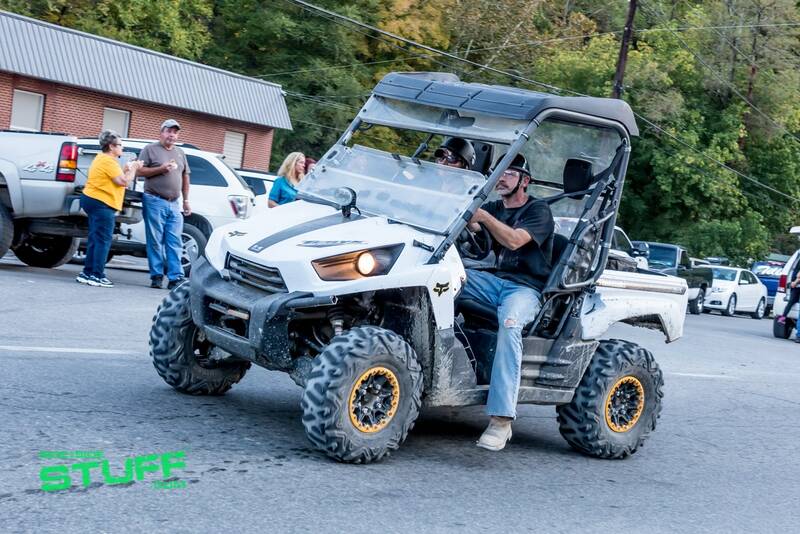 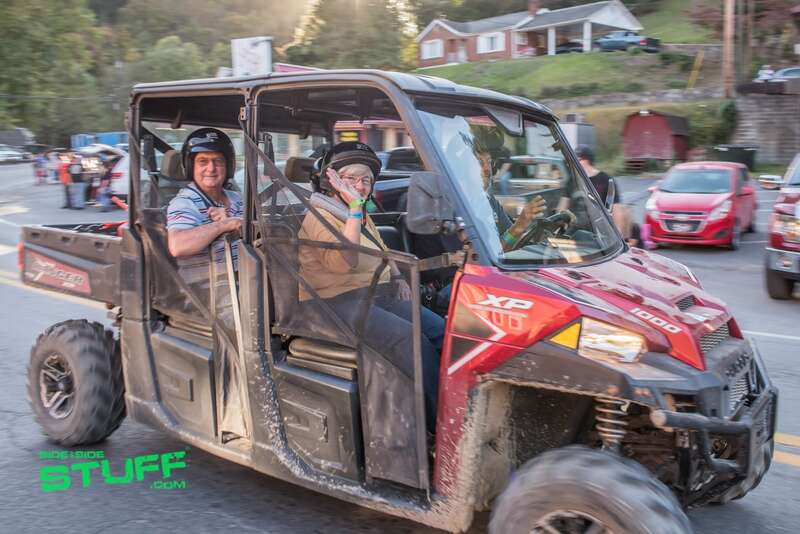 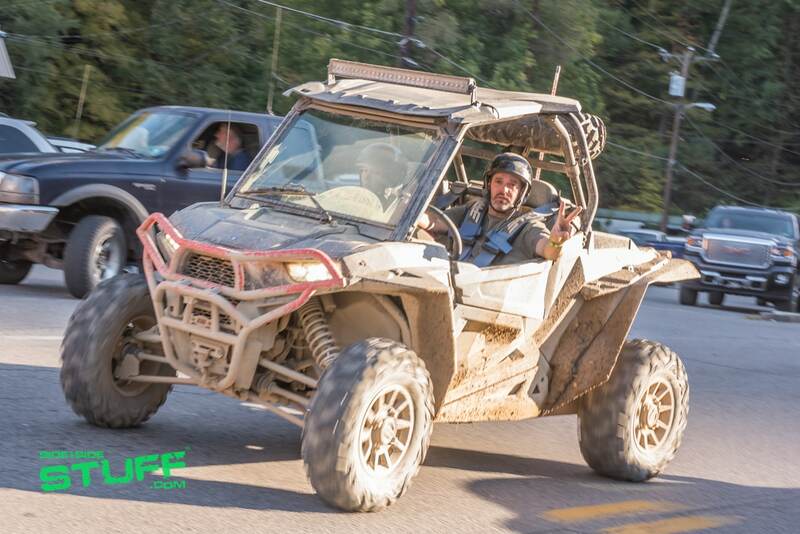 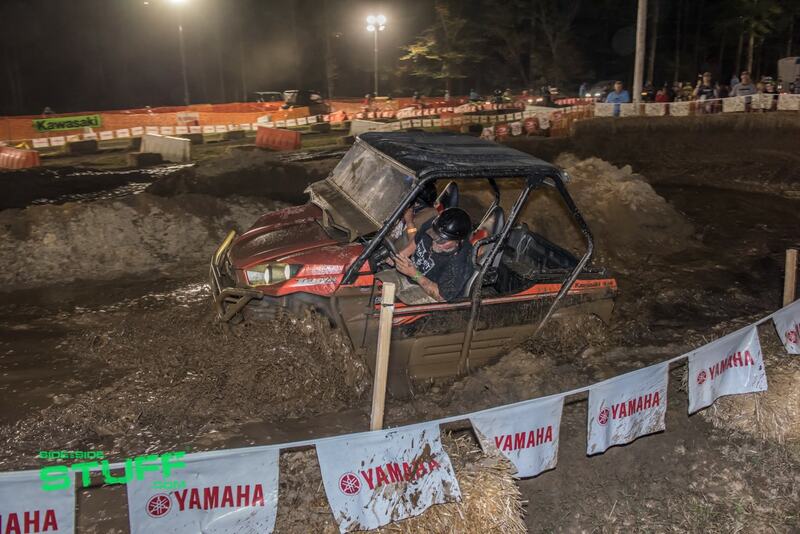 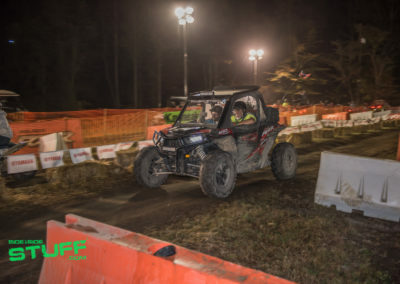 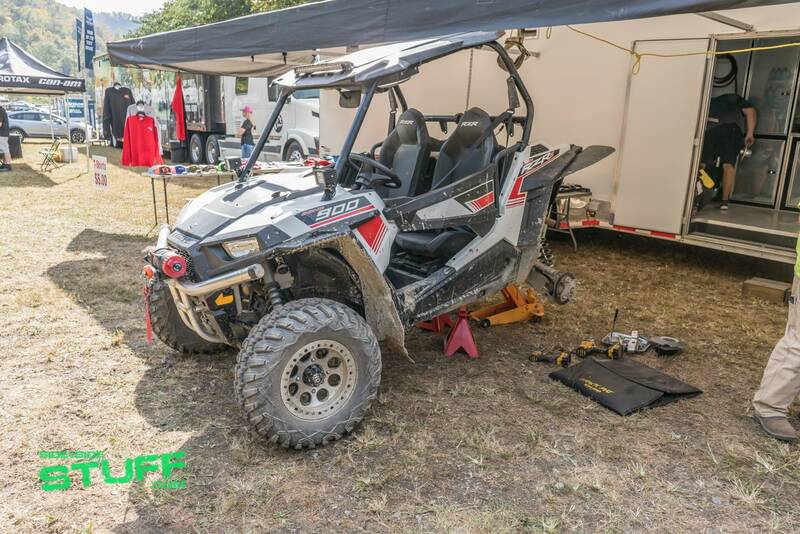 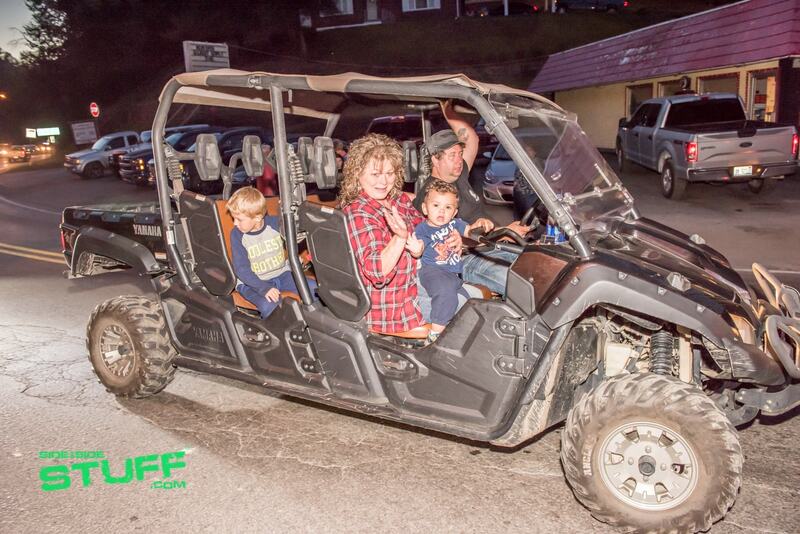 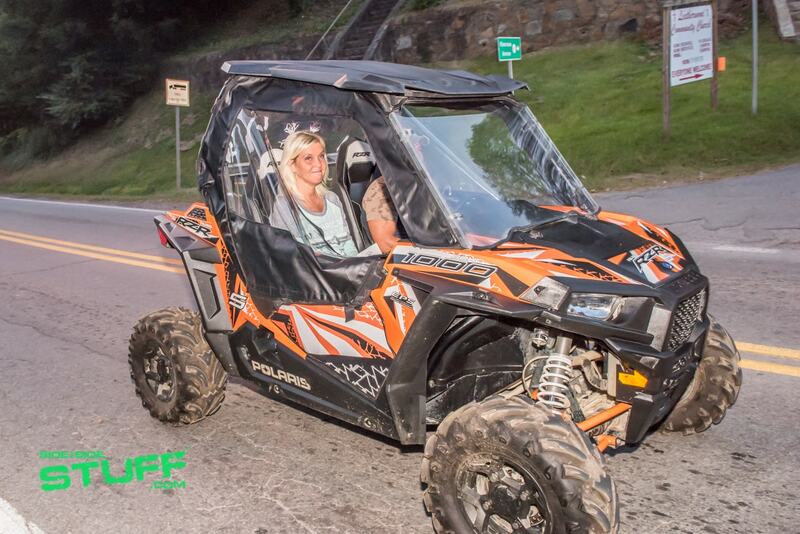 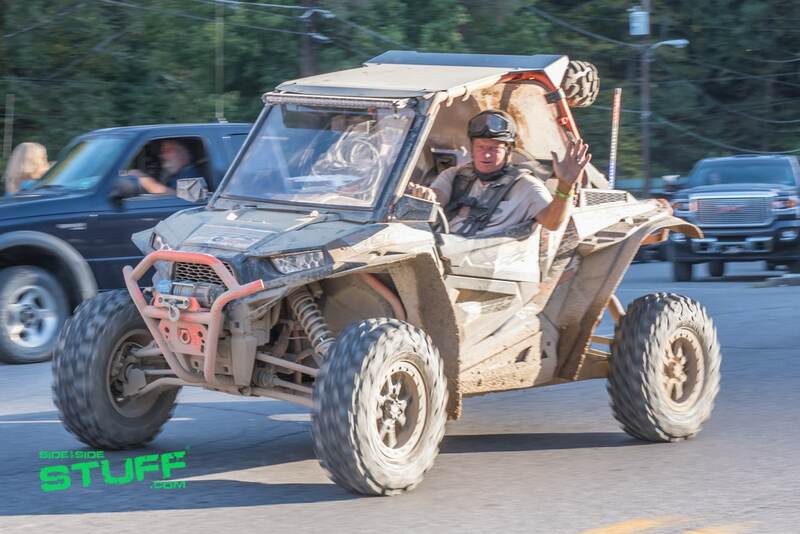 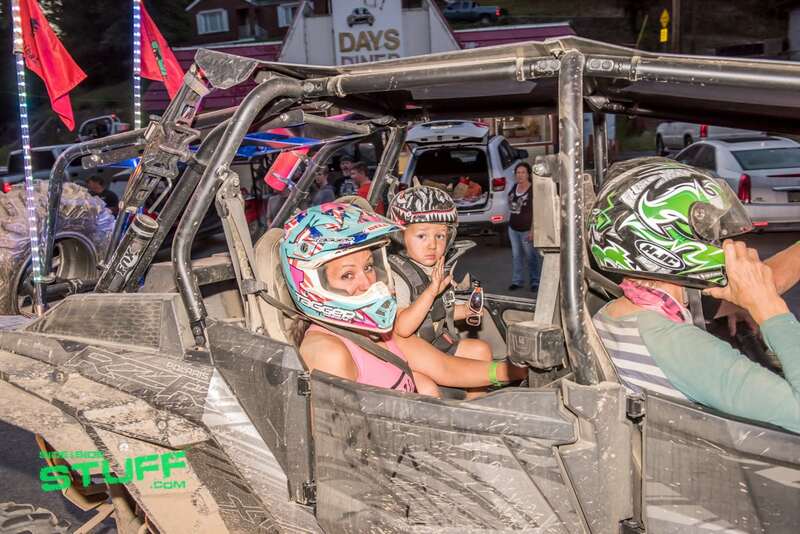 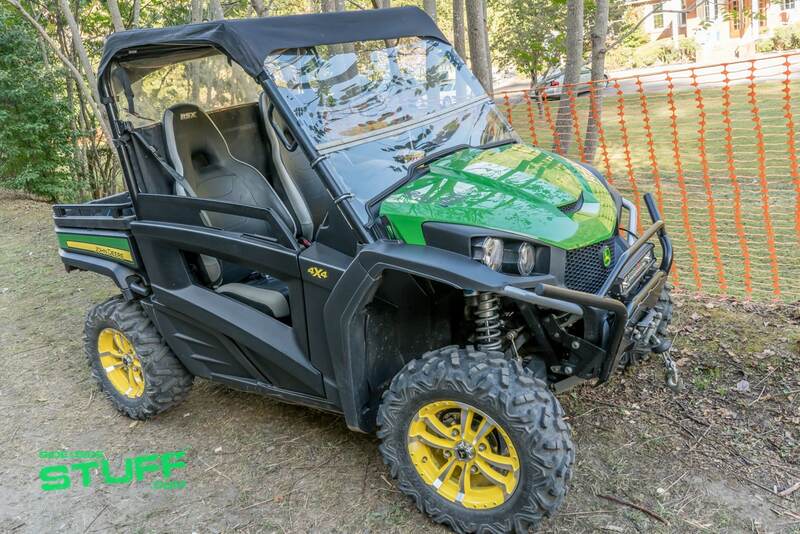 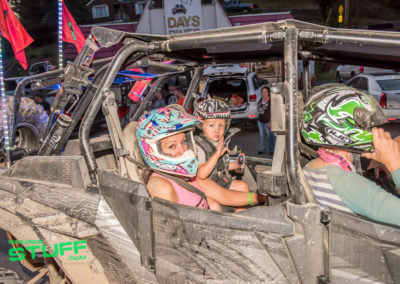 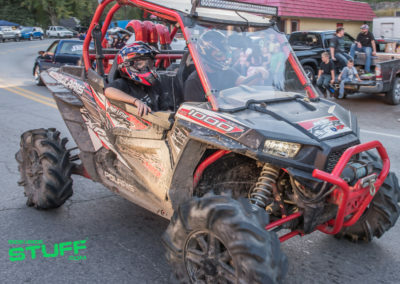 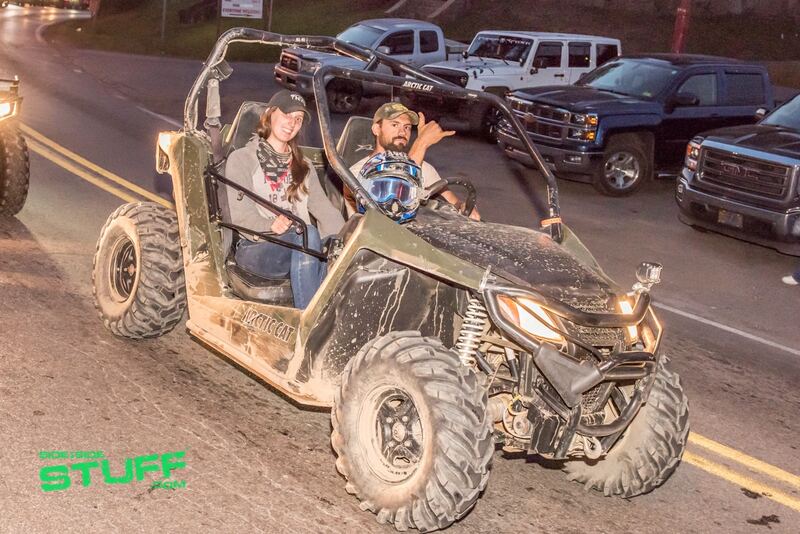 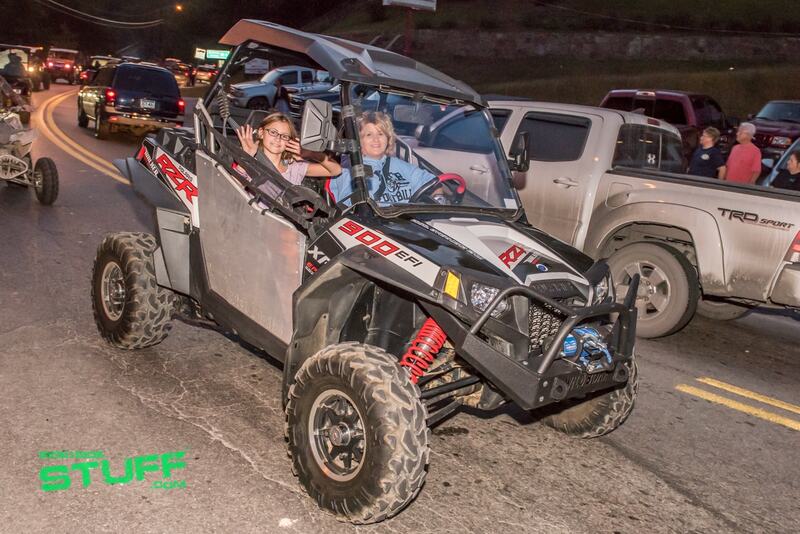 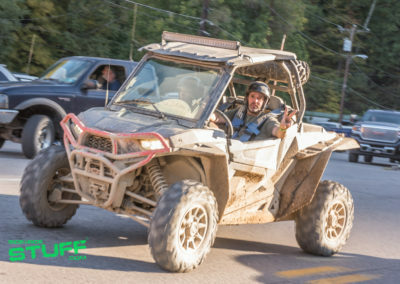 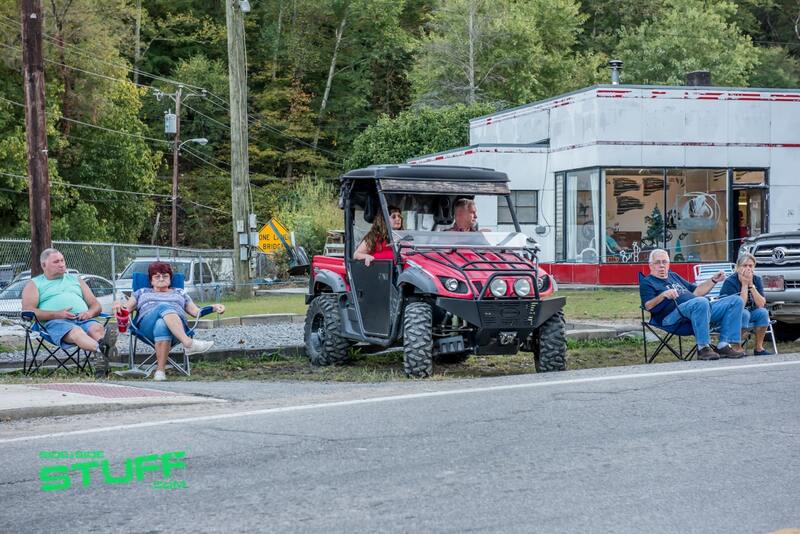 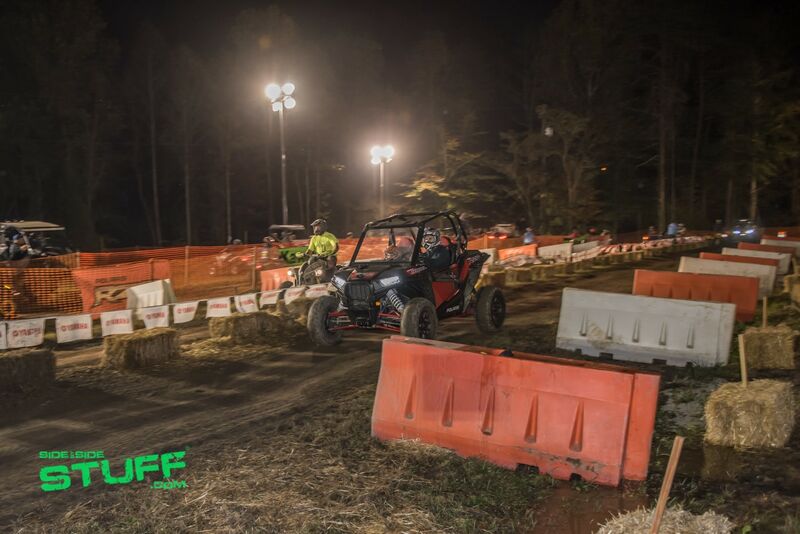 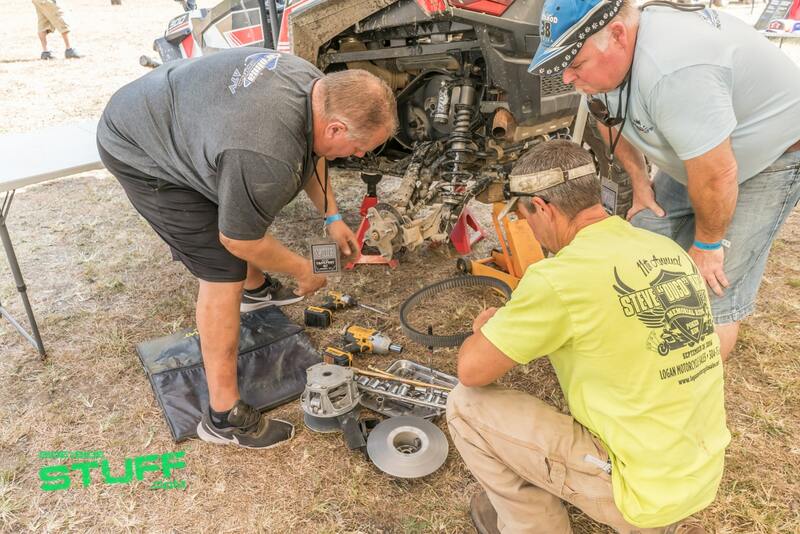 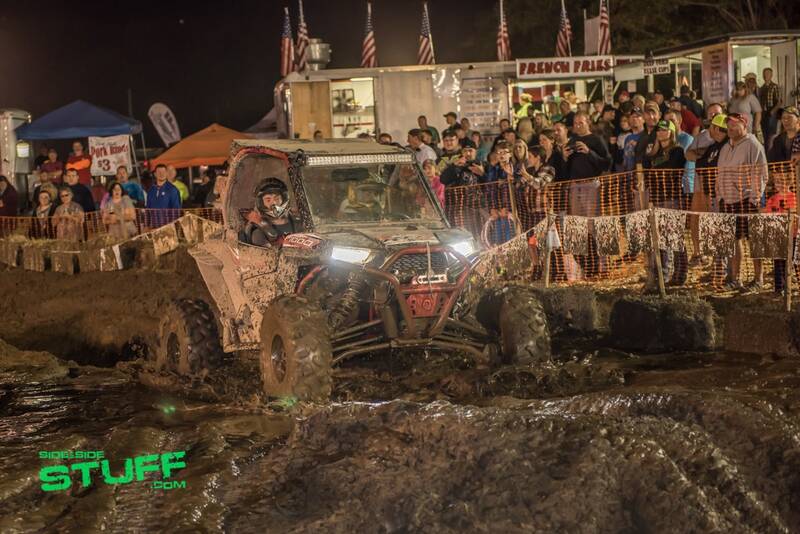 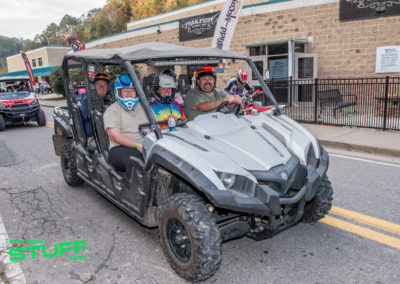 The ATV friendly community works together to host an incredible event full of fun activities for the whole family. 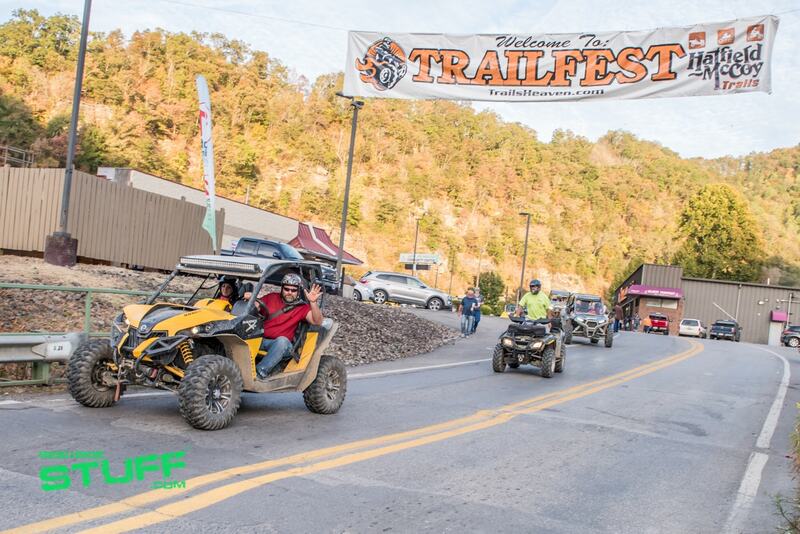 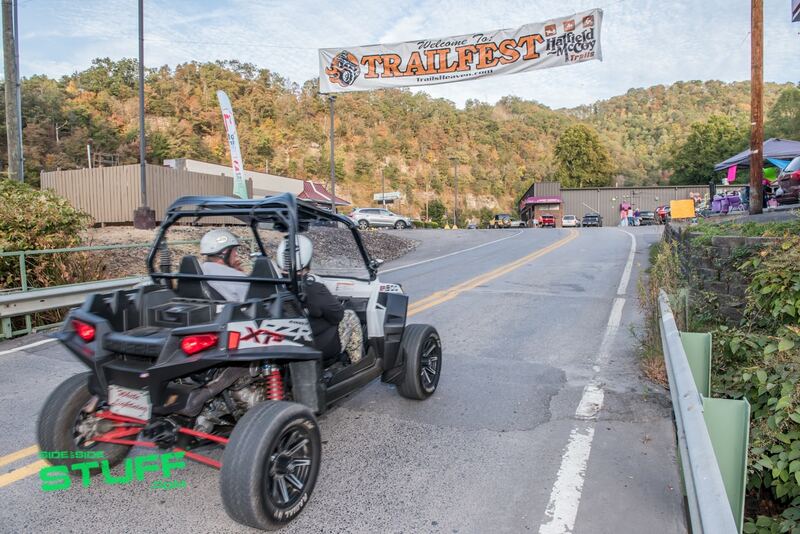 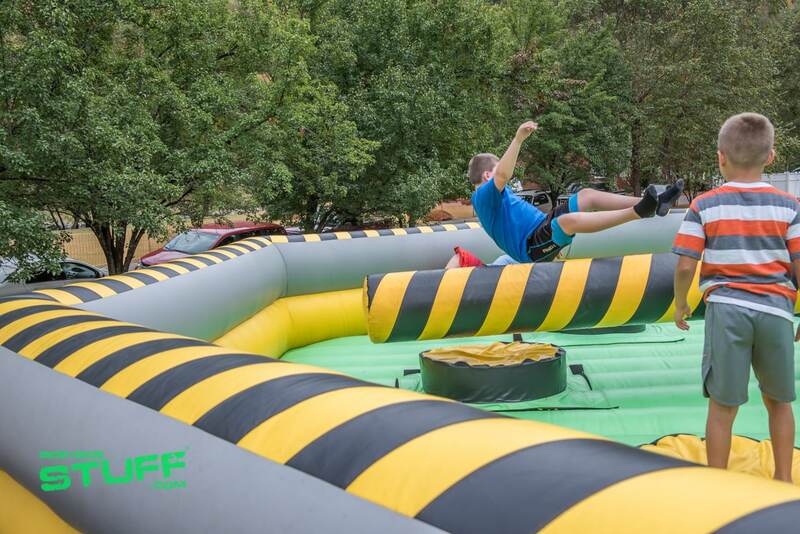 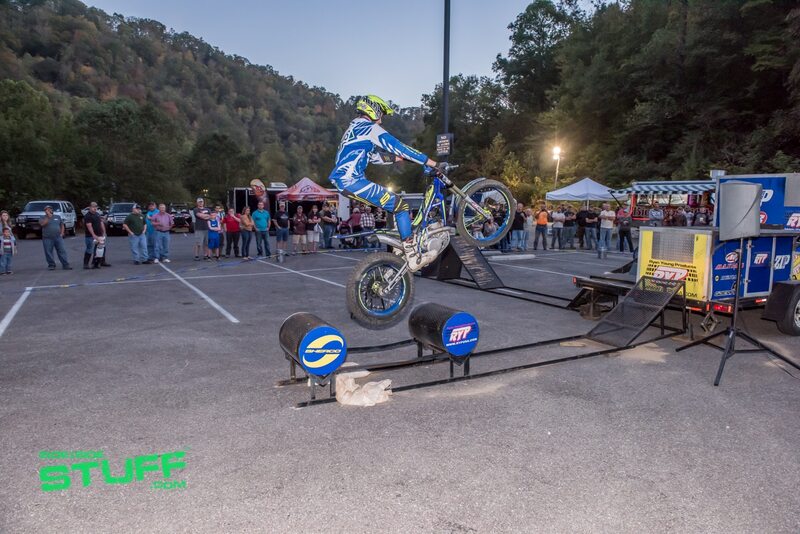 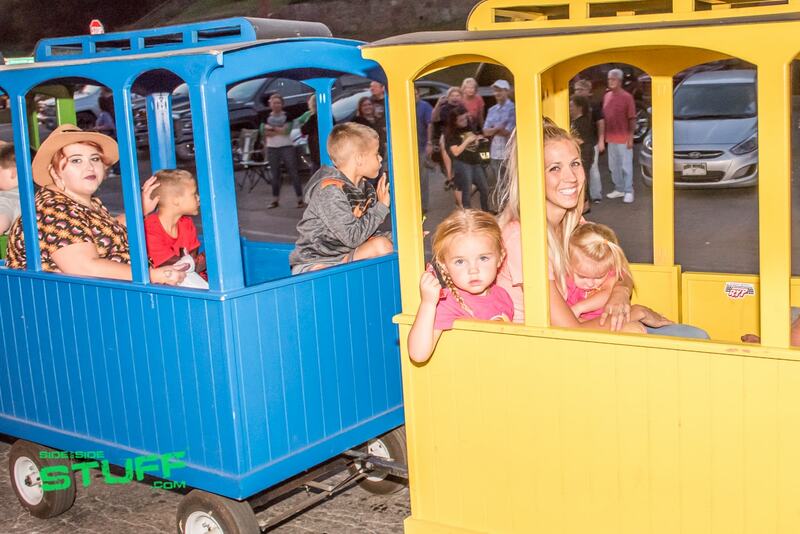 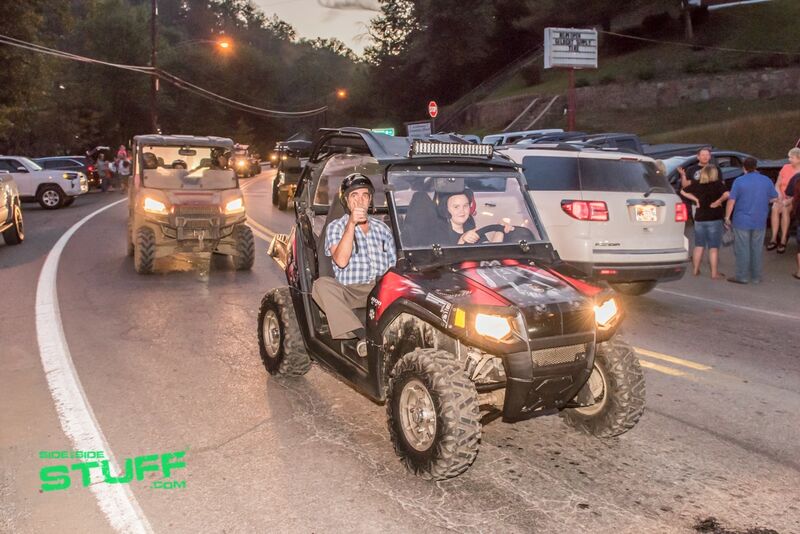 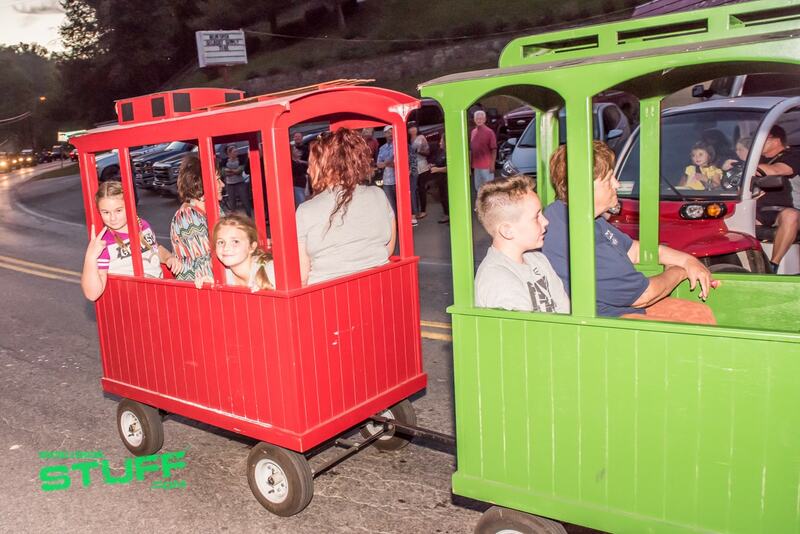 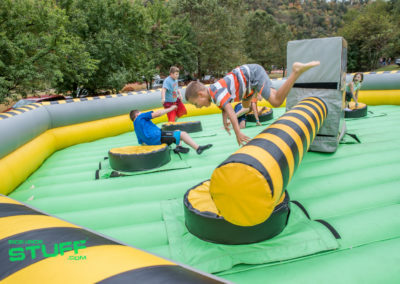 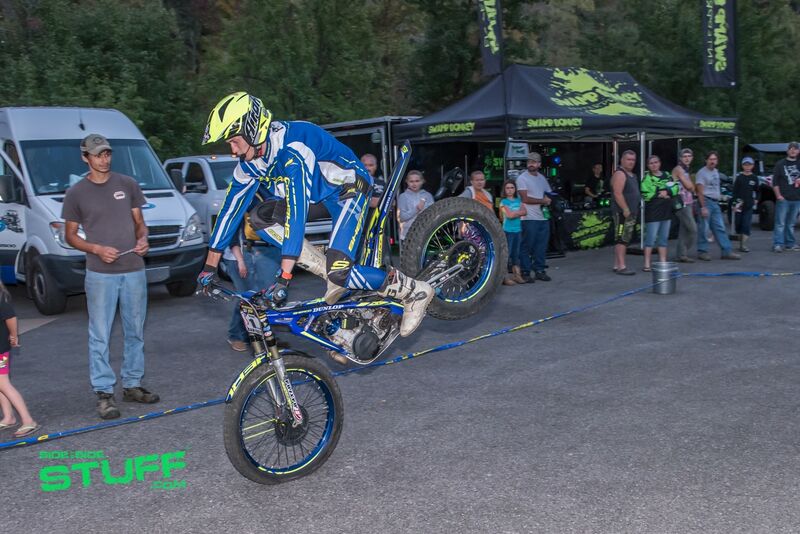 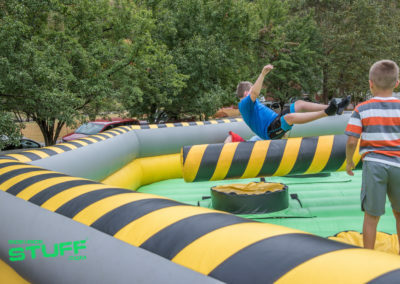 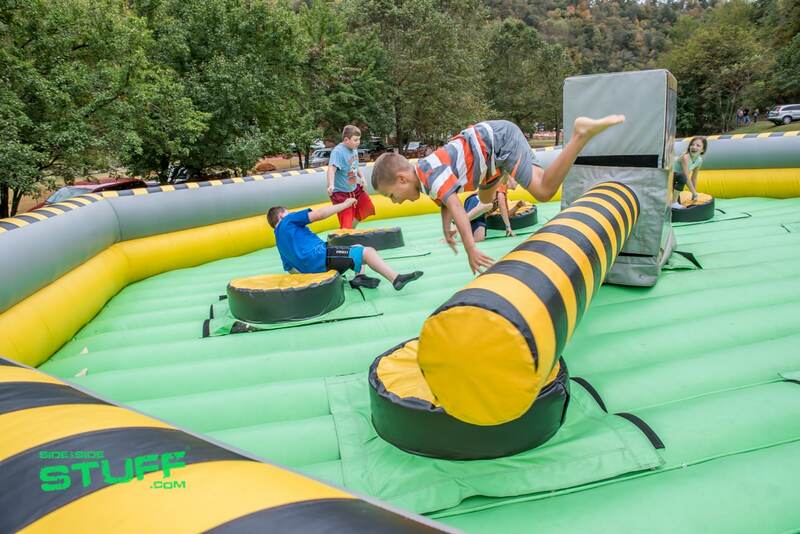 With no shortage of fun, TrailFest is jampacked full of daily and nightly activities and entertainment. 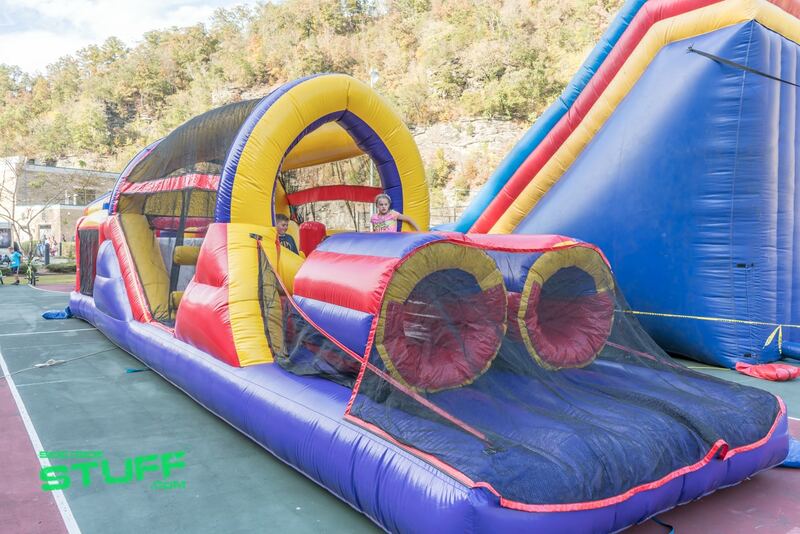 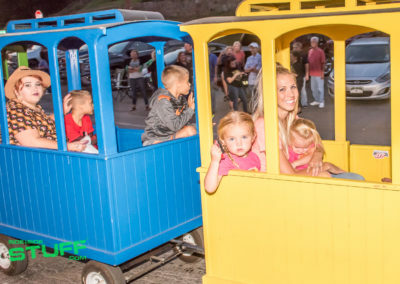 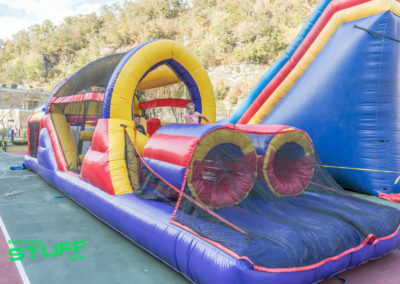 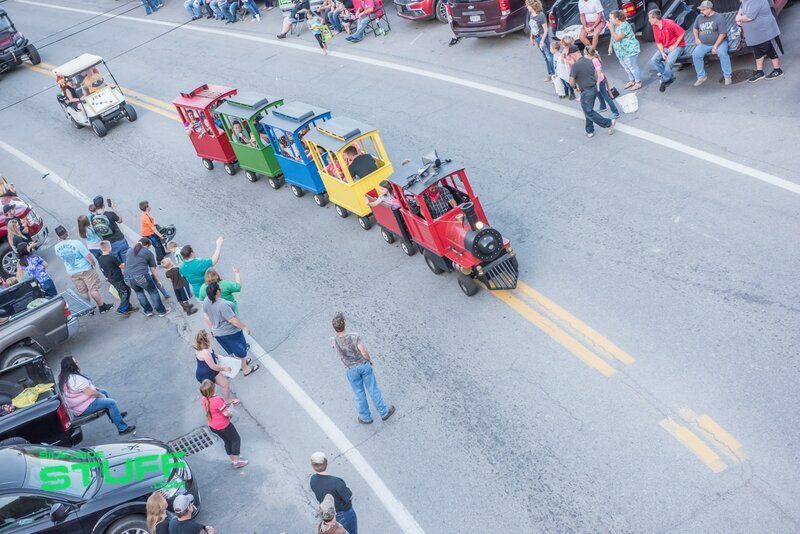 Throughout the day the event area is open to the public; full of great food vendors, souvenir booths and many activities for kids including a kid’s size train ride, pony rides and several fun inflatables. 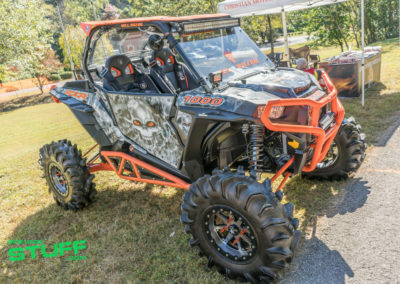 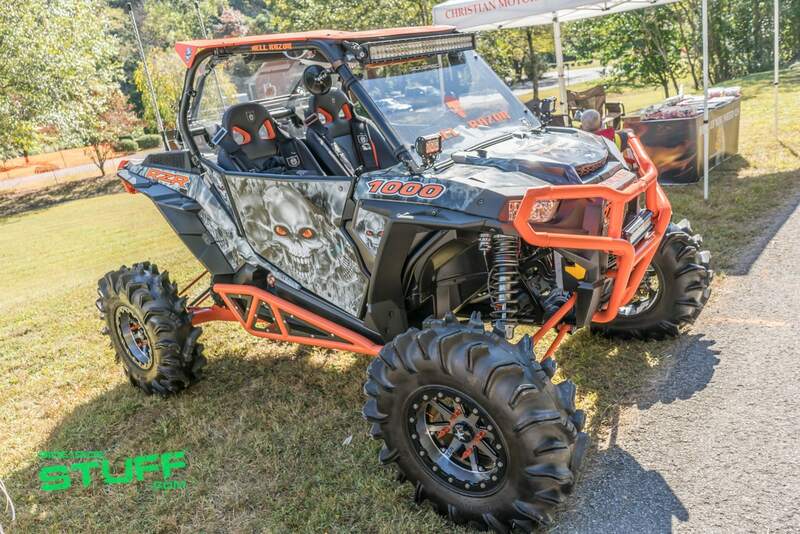 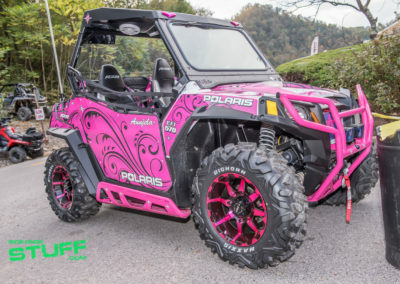 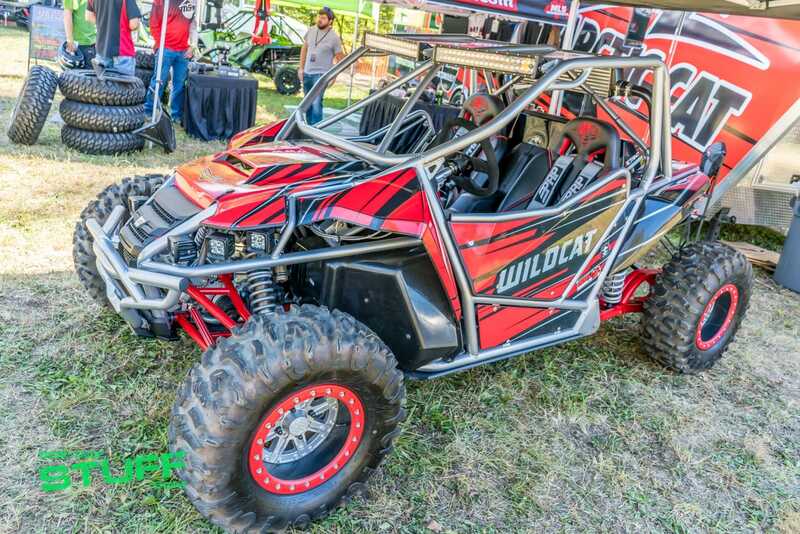 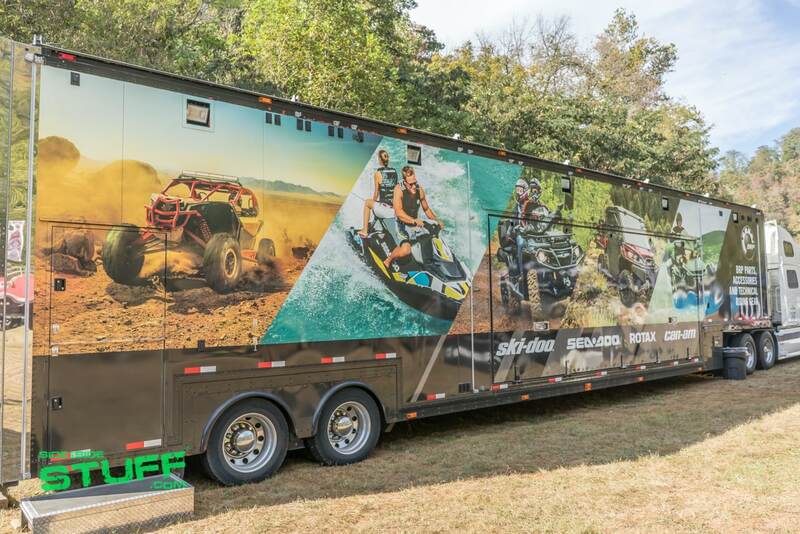 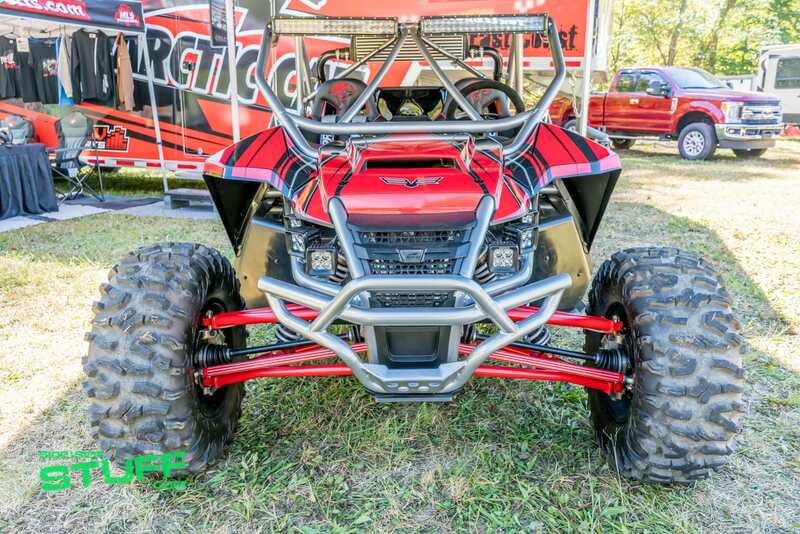 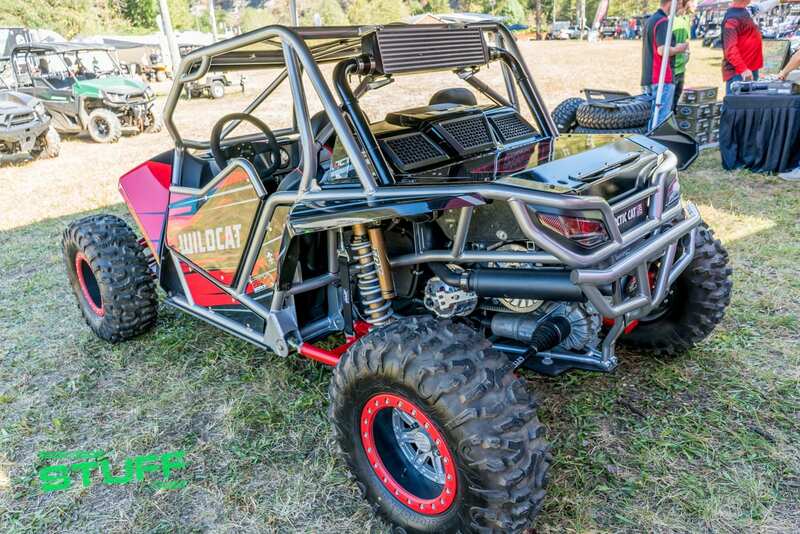 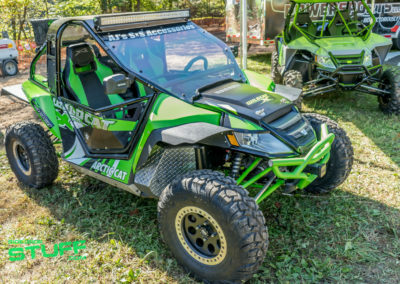 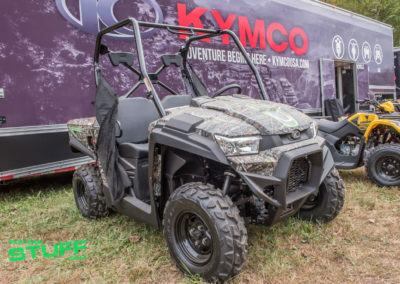 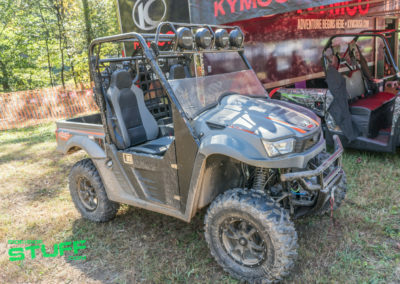 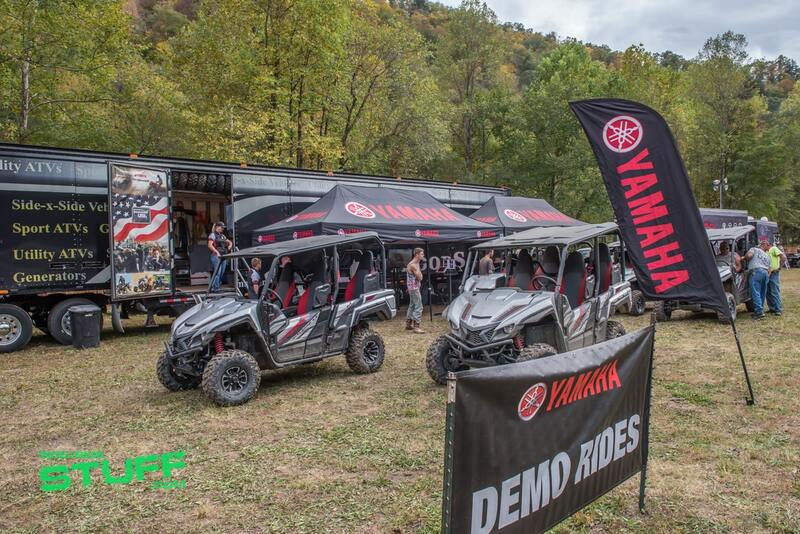 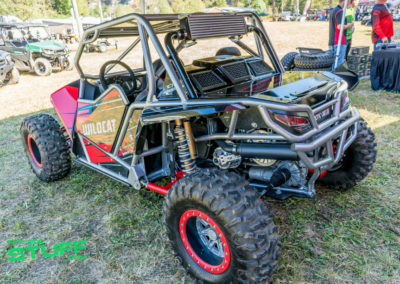 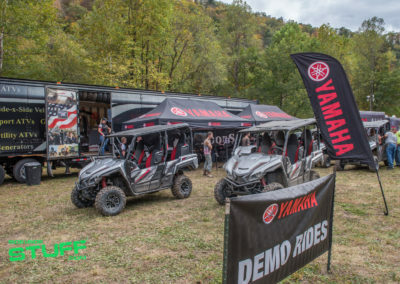 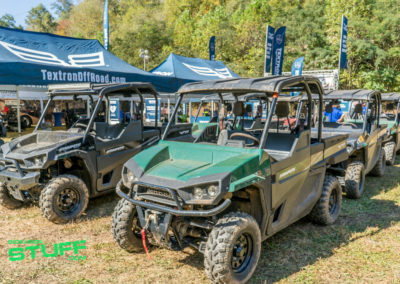 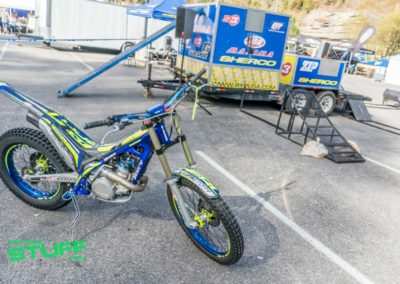 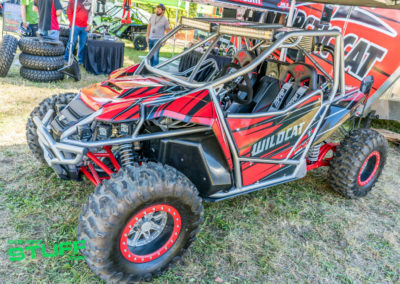 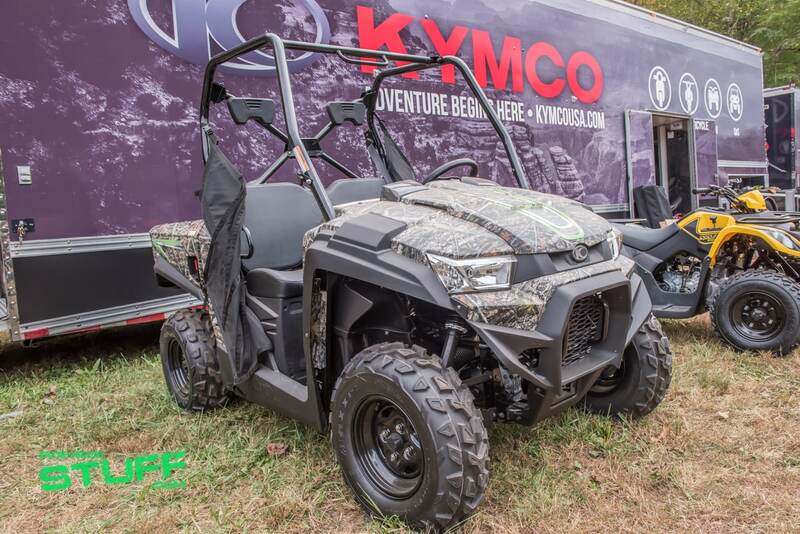 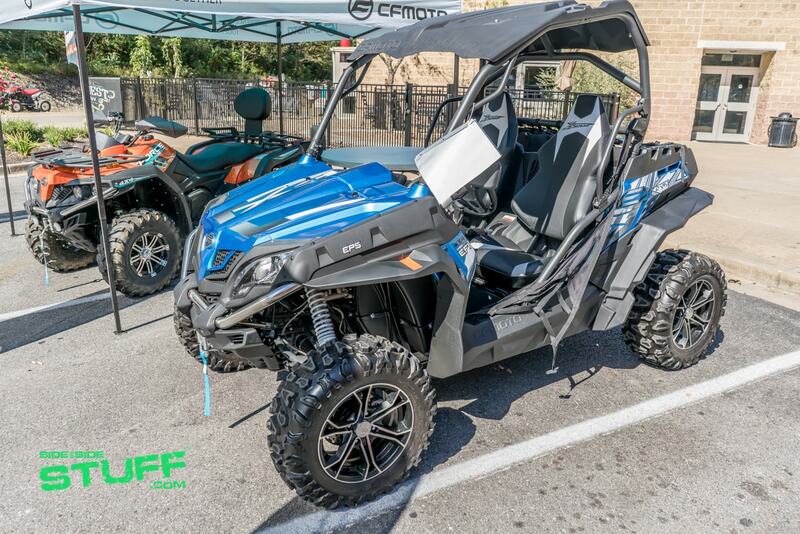 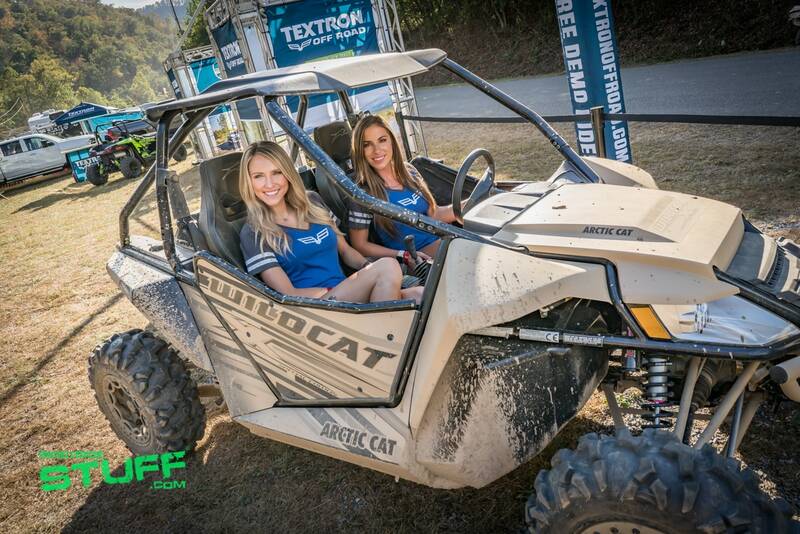 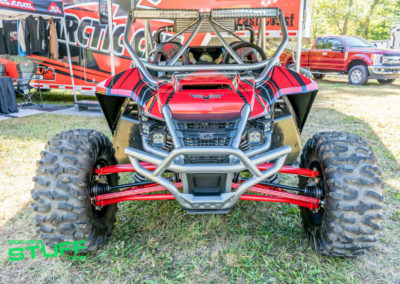 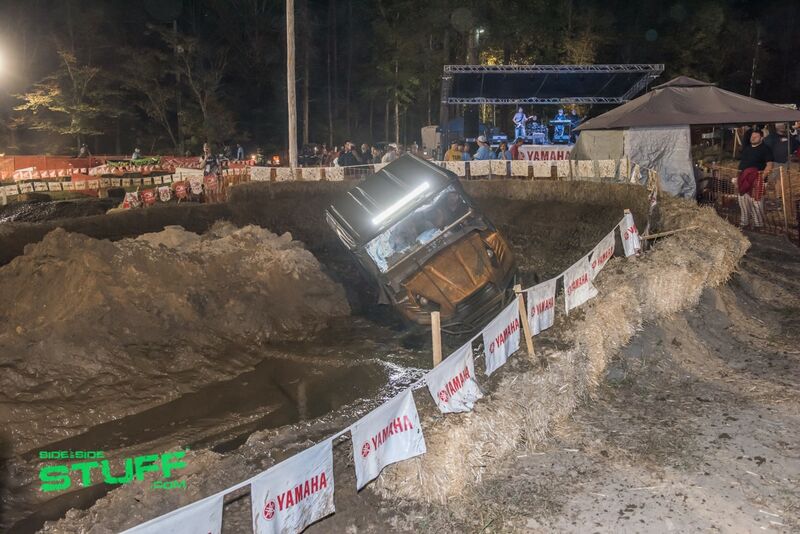 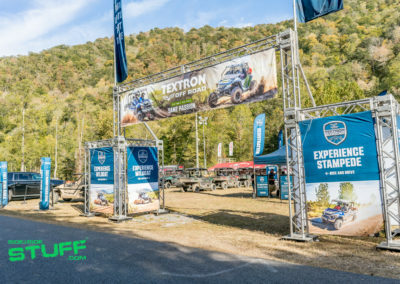 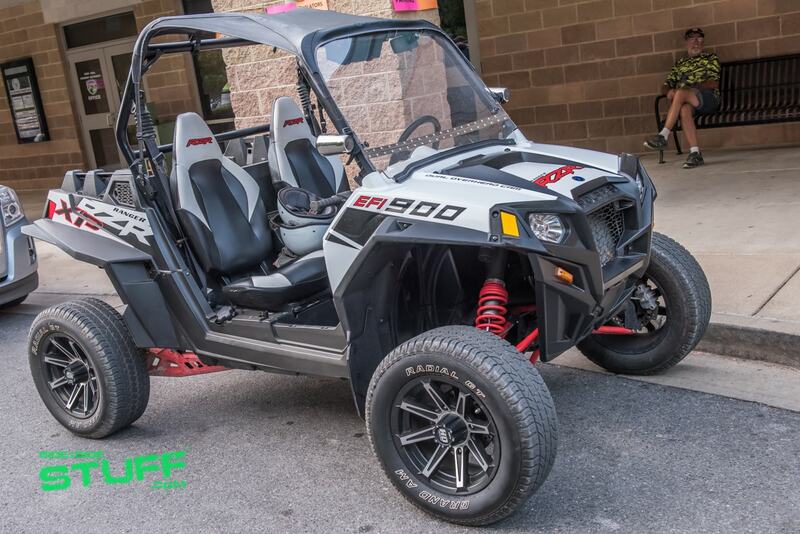 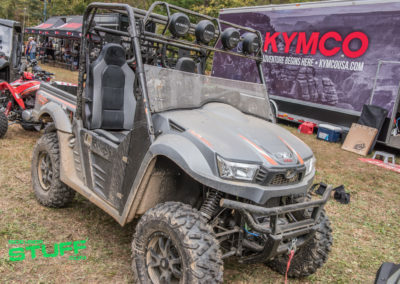 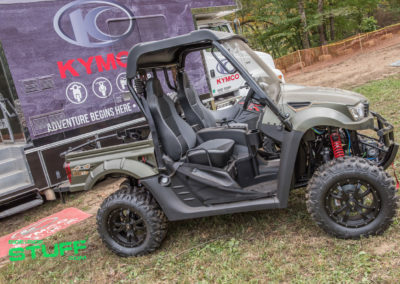 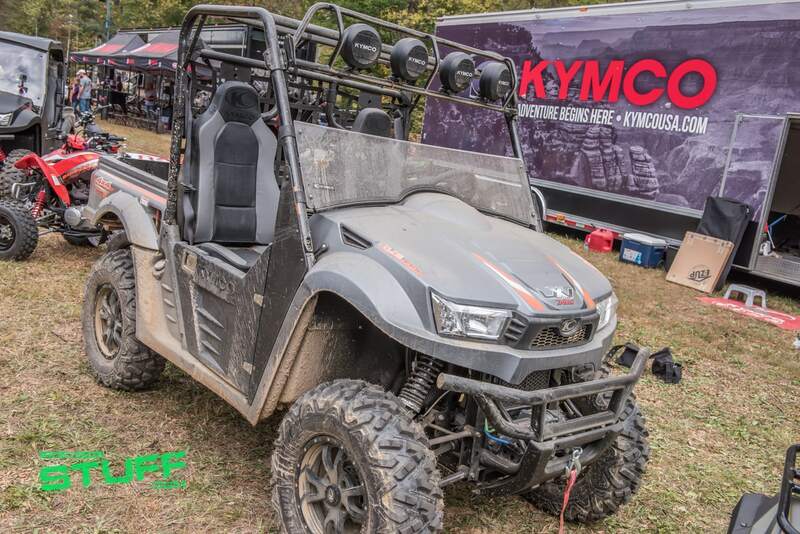 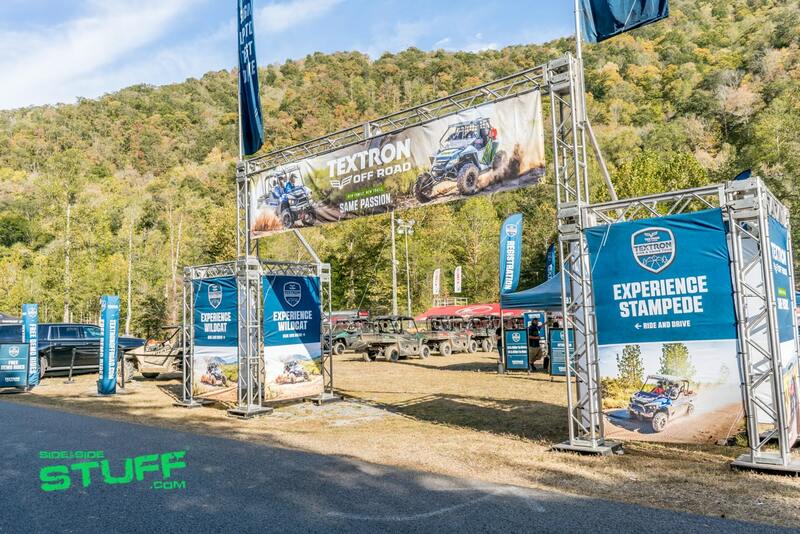 OEMs like Textron Offroad, Yamaha, Can-Am and Kymco were present showing off their latest machines and most even offering test rides. 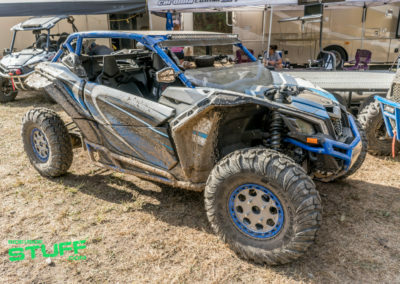 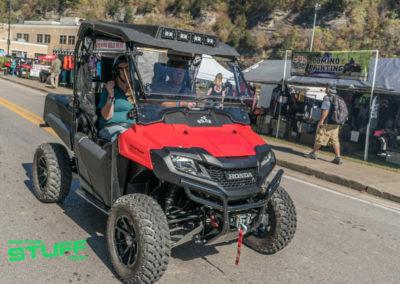 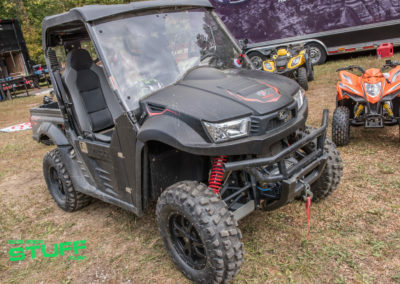 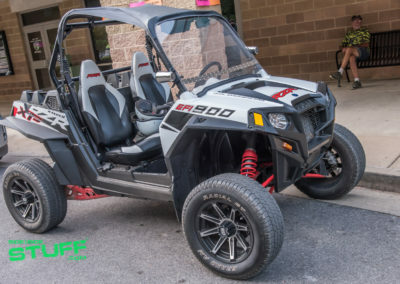 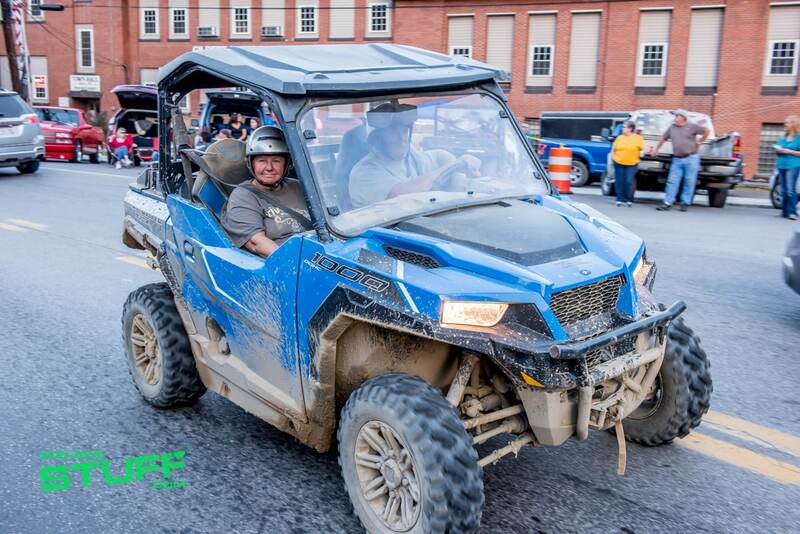 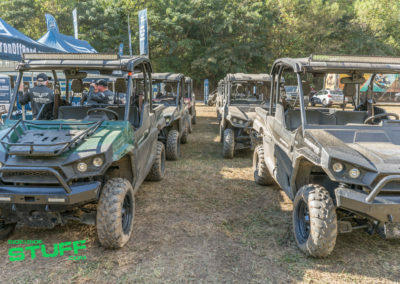 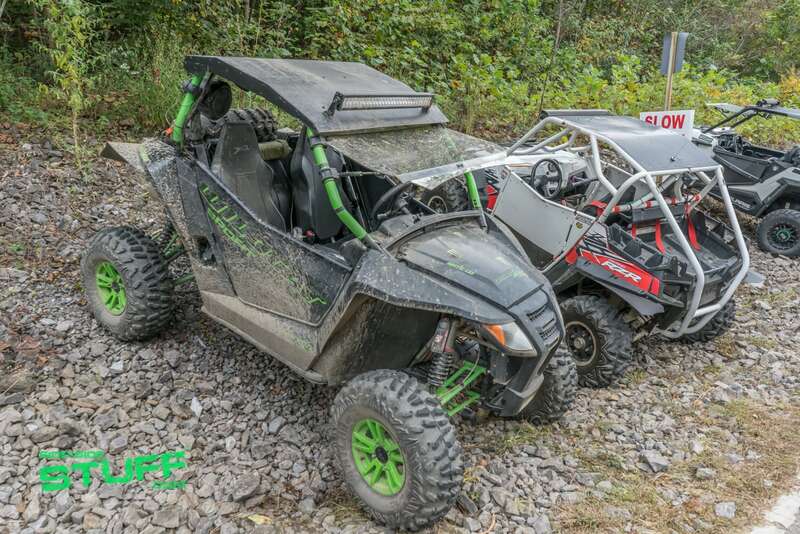 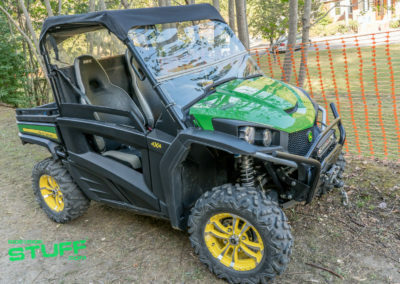 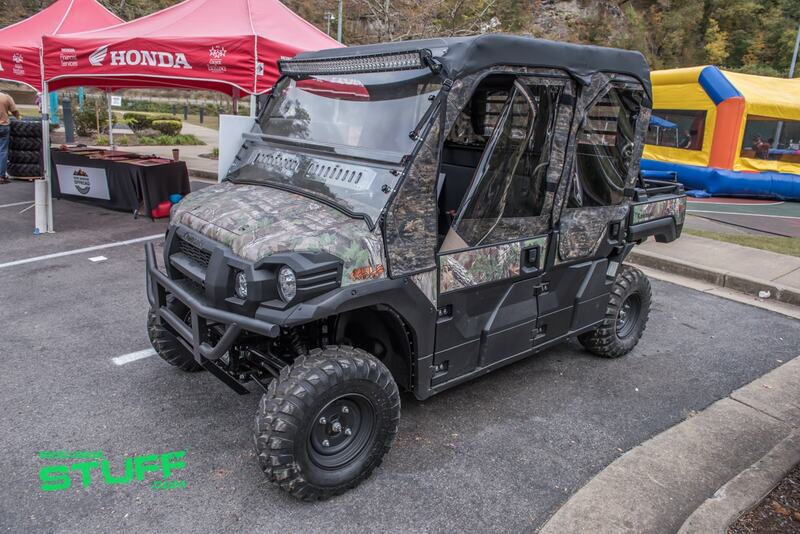 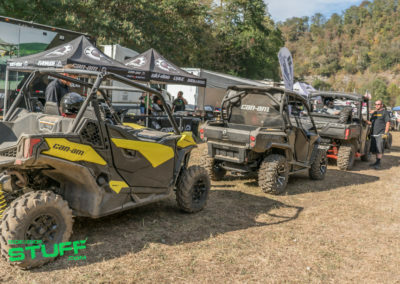 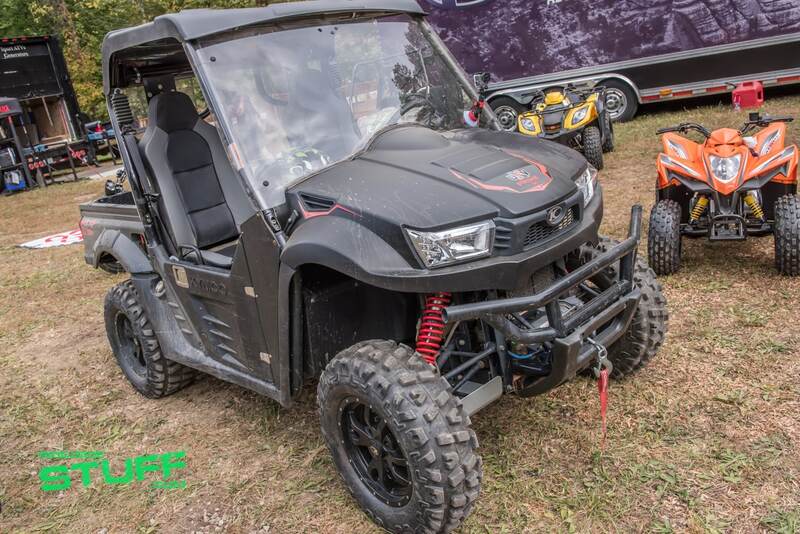 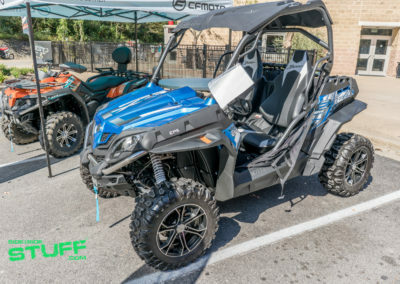 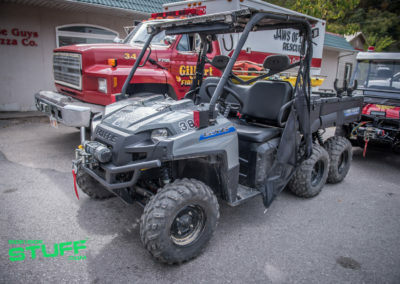 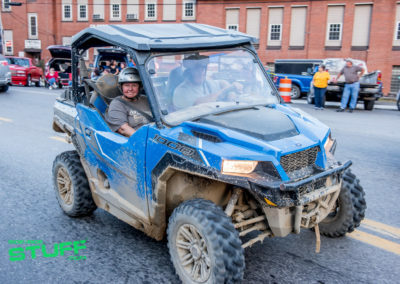 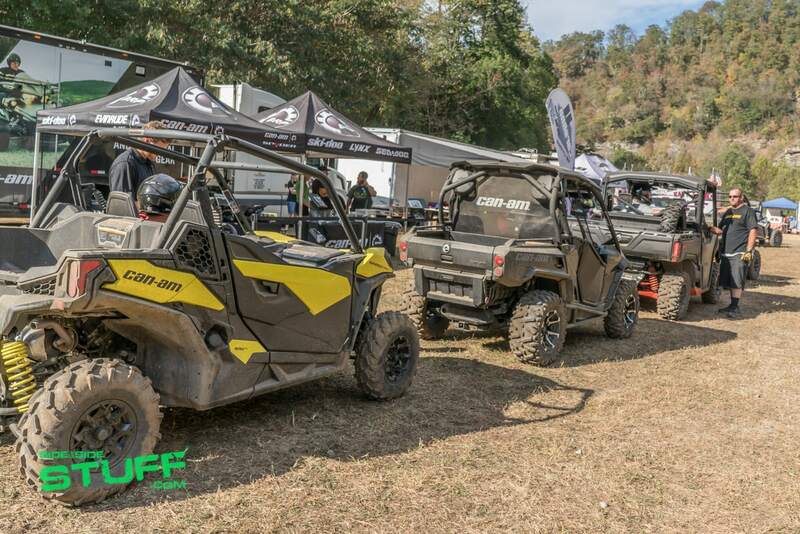 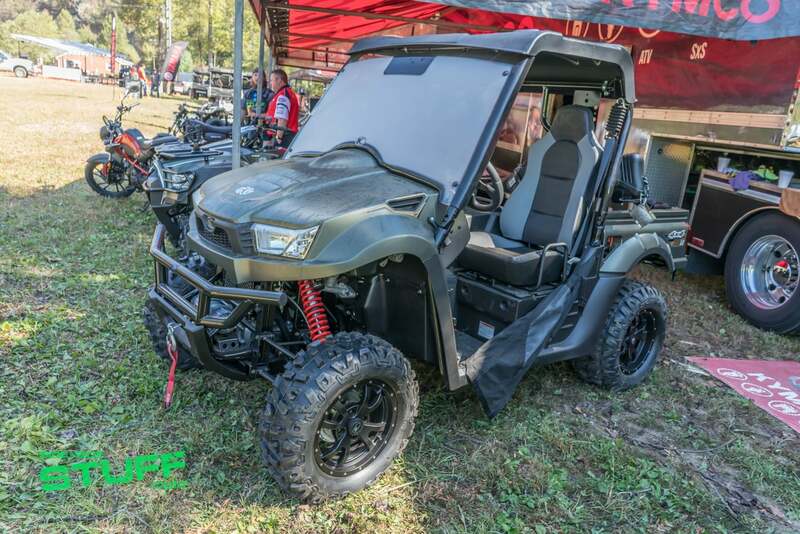 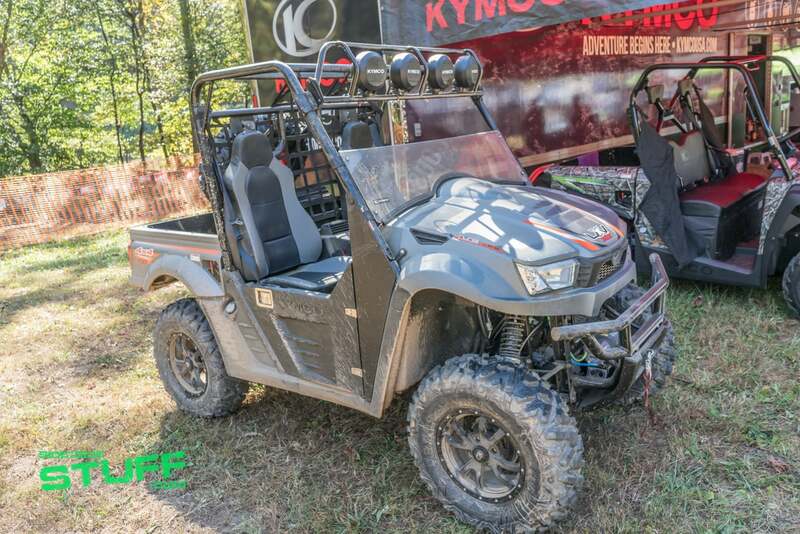 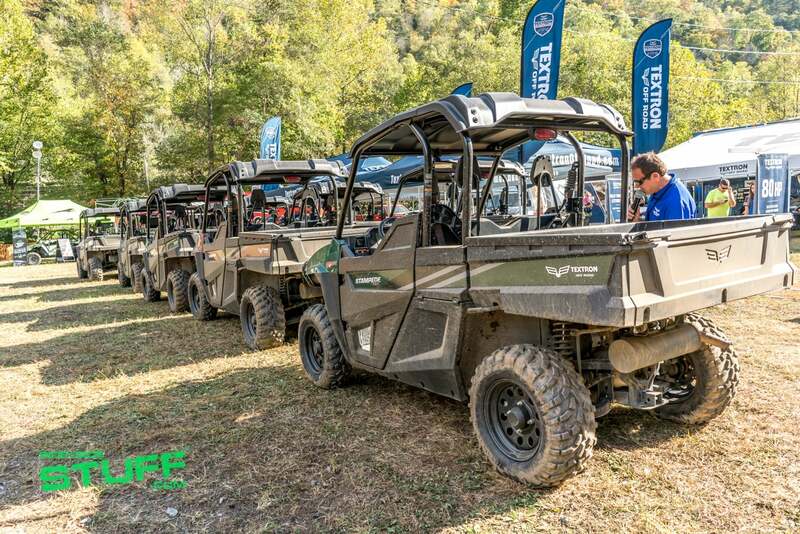 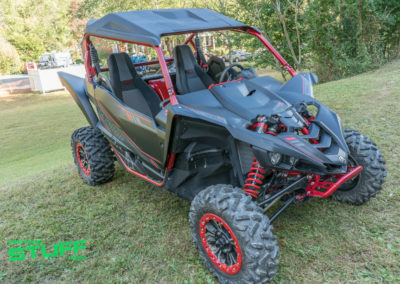 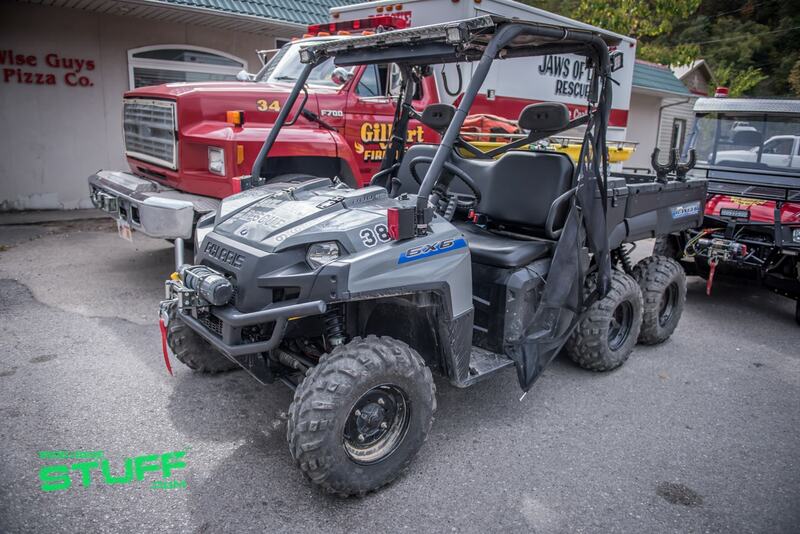 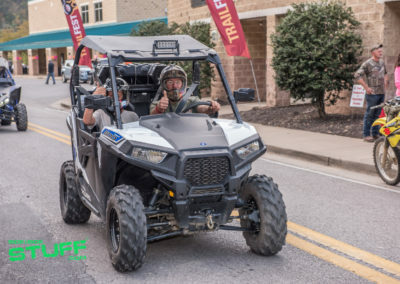 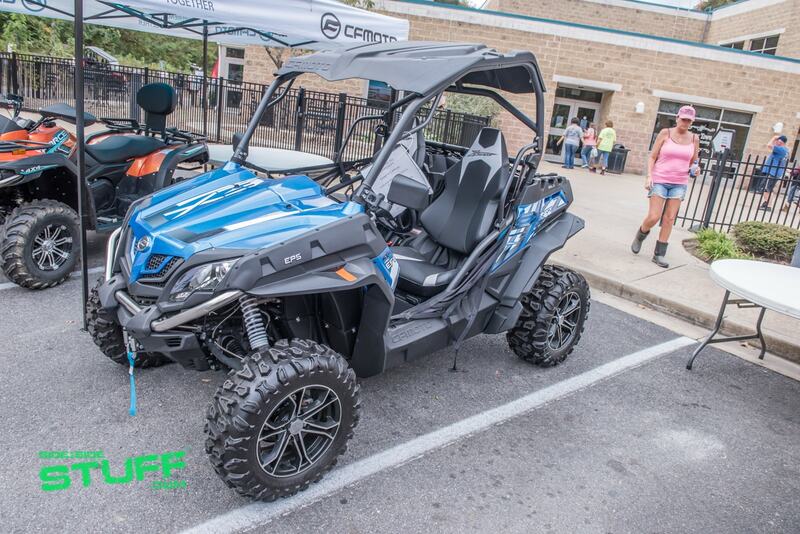 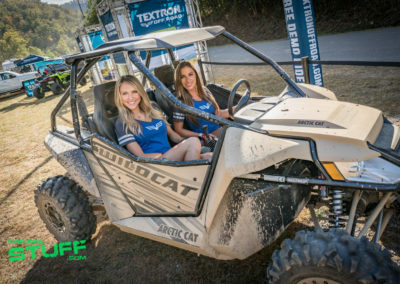 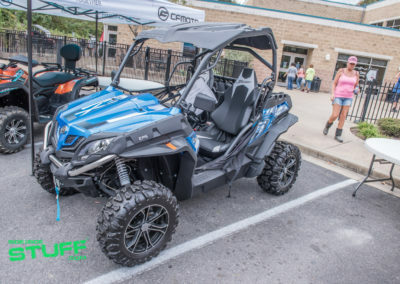 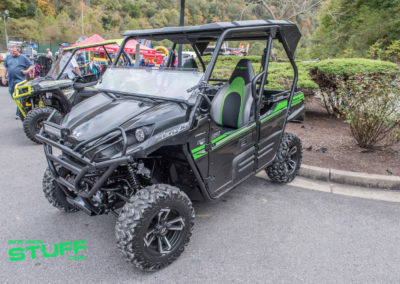 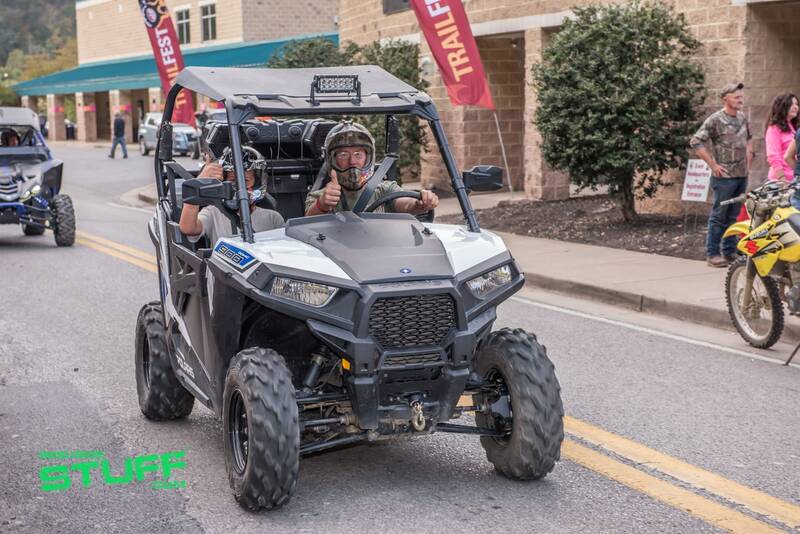 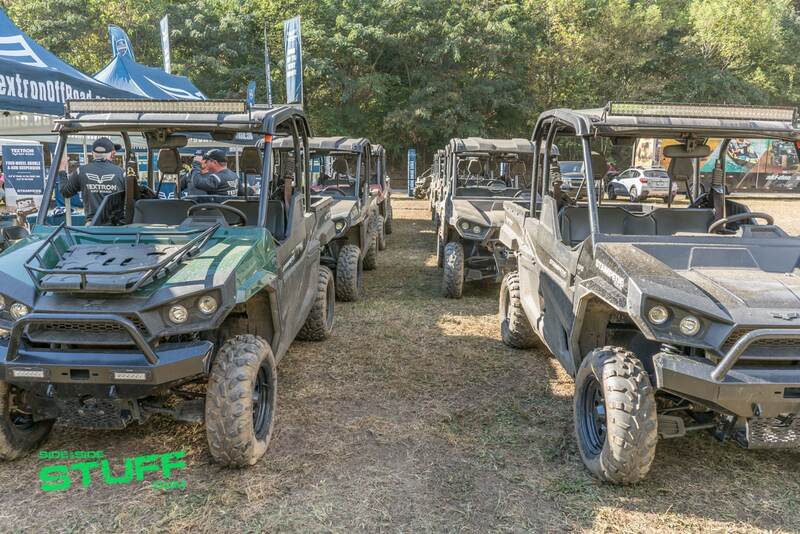 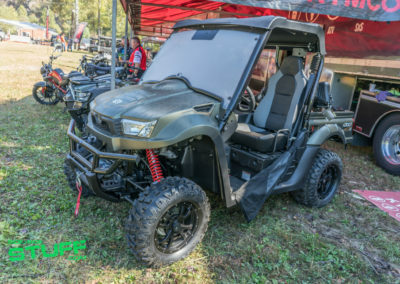 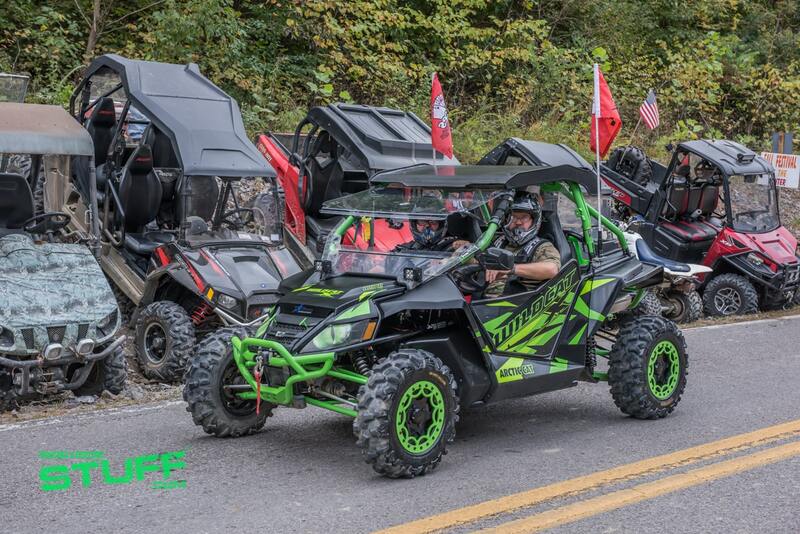 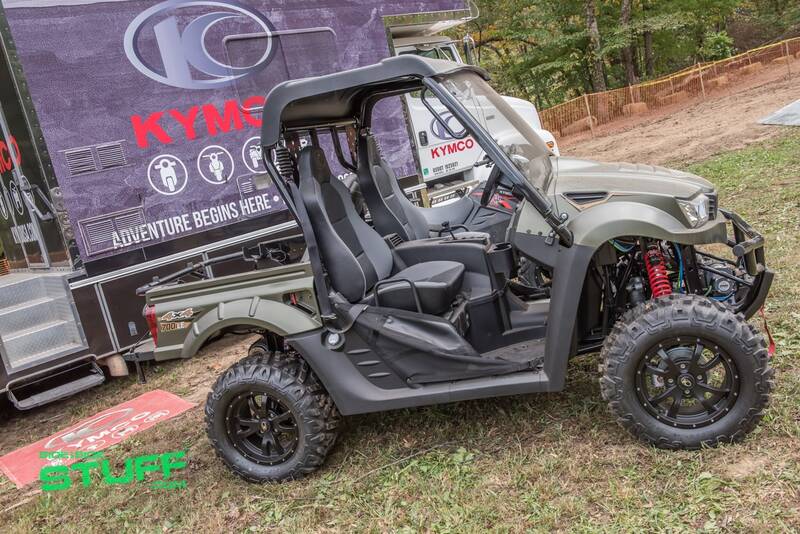 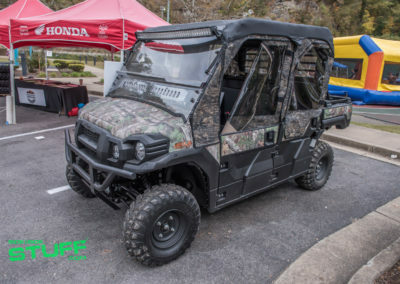 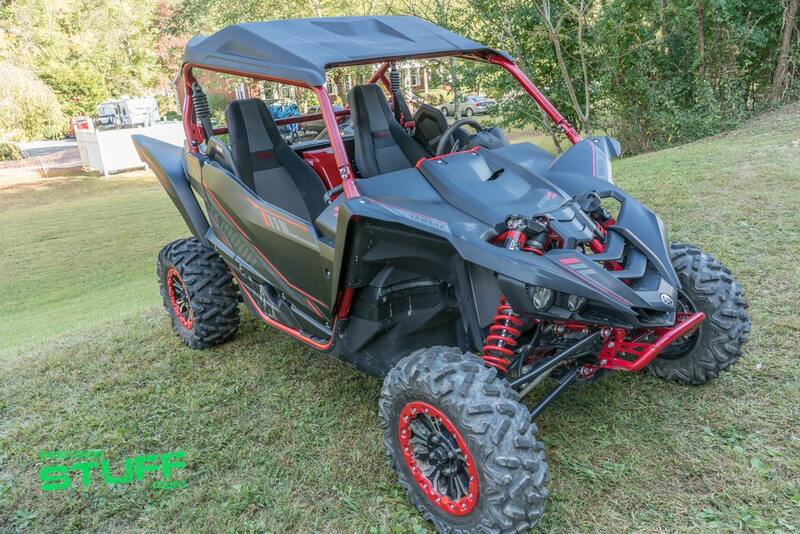 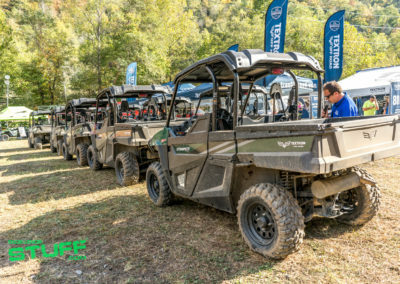 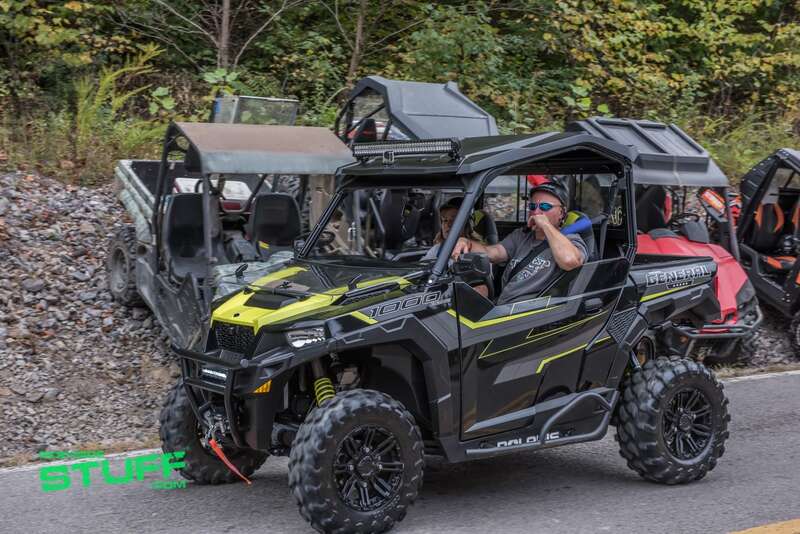 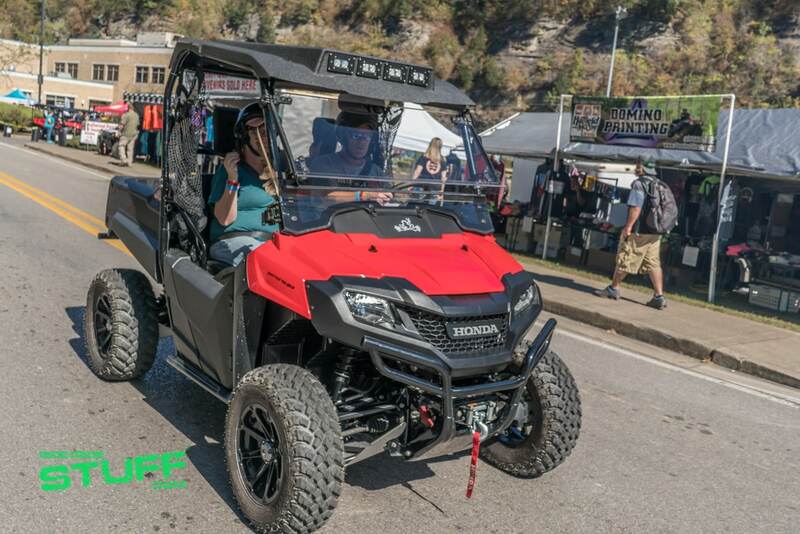 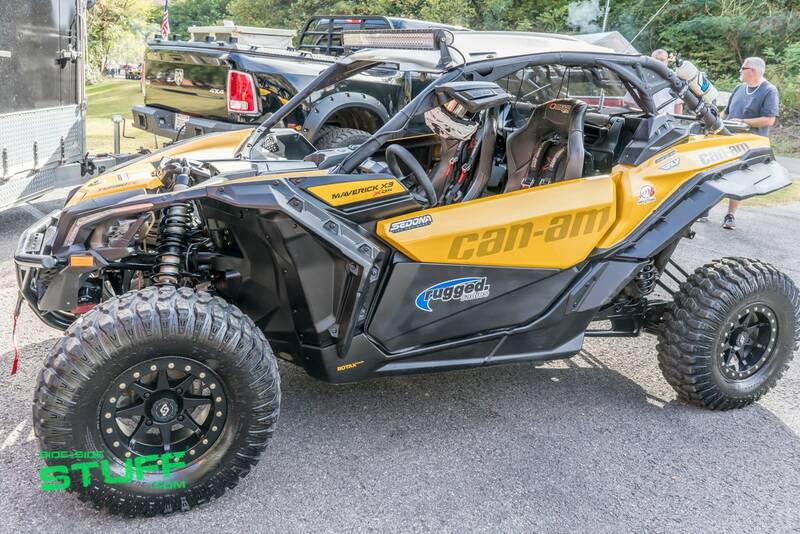 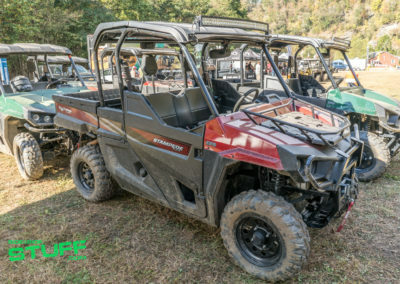 Attendees had the chance to try out Yamaha’s new Wolverine X4, Textron Offroad’s Stampede and several Can-Am UTVs including the new Maverick Trail. 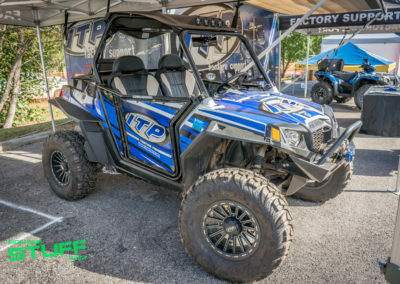 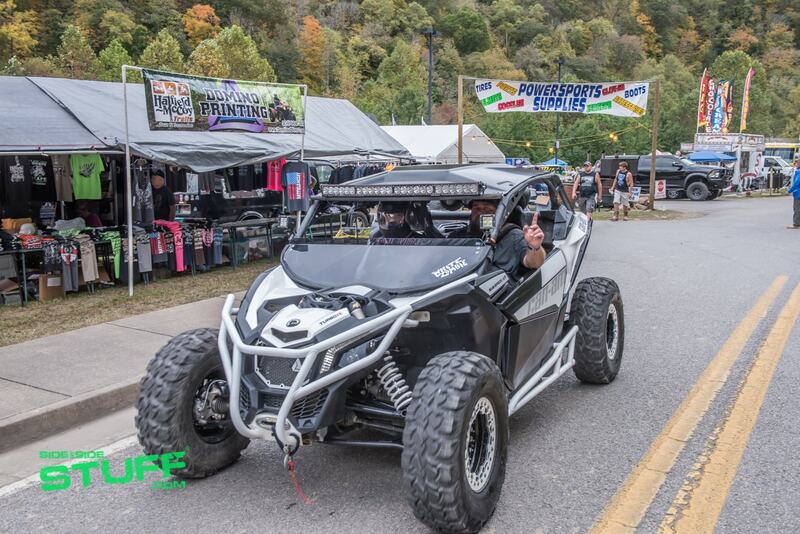 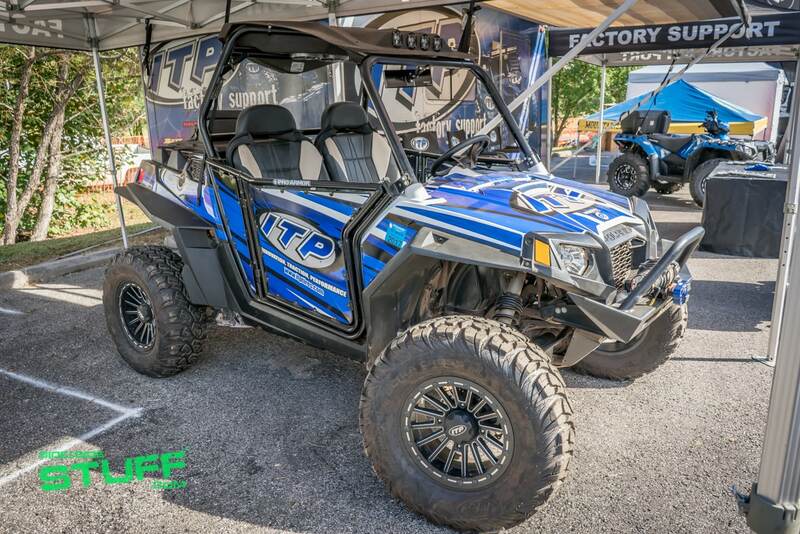 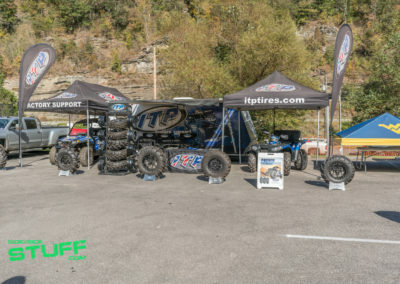 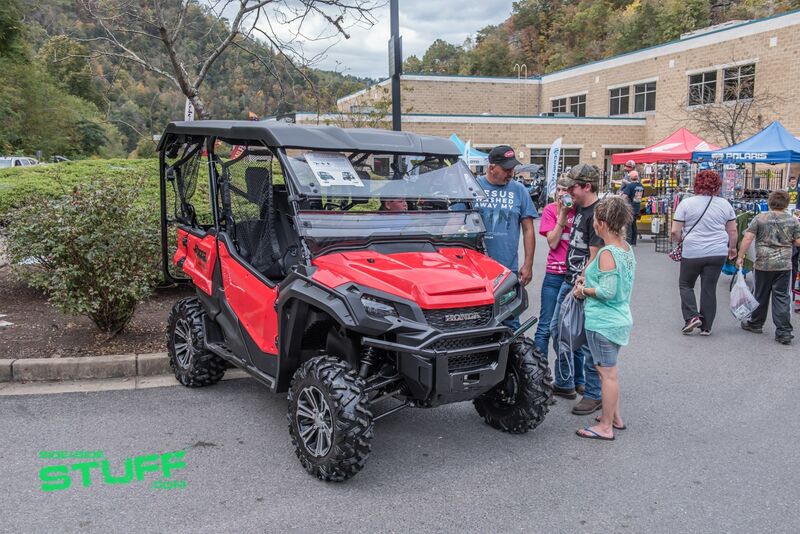 Aftermarket vendors were present too; ITP Wheels and Tires and J.Strong had booths displaying their latest UTV products. 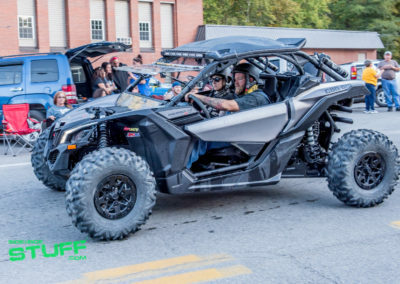 Fisher’s ATV World was also present. 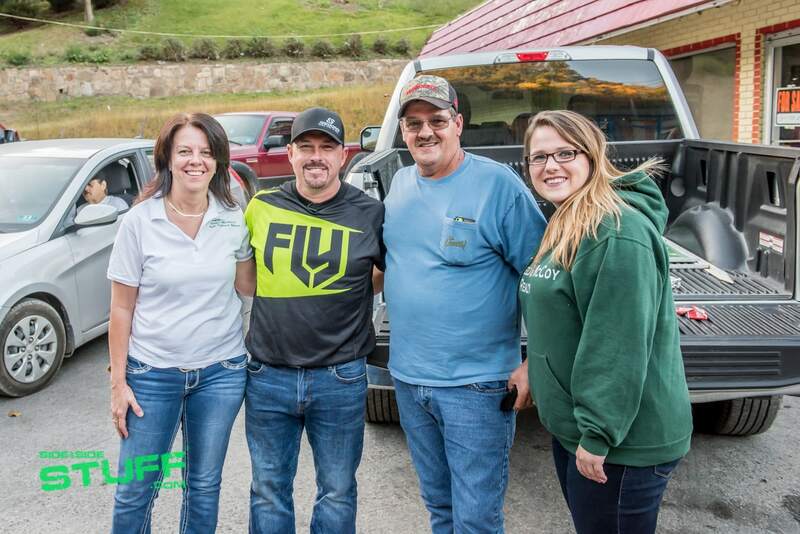 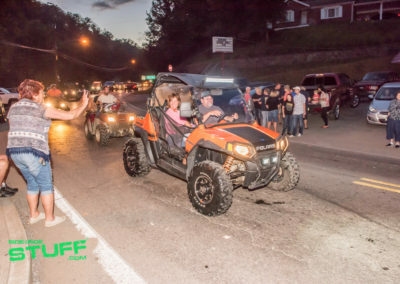 Offroad enthusiast Brian Fisher, host of Fisher’s ATV World, a popular off-road show on the Outdoors Channel, was there shaking hands and visiting with fans. 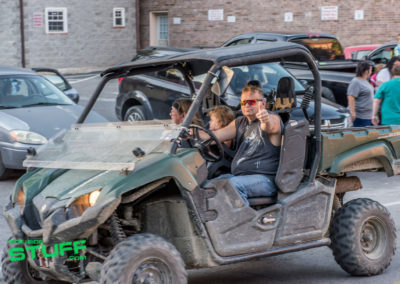 Brian even got involved with hosting some of the event’s evening activities. 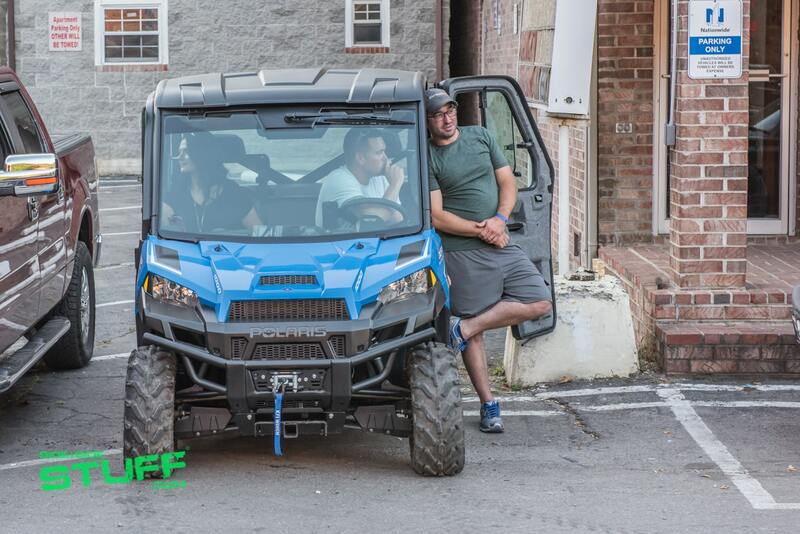 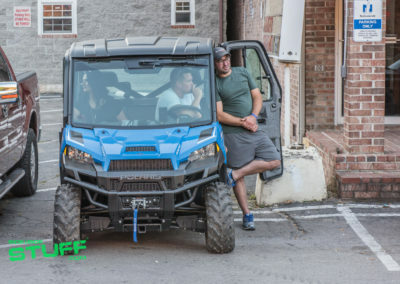 Brian and his wife, Melissa, filmed while at the event with plans to include TrailFest in an upcoming episode. 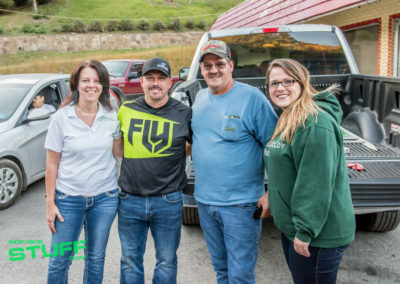 Brian and Melissa were easily approachable and very down to earth, it was great to meet them. 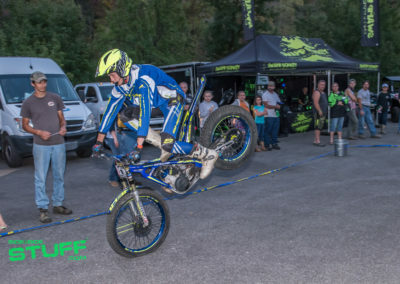 Trials rider Sam Fastle performed several stunt shows throughout the weekend, putting on a great show displaying his impressive trials riding skills. 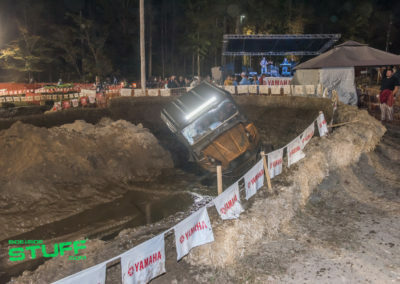 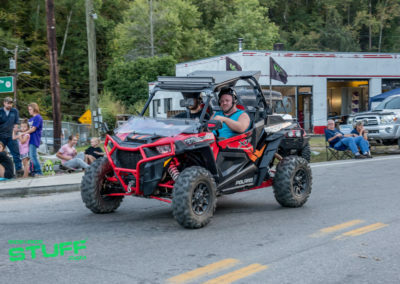 Each day there were several scheduled activities that attendees could participate in for cash prizes: a poker run, dice run, mud run and the Greasy Pole Contest in the evening. 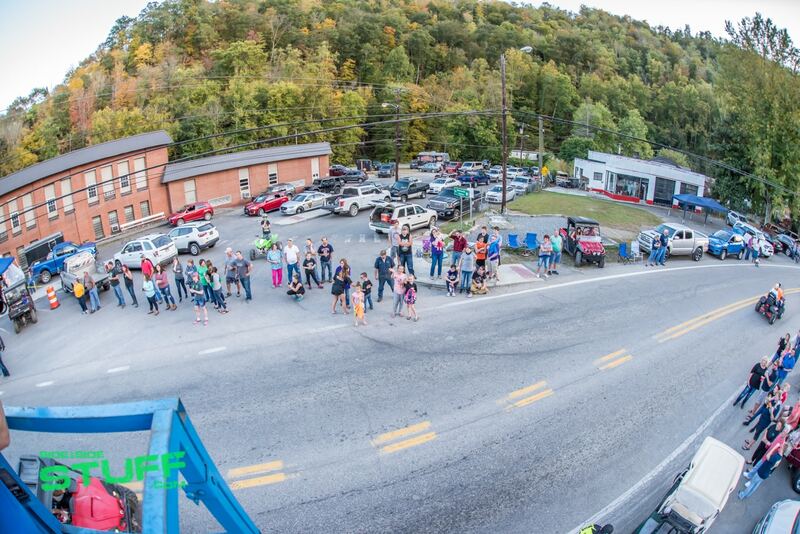 Yes, I said Greasy Pole Contest; attendees attempted to climb a pole covered in grease for a chance to win $100 cash. 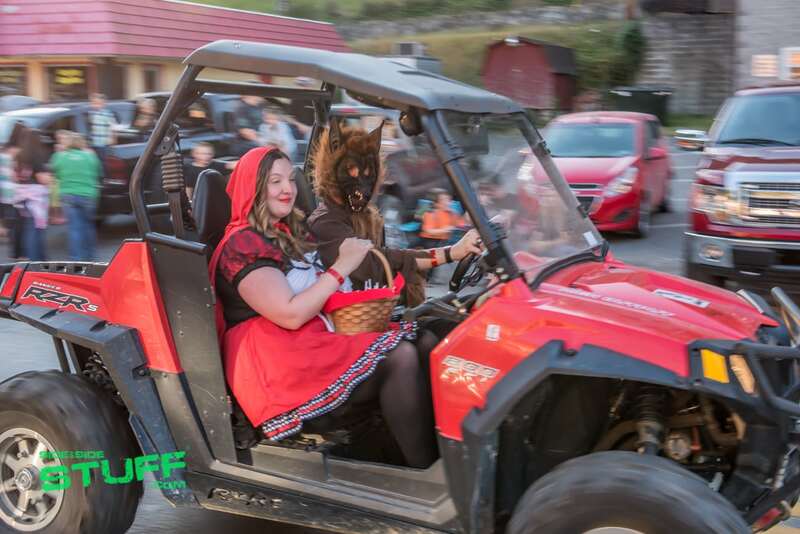 One of the highlights of the event is the costume parade. 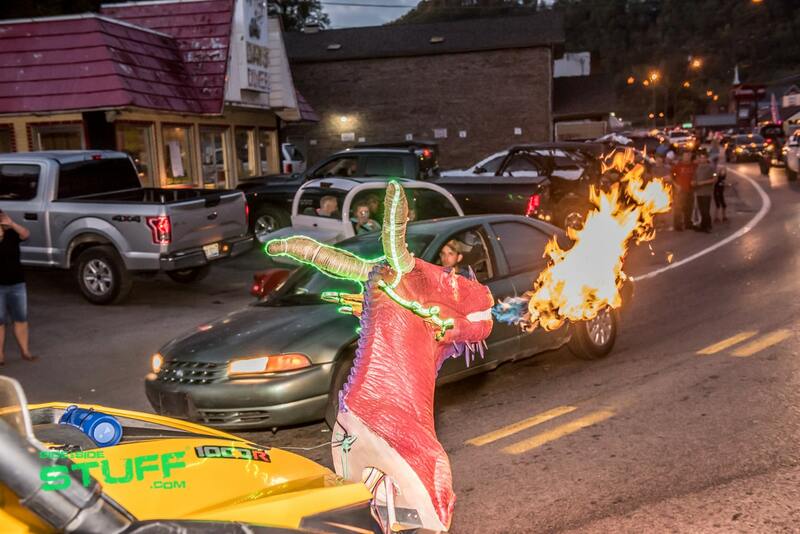 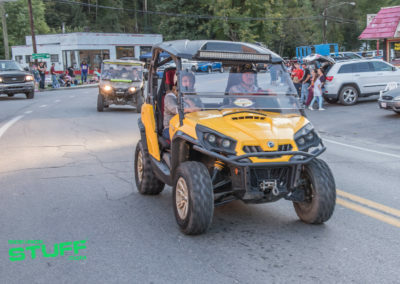 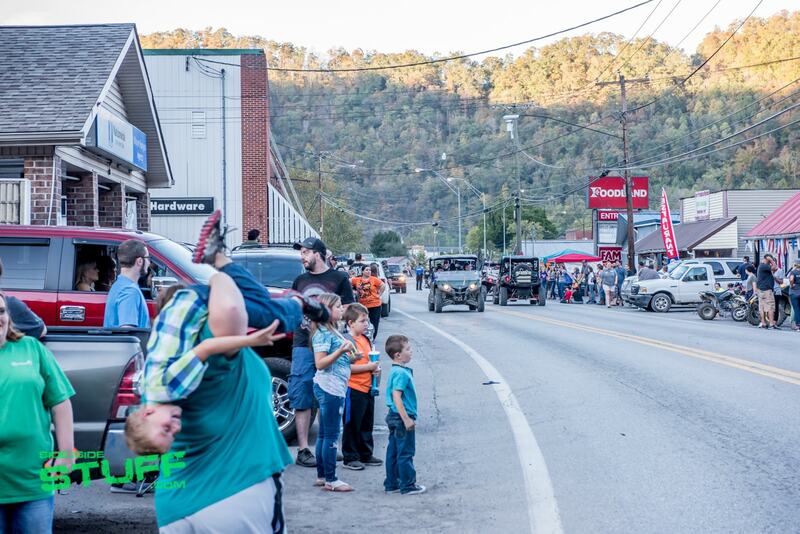 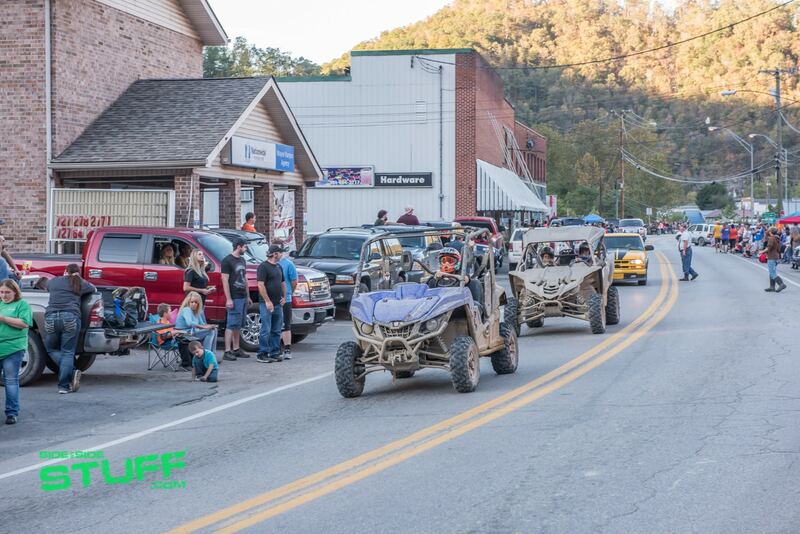 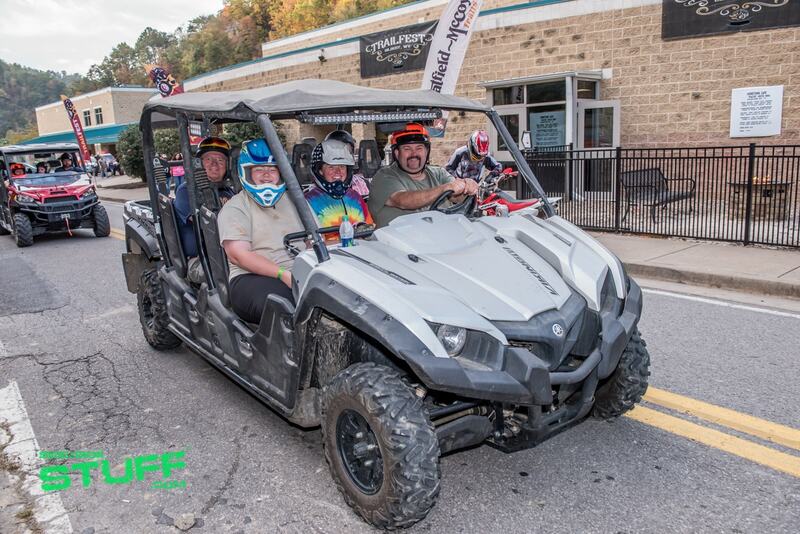 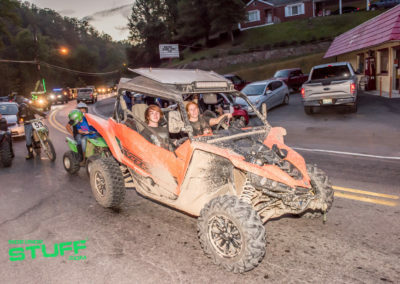 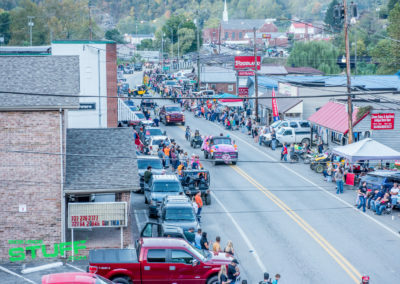 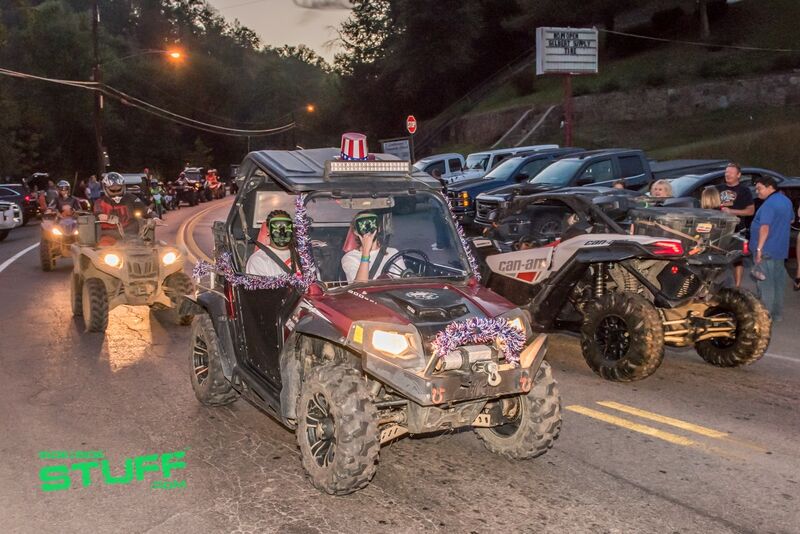 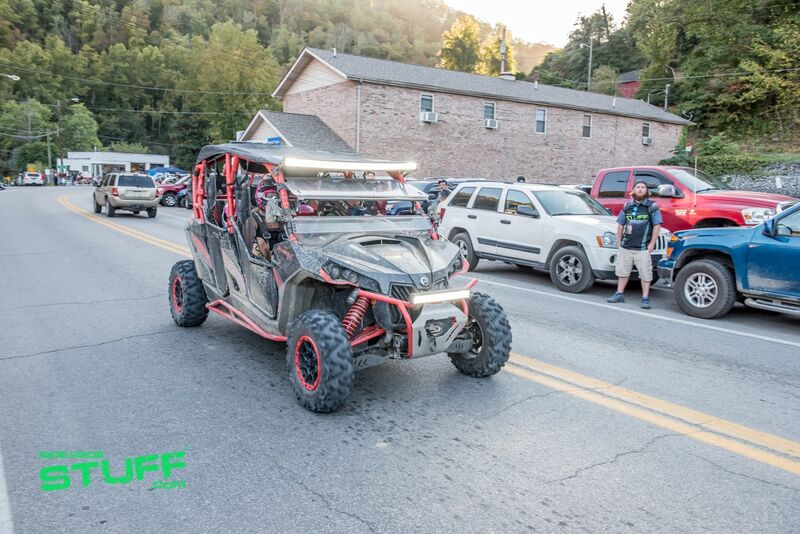 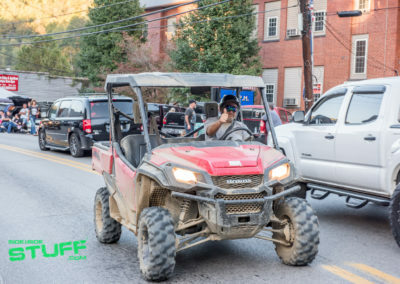 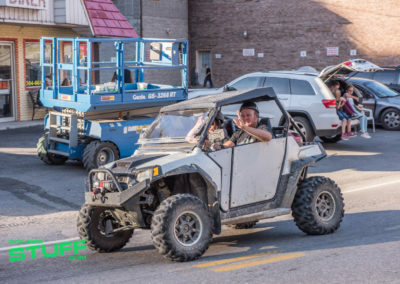 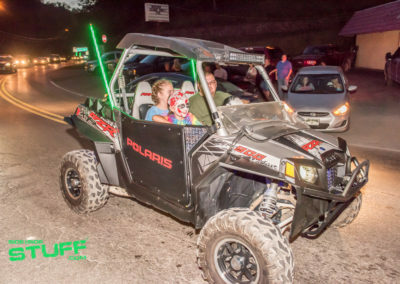 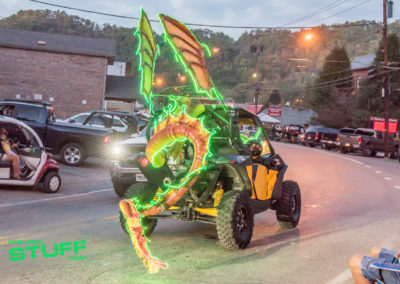 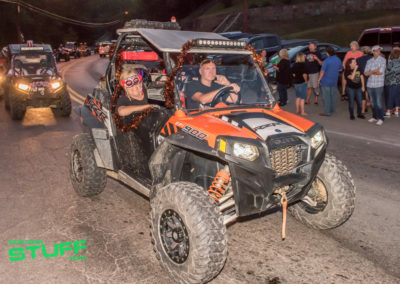 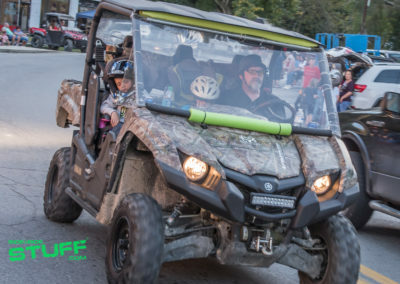 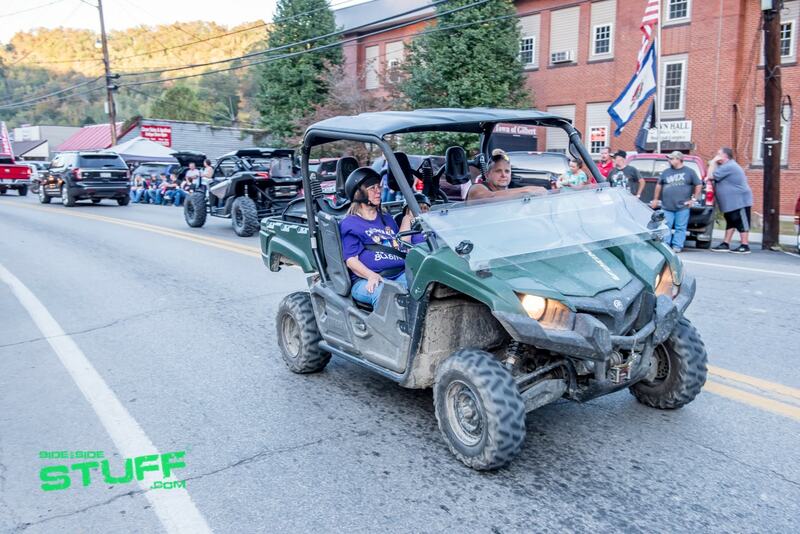 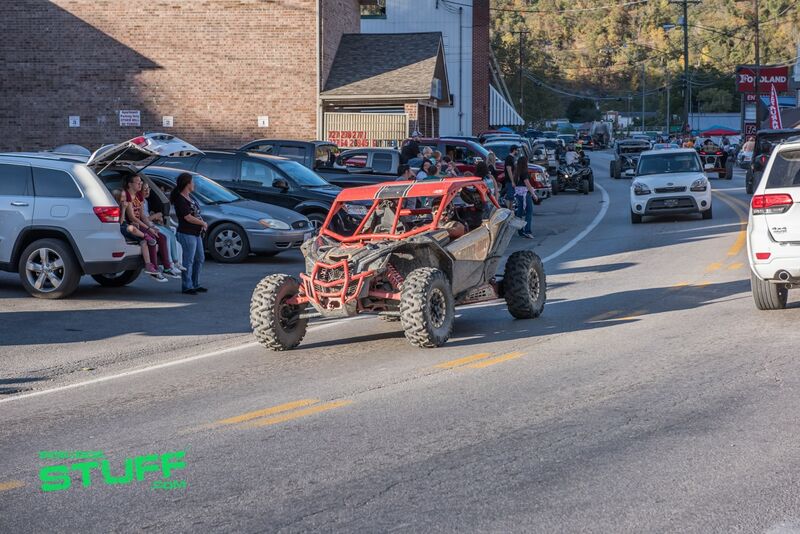 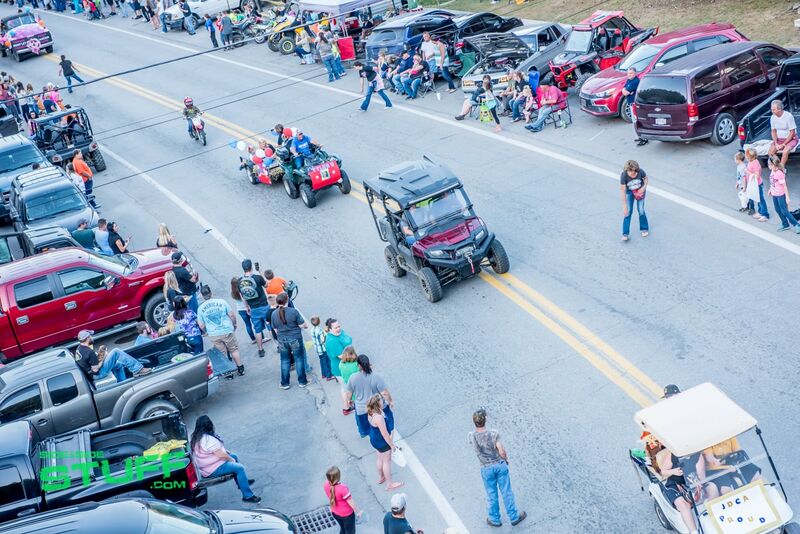 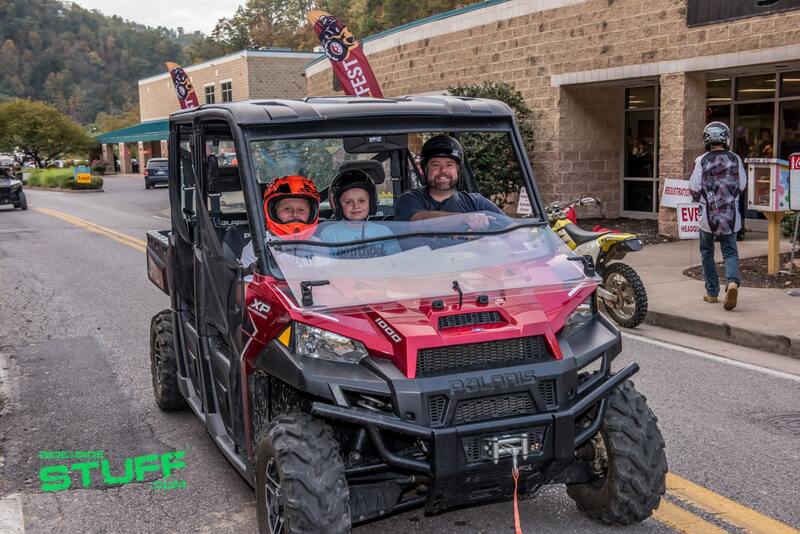 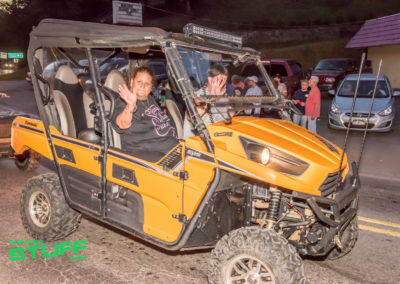 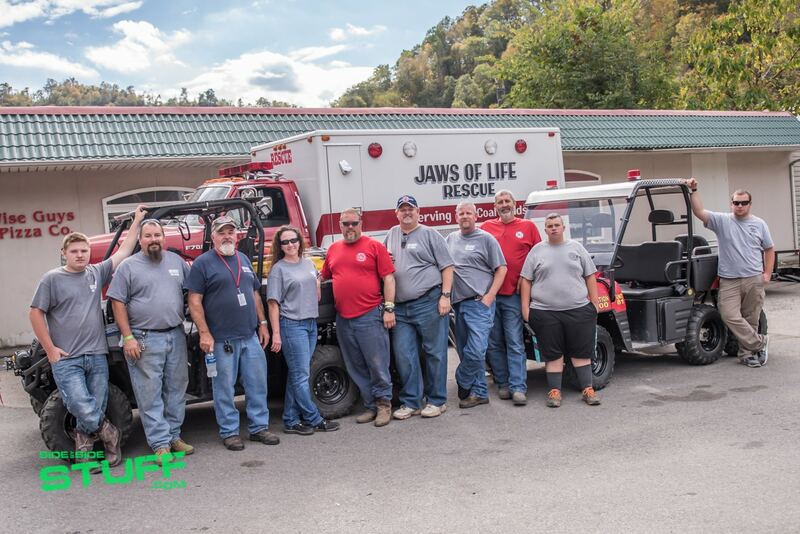 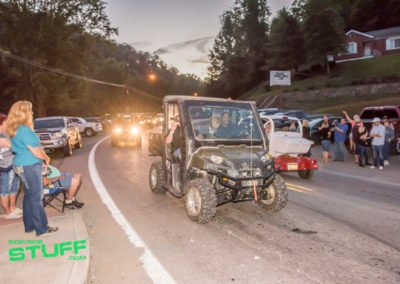 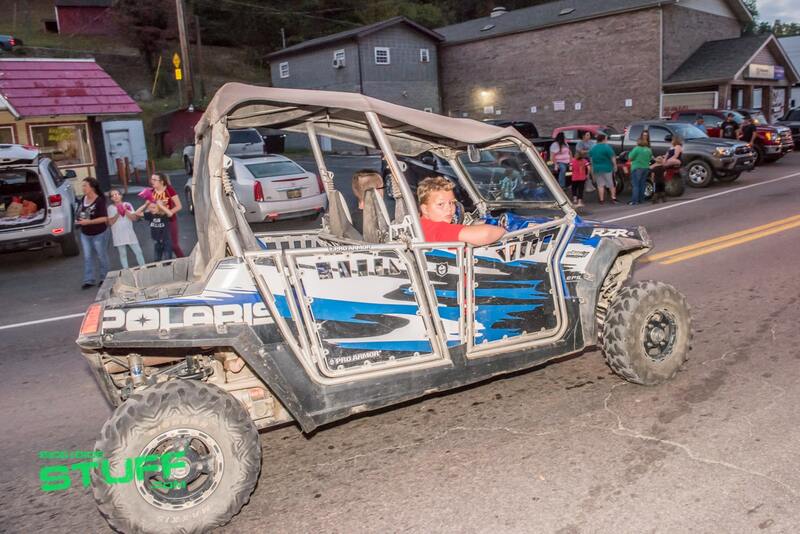 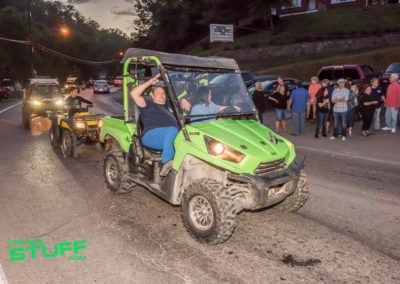 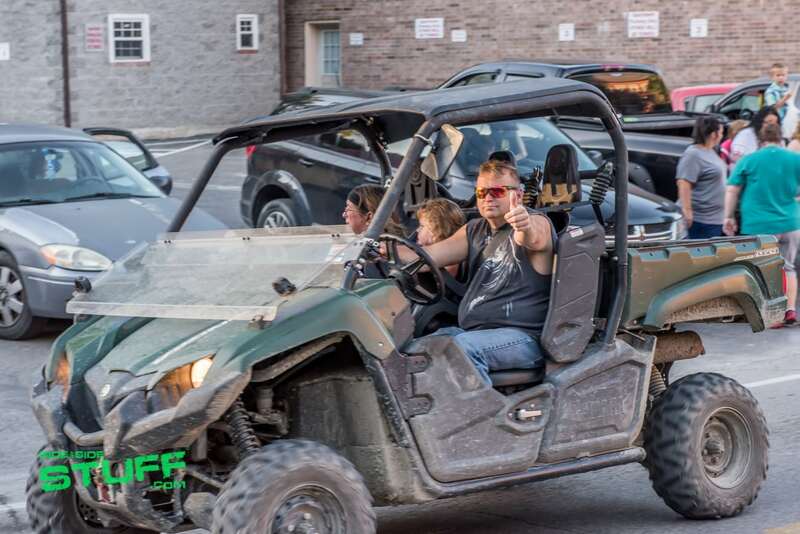 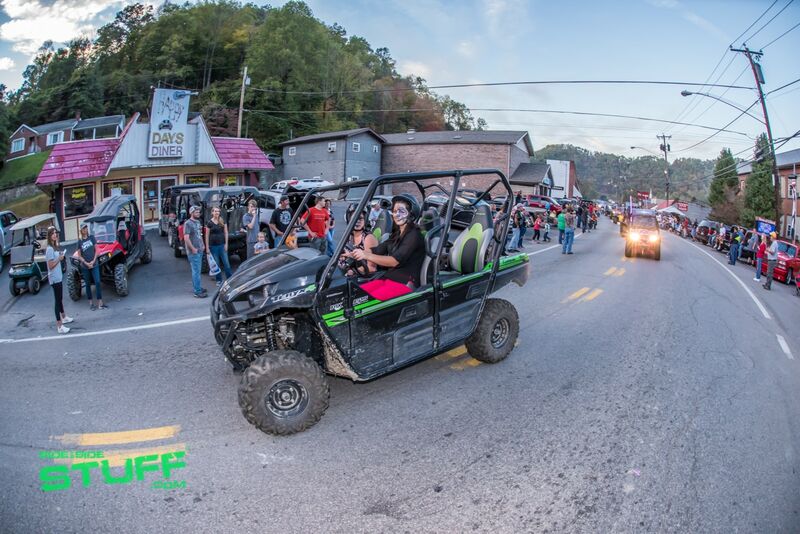 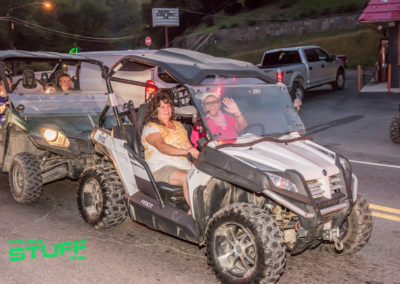 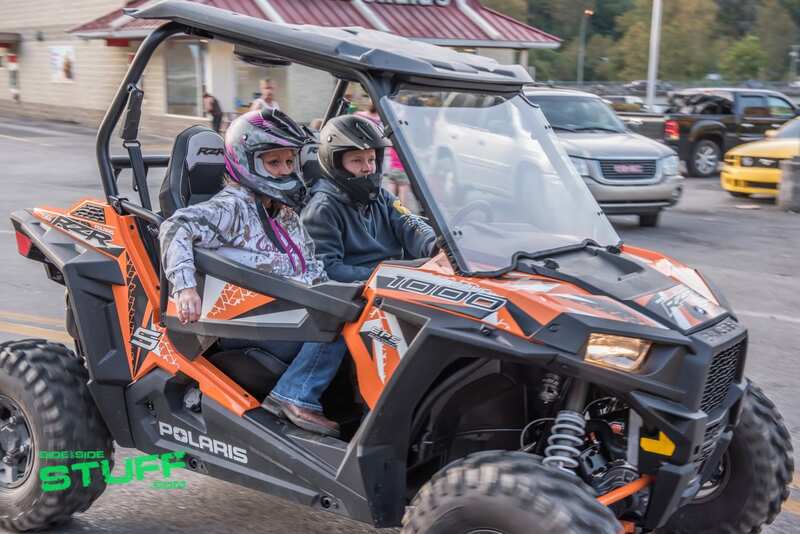 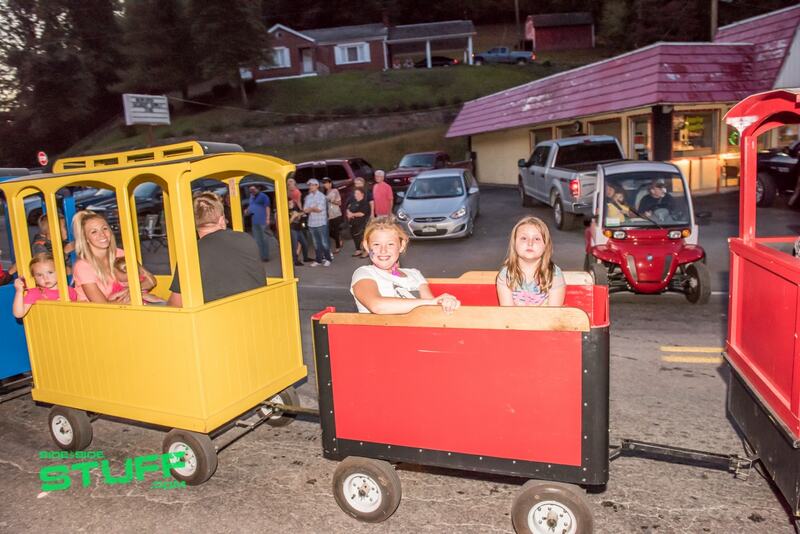 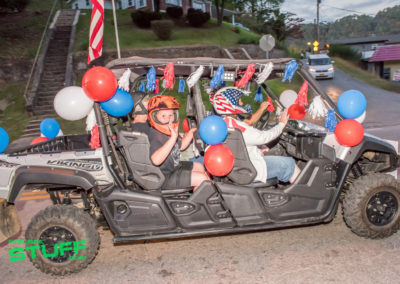 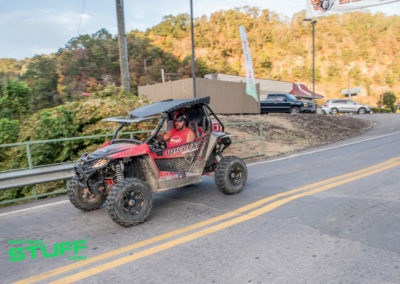 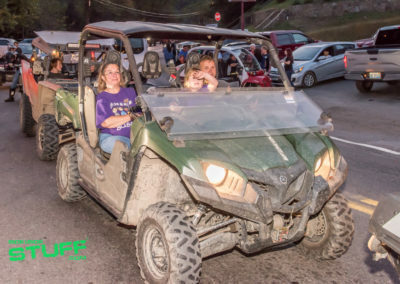 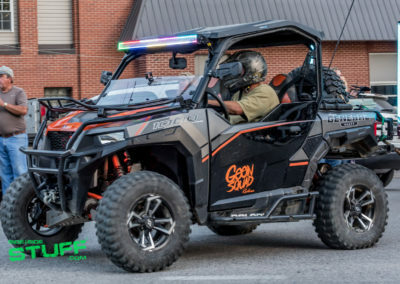 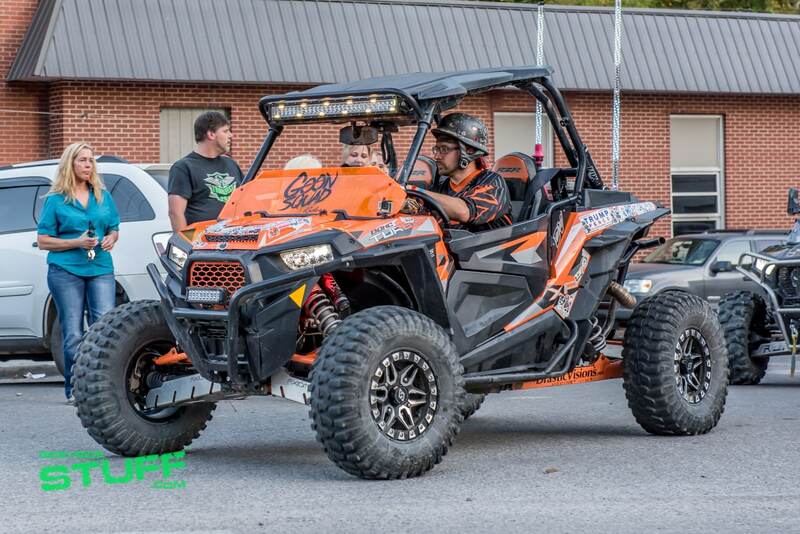 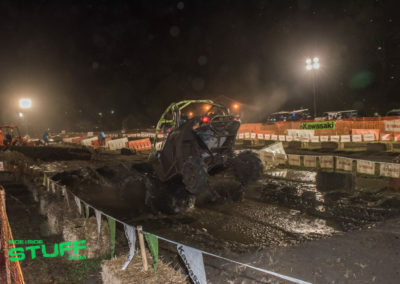 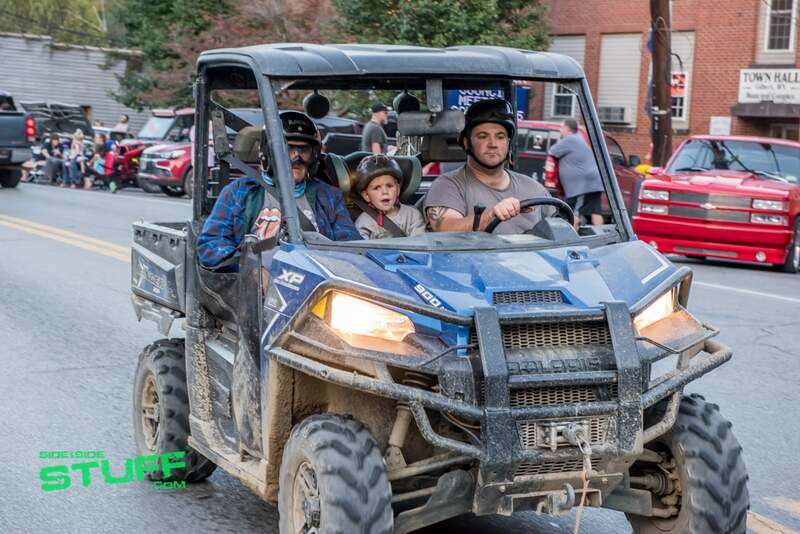 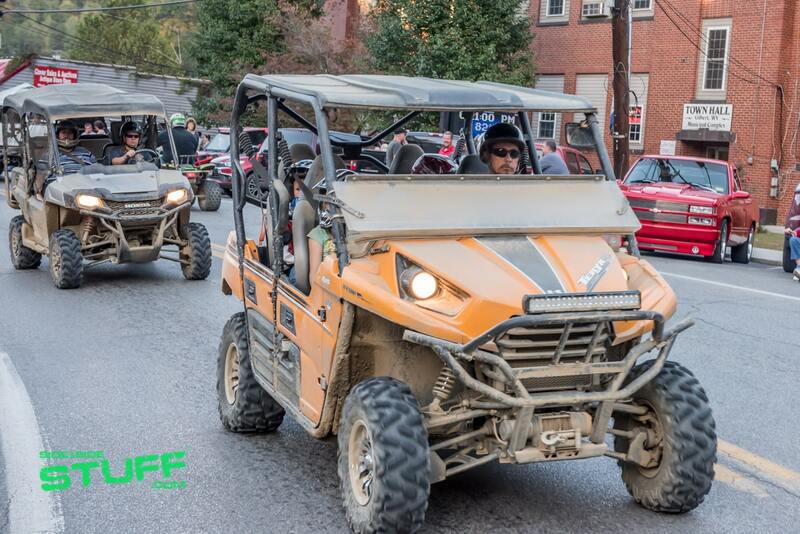 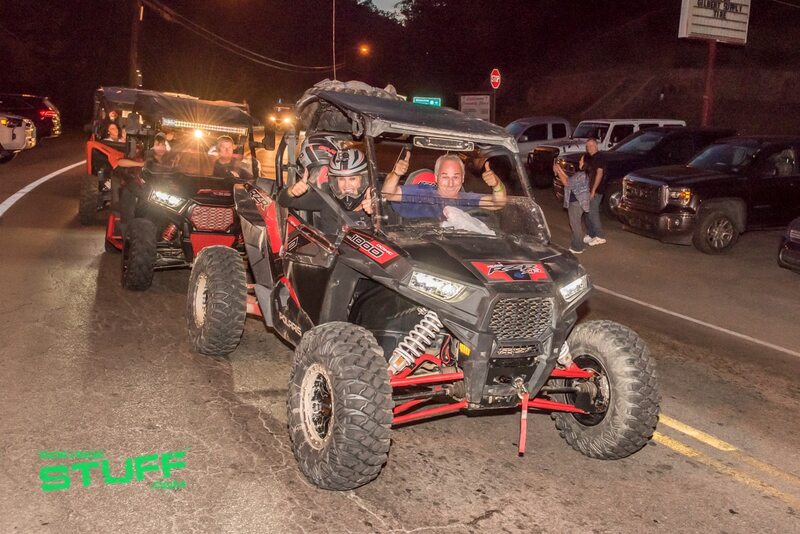 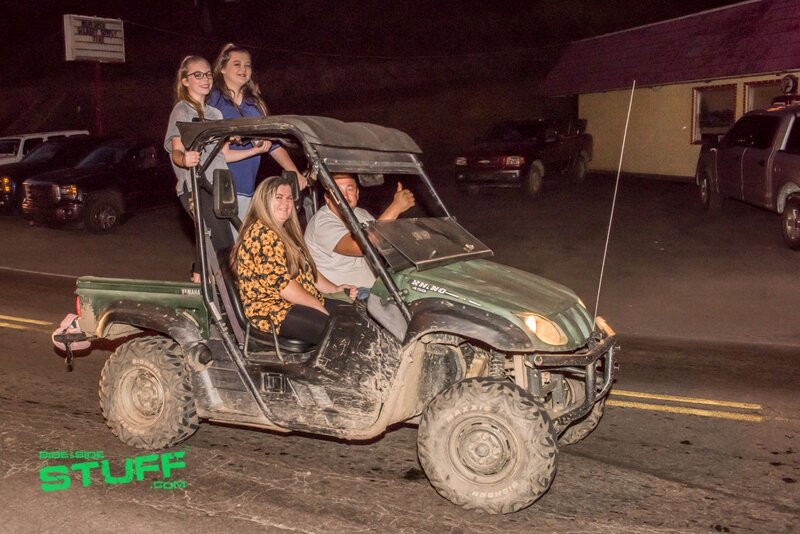 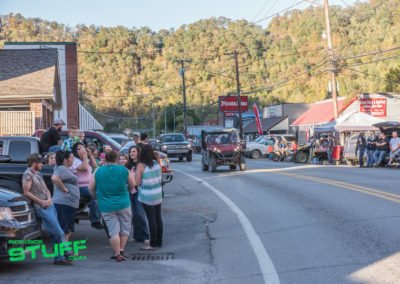 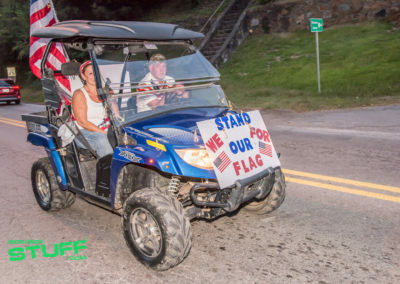 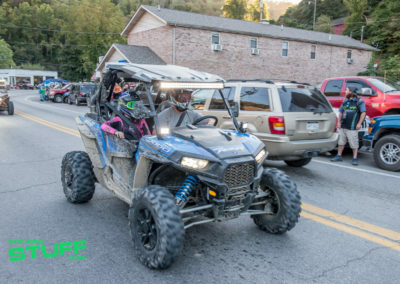 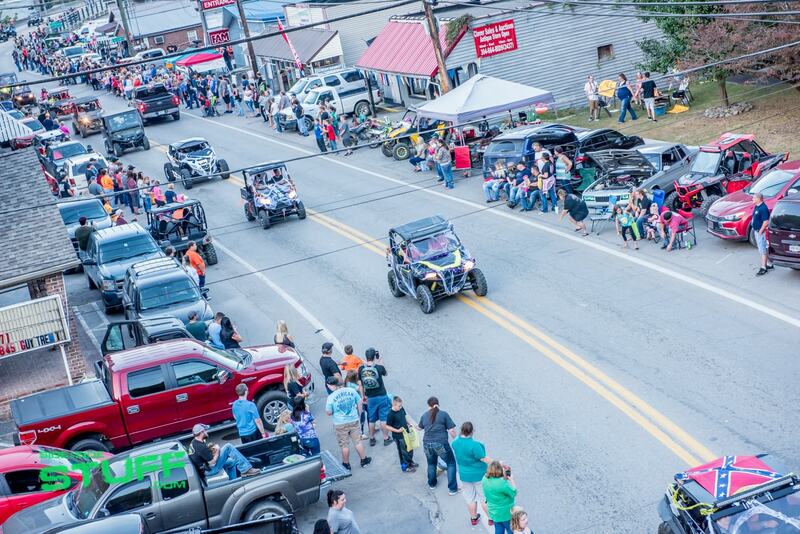 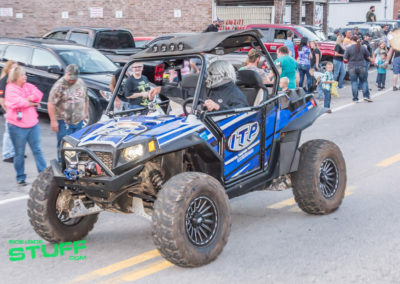 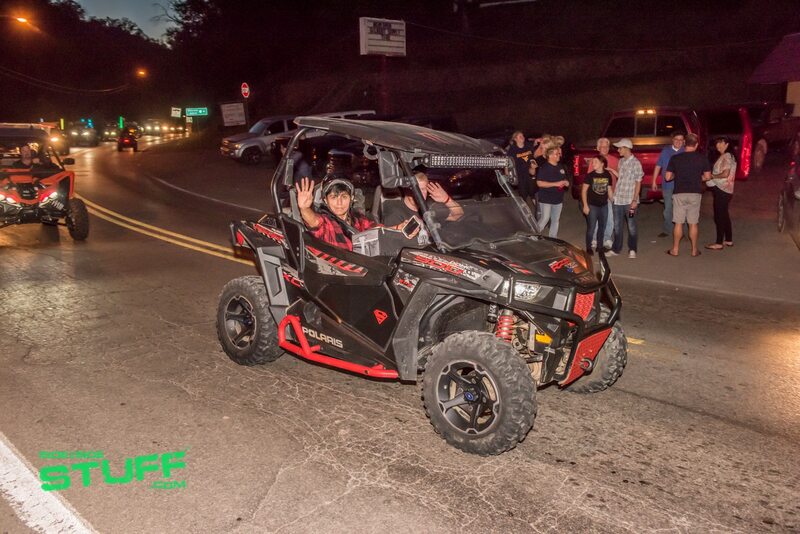 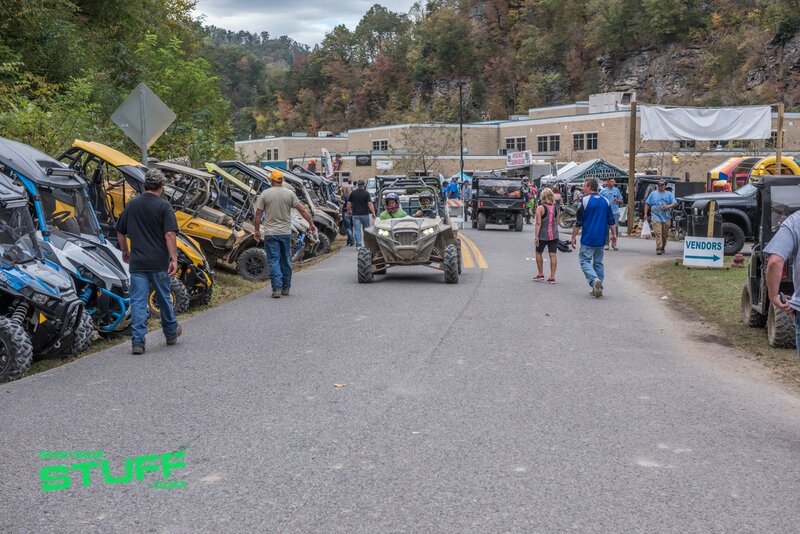 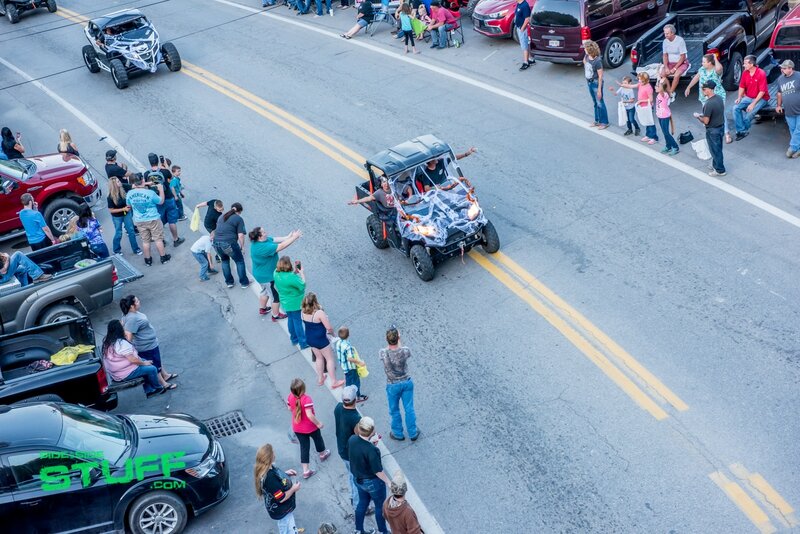 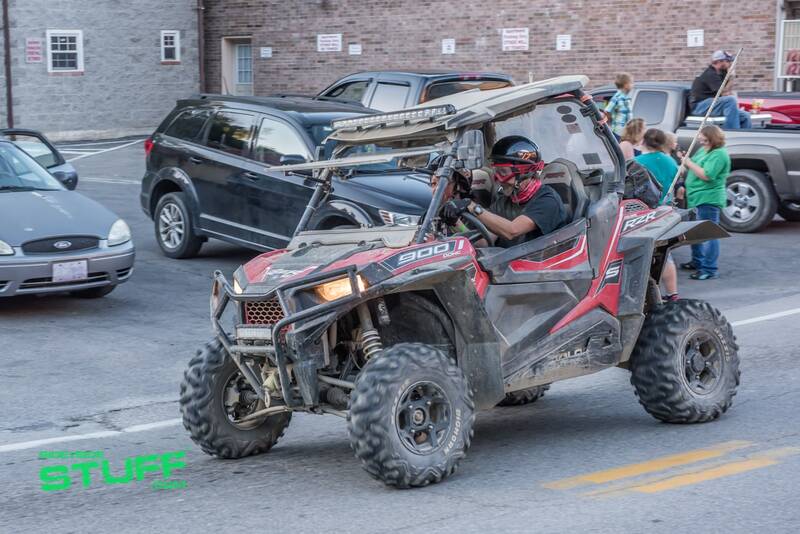 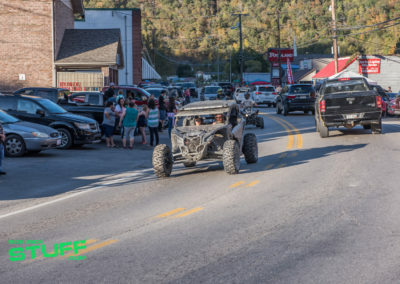 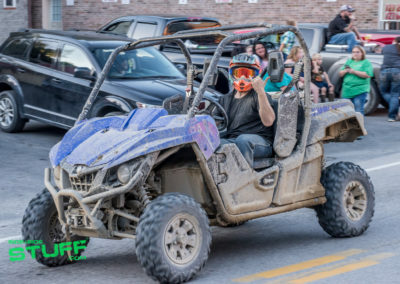 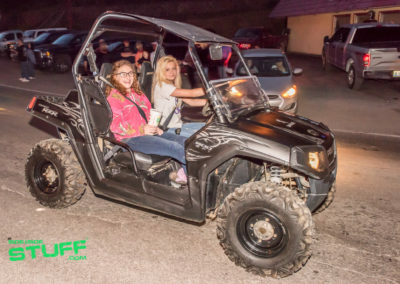 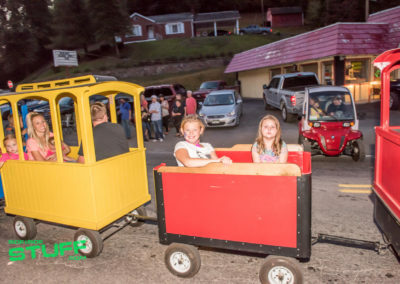 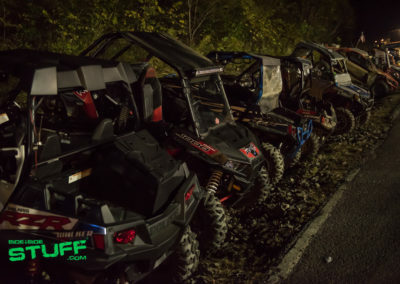 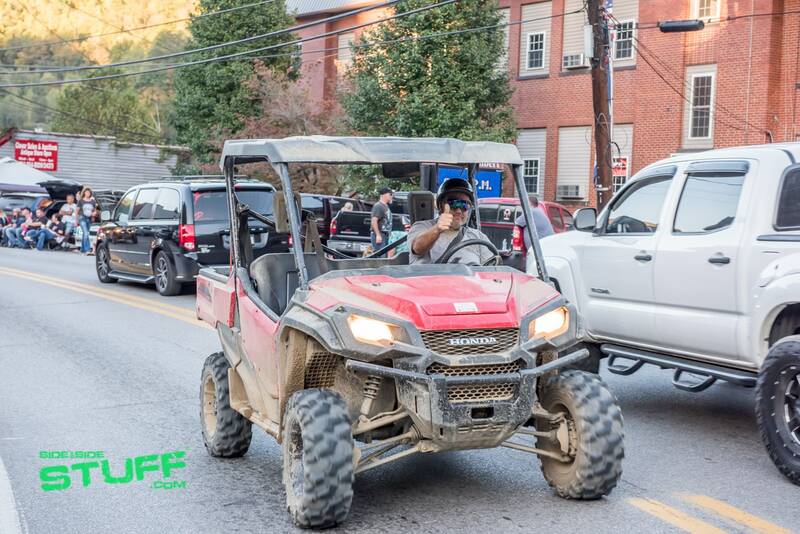 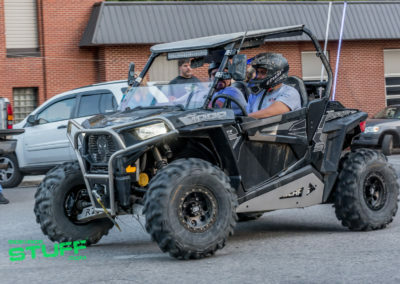 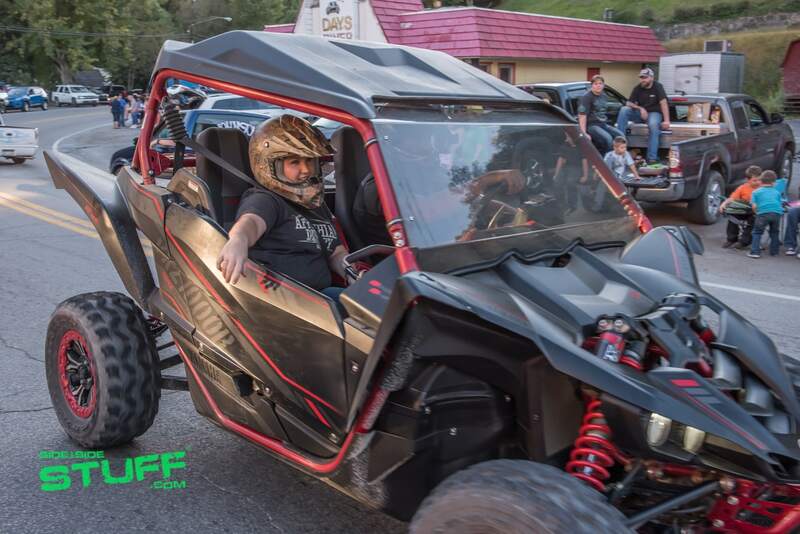 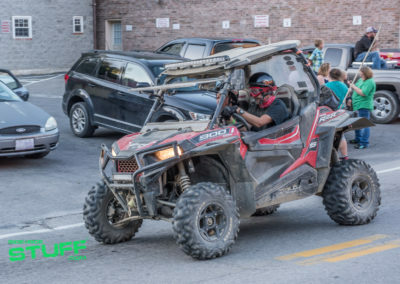 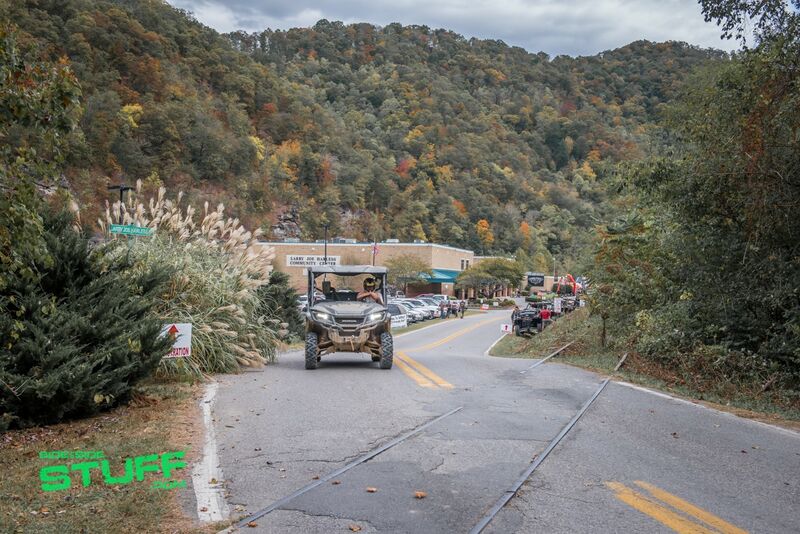 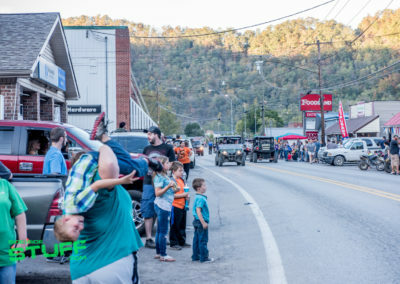 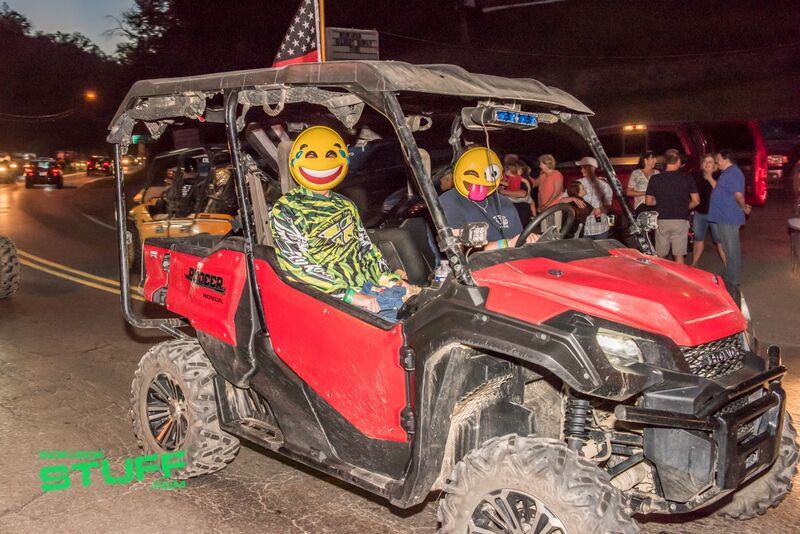 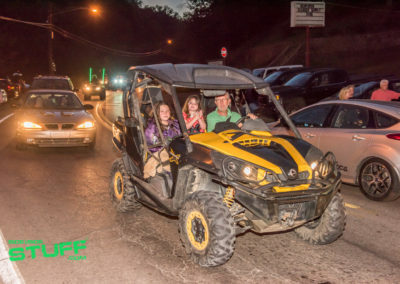 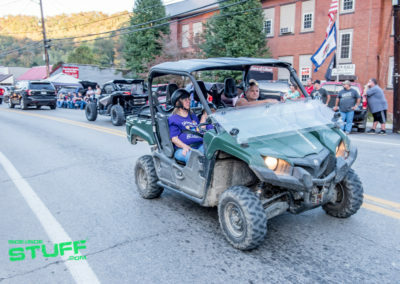 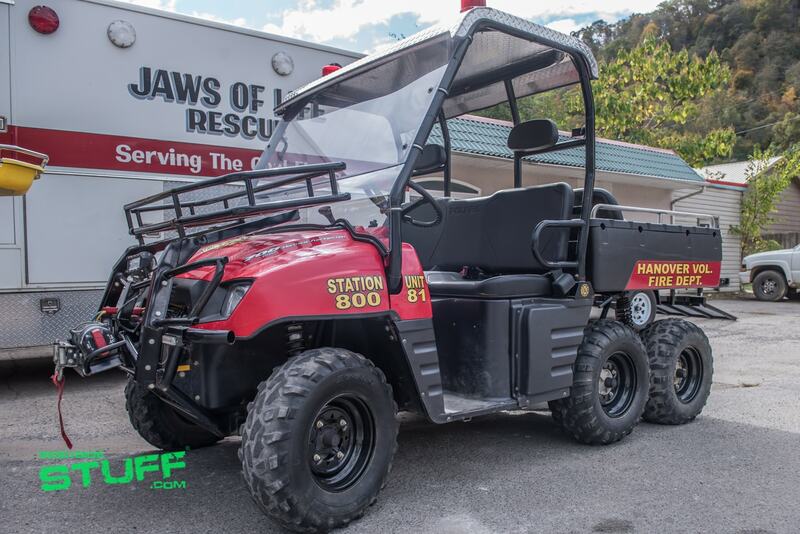 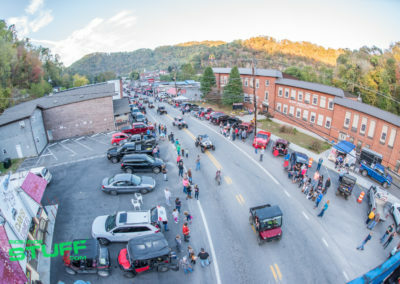 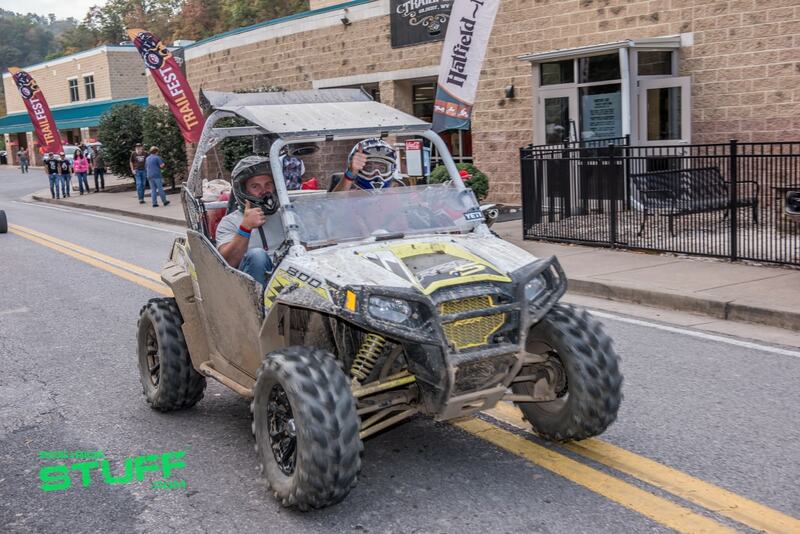 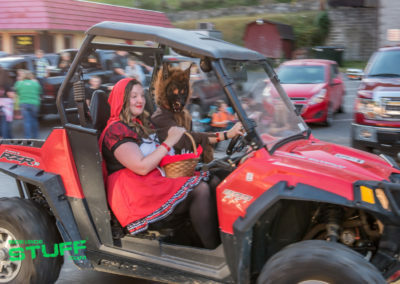 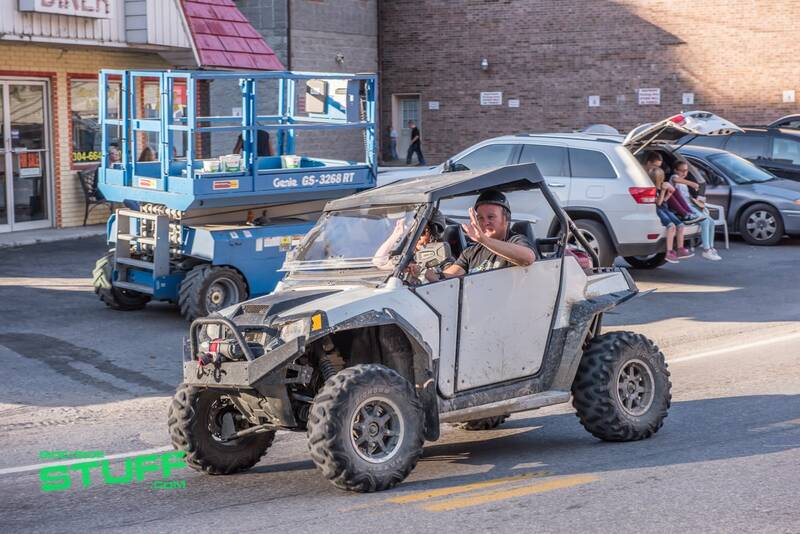 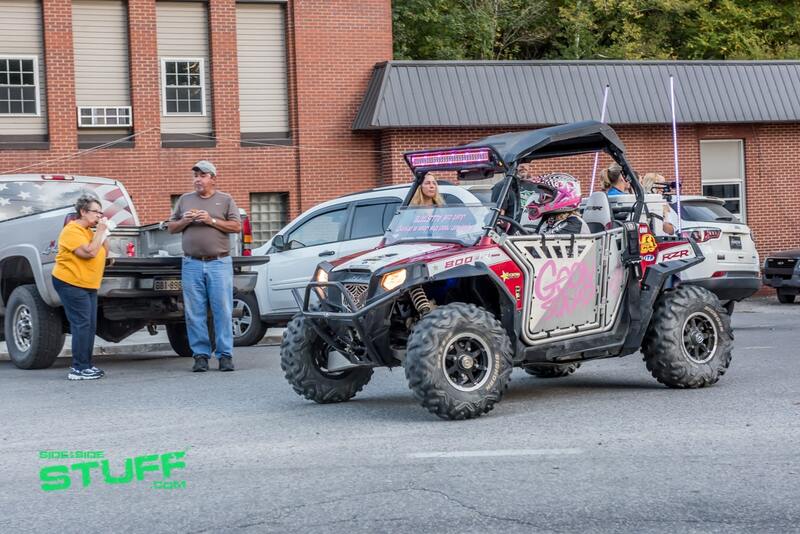 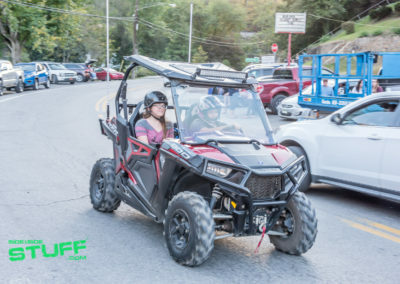 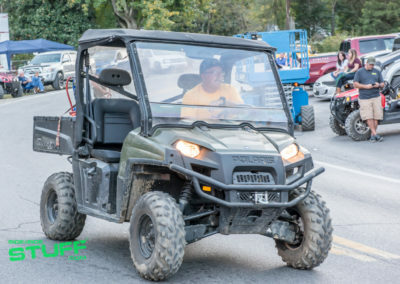 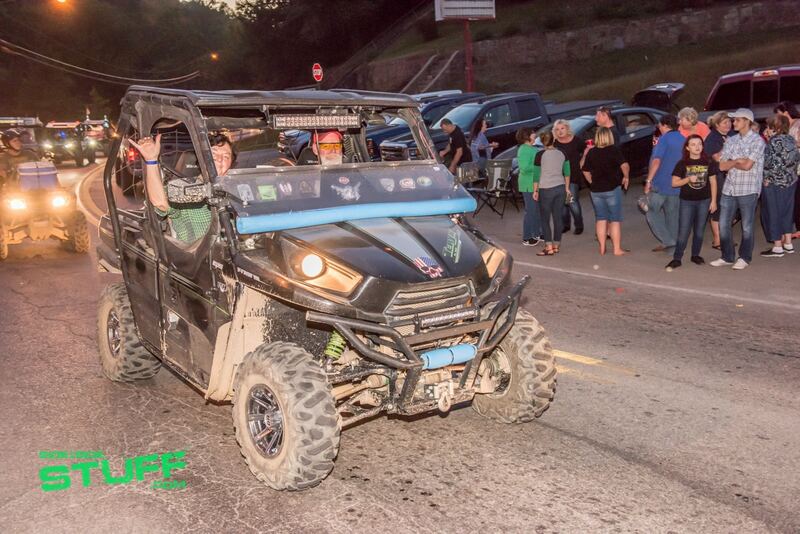 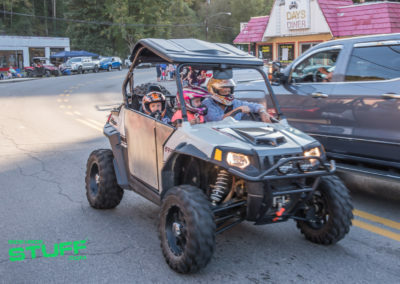 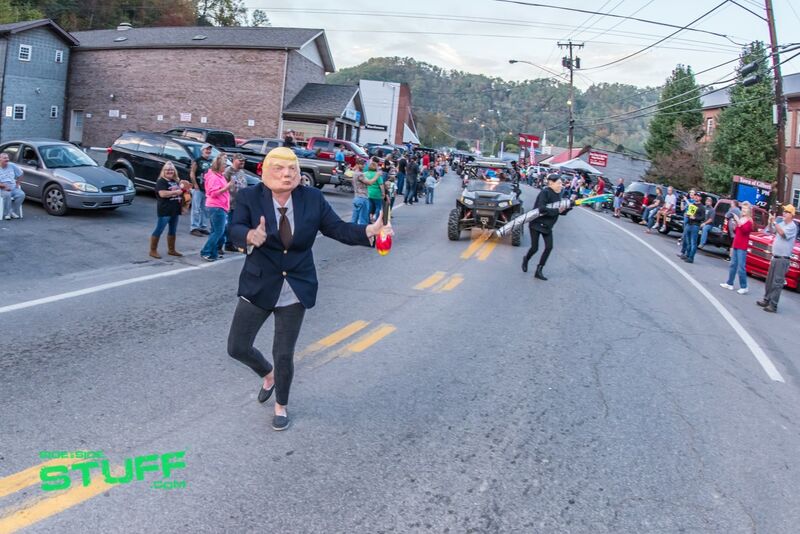 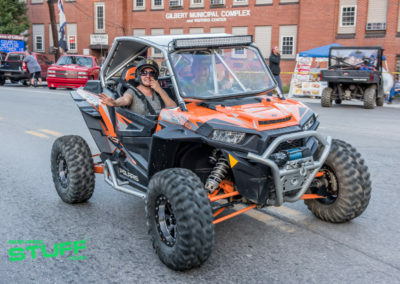 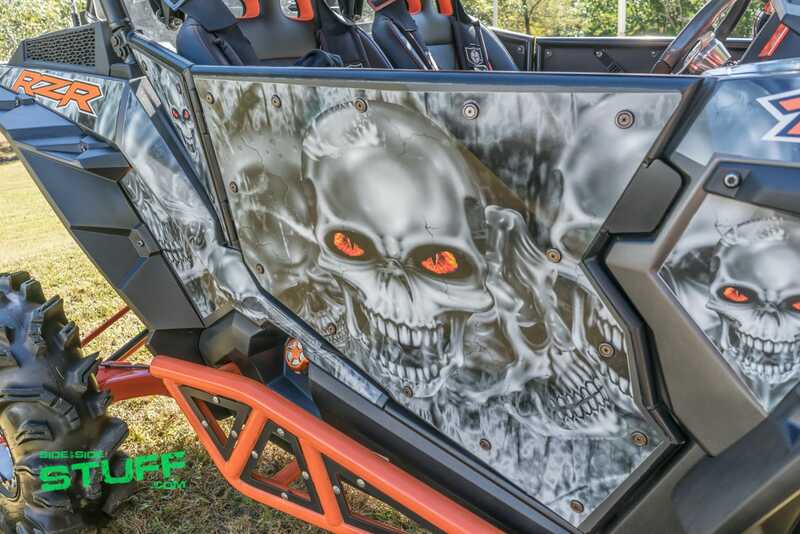 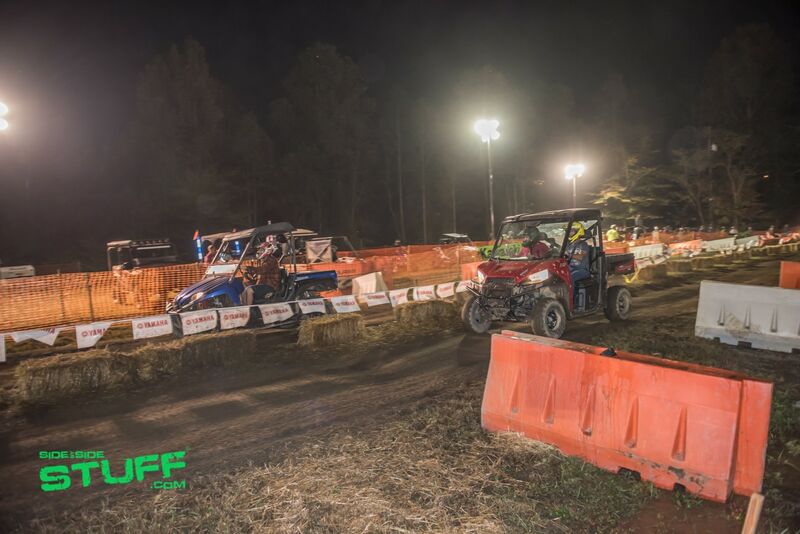 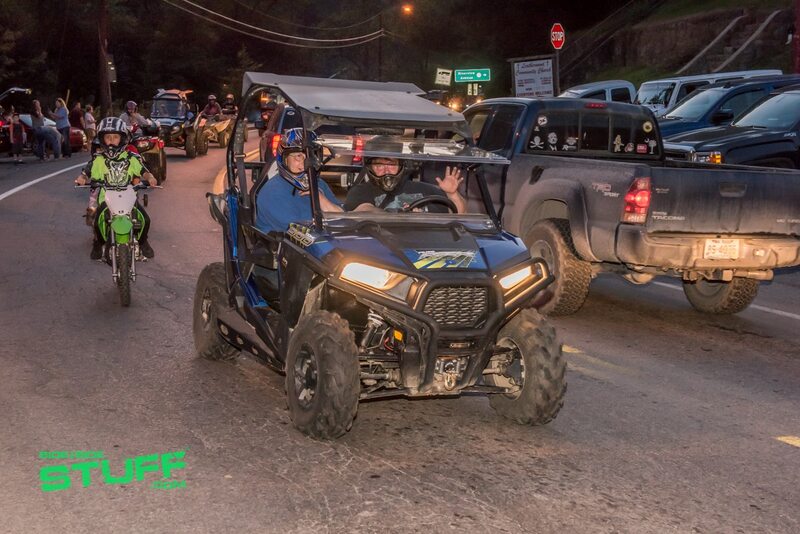 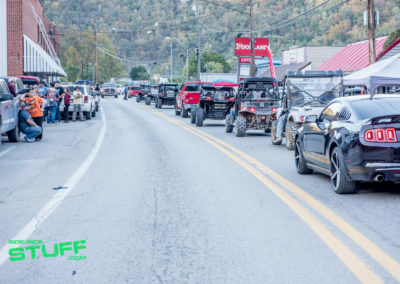 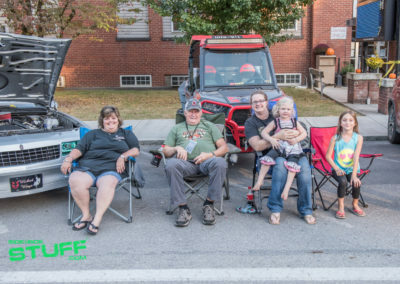 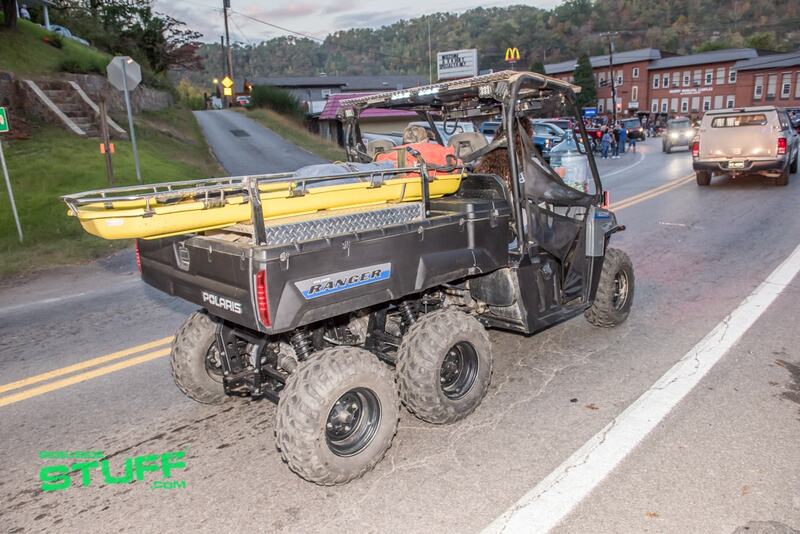 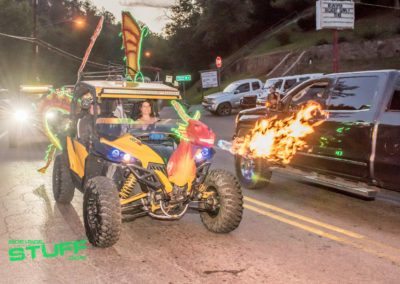 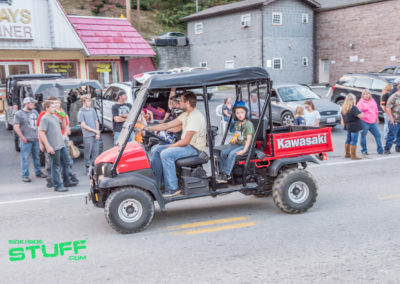 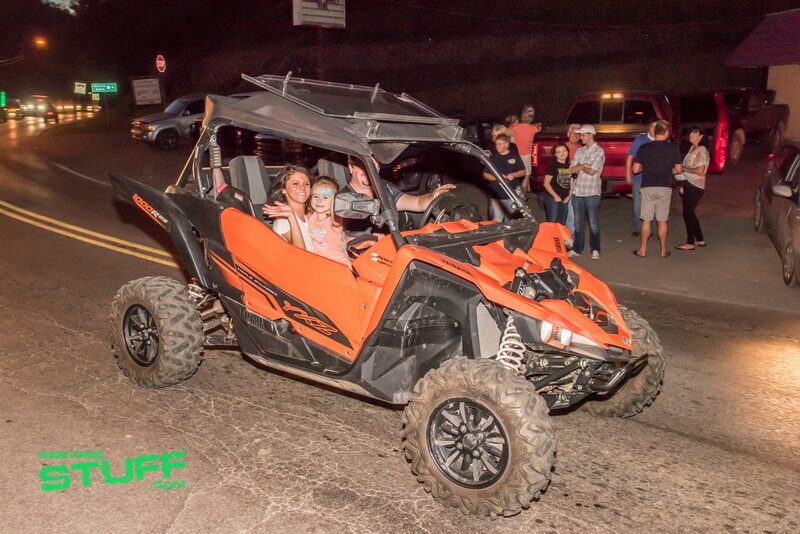 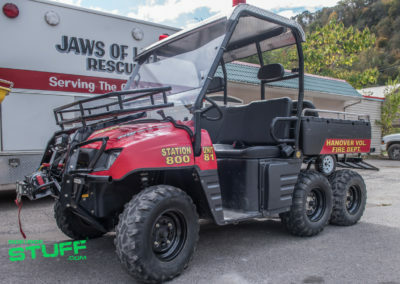 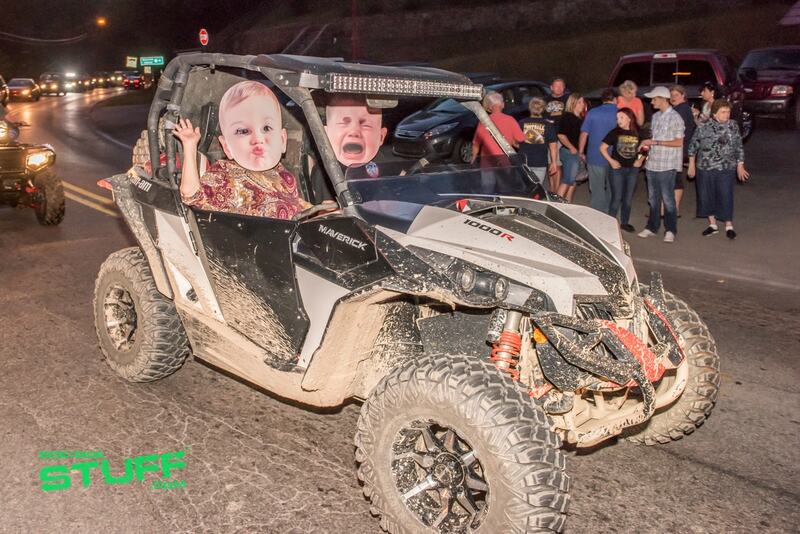 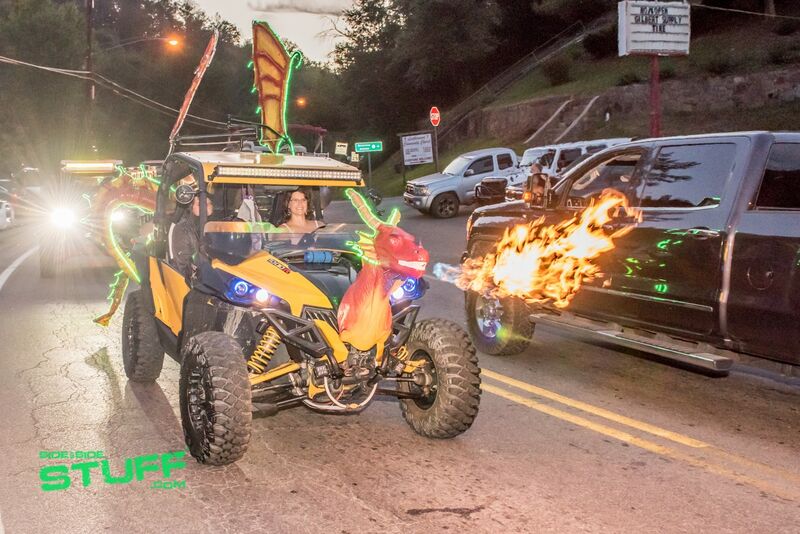 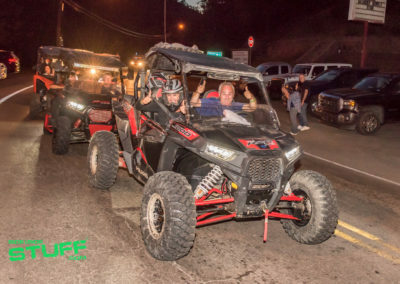 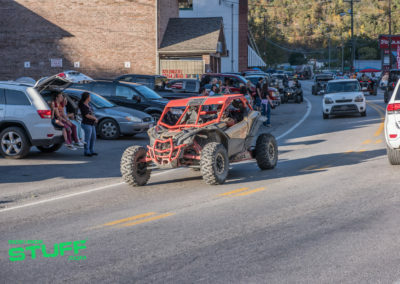 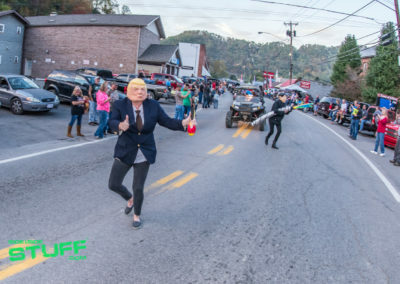 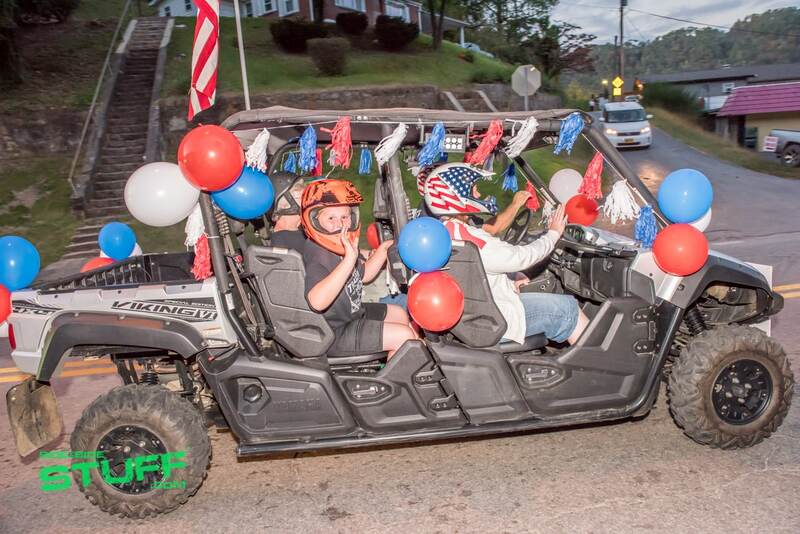 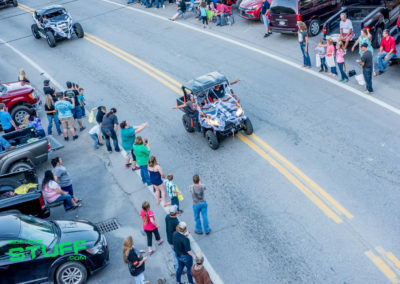 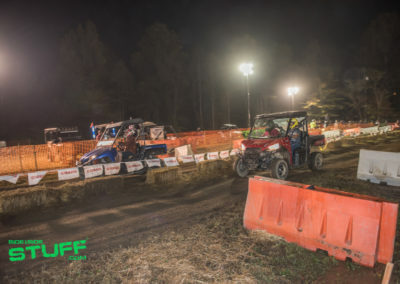 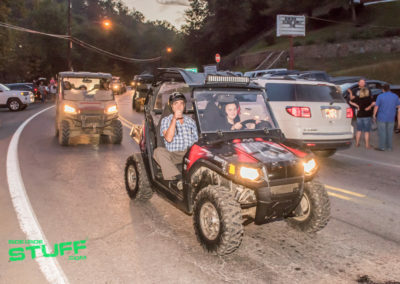 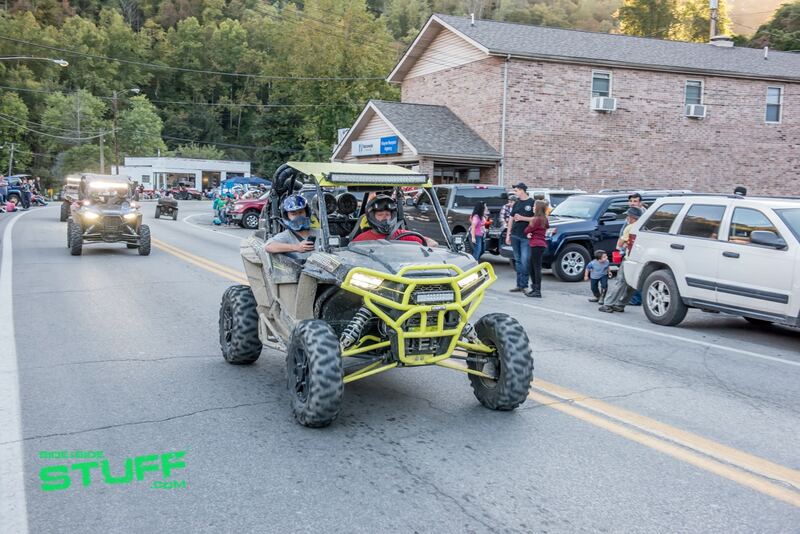 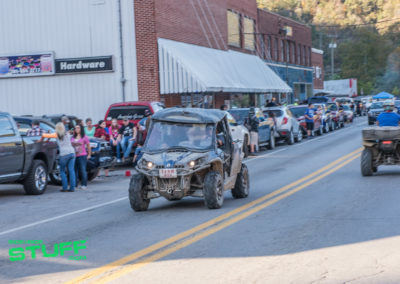 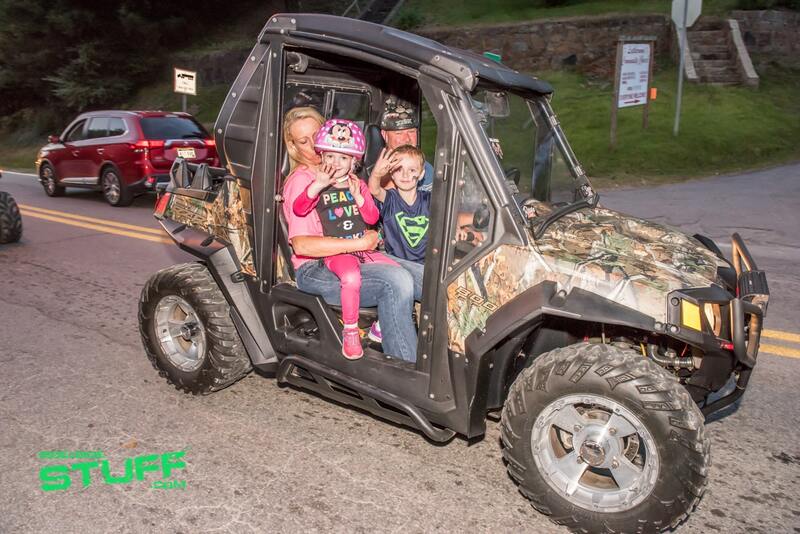 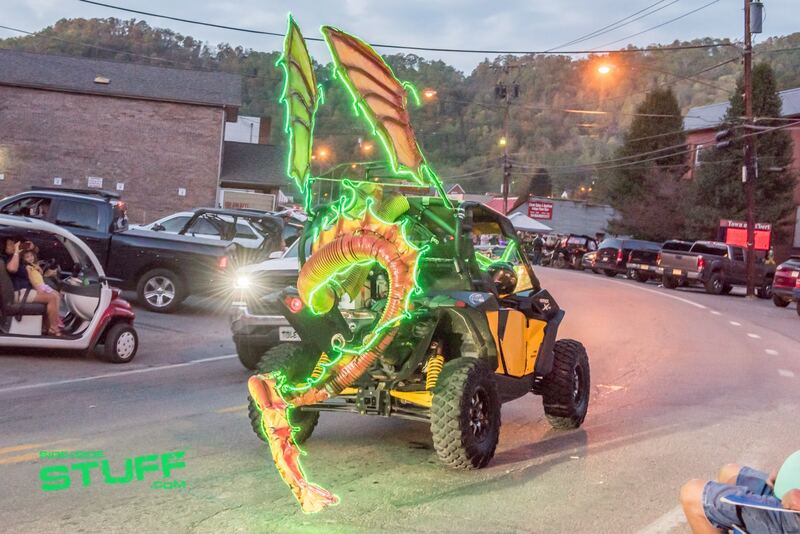 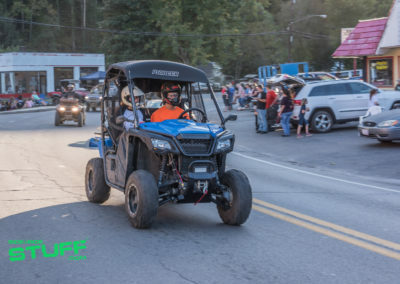 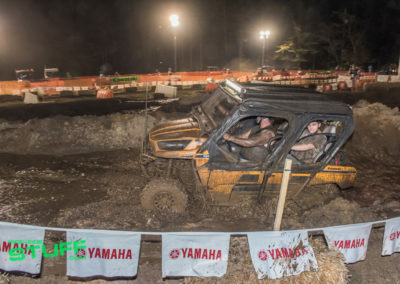 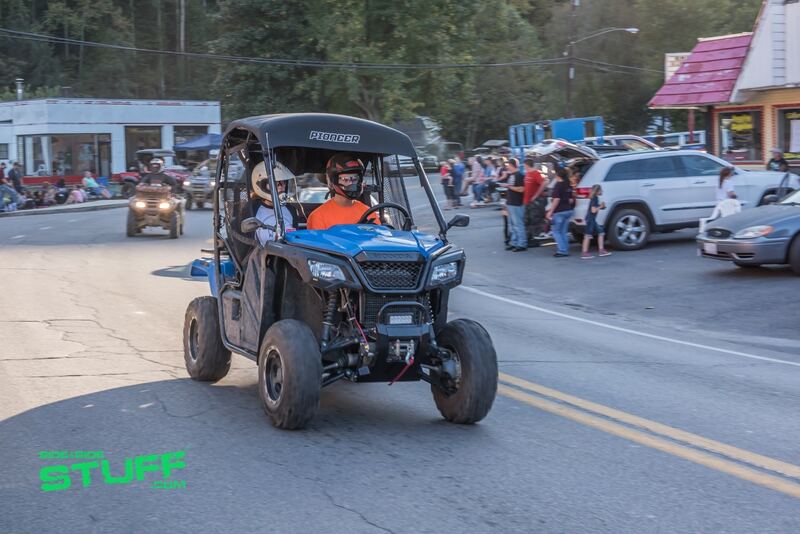 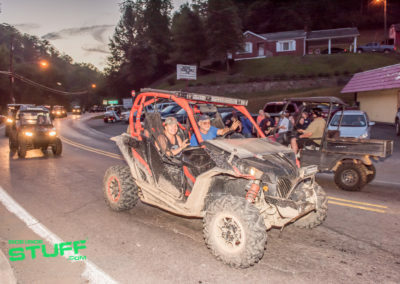 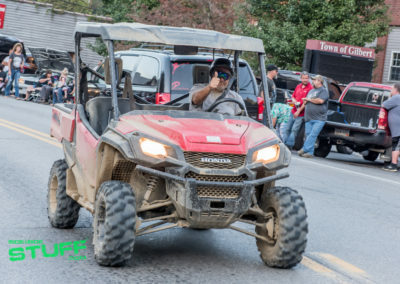 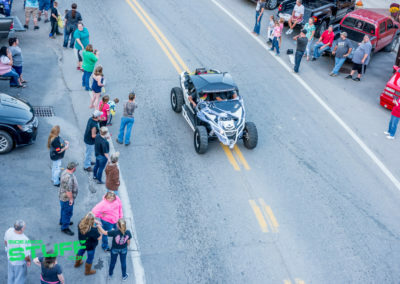 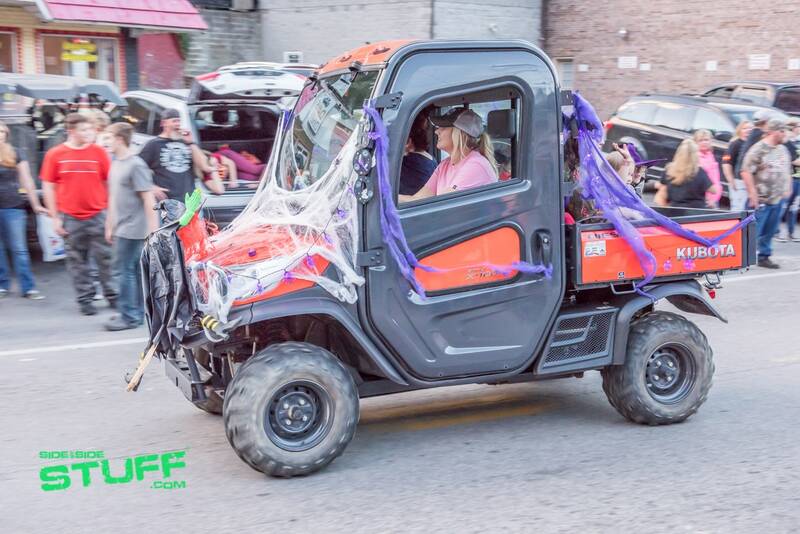 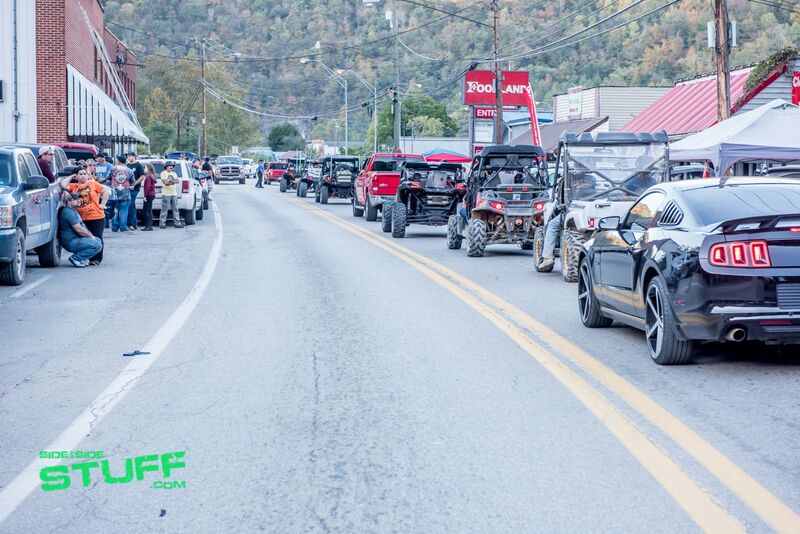 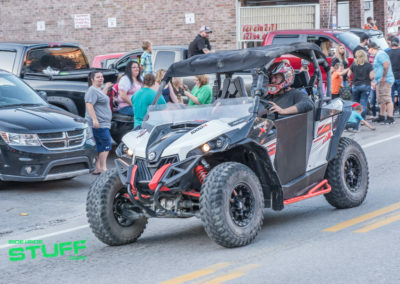 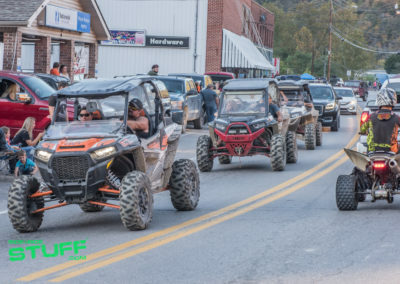 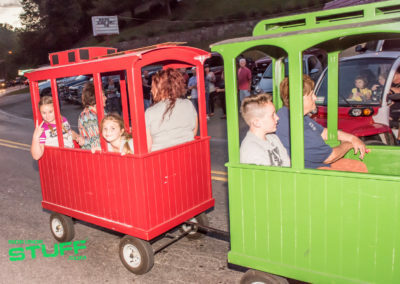 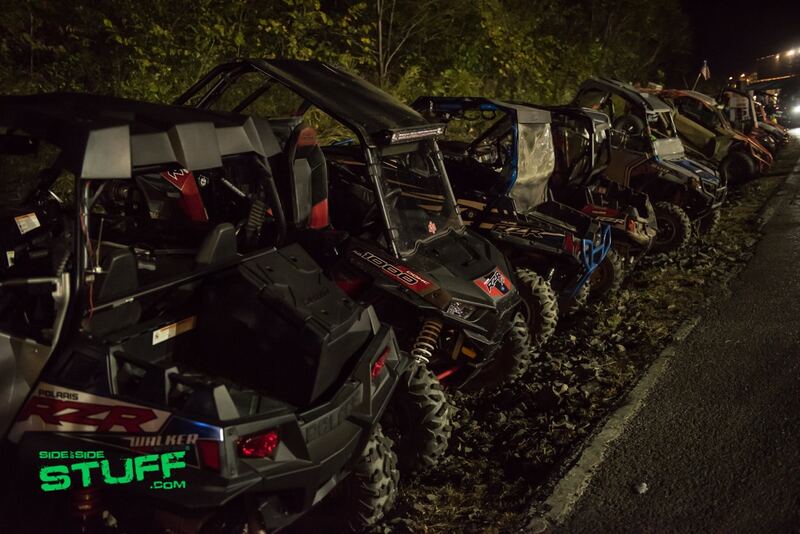 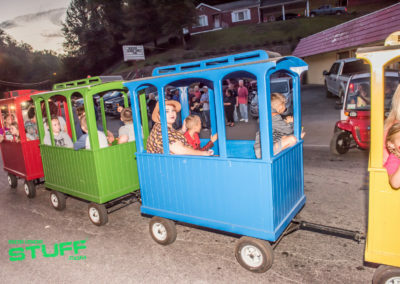 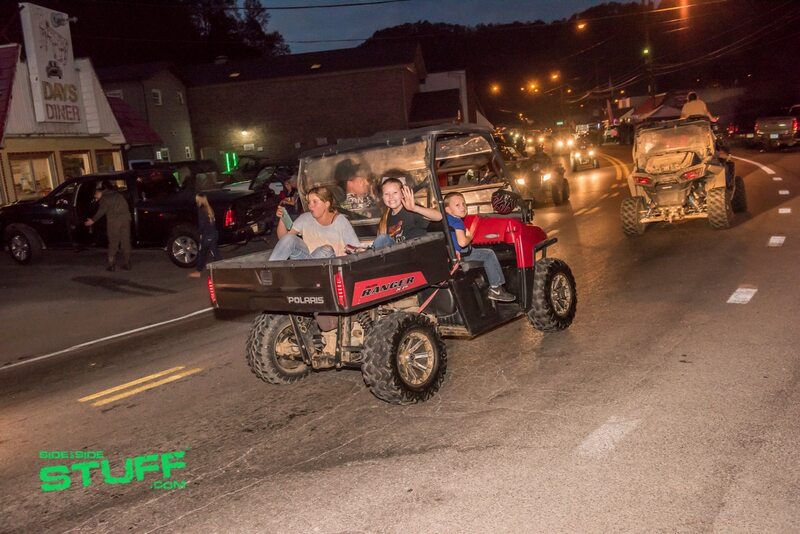 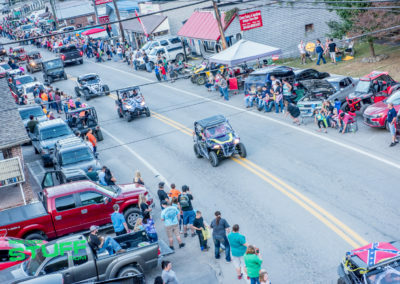 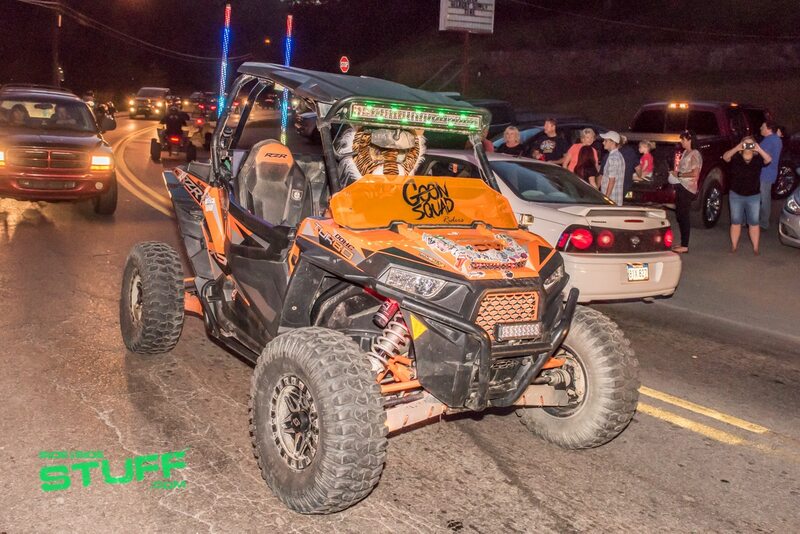 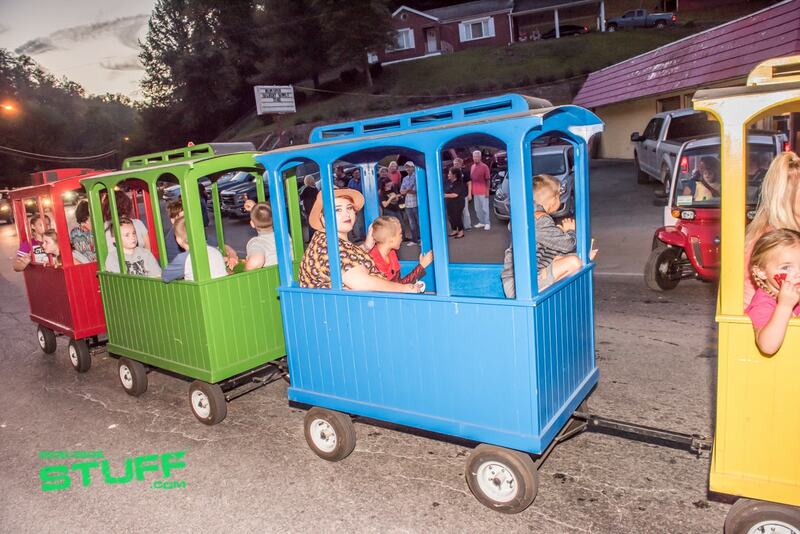 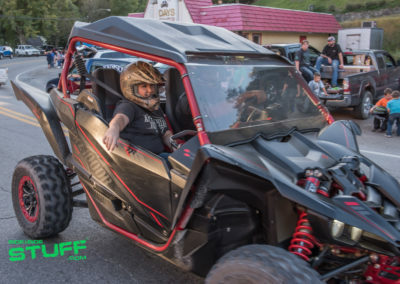 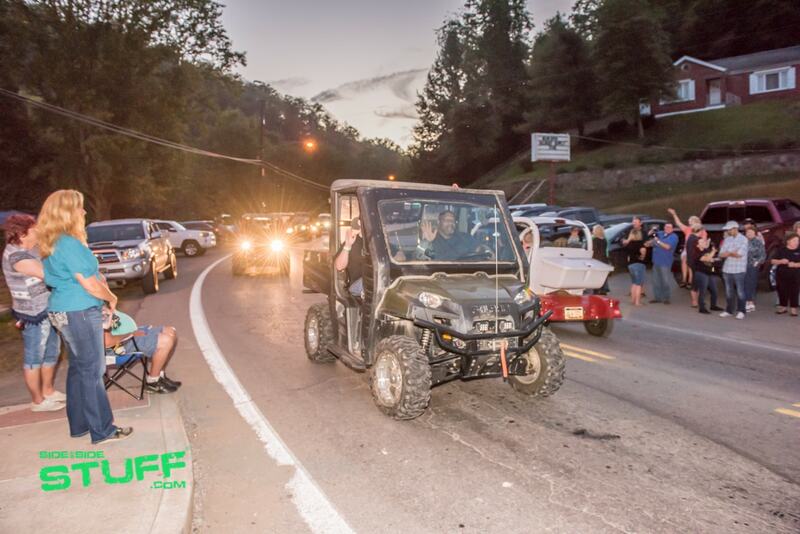 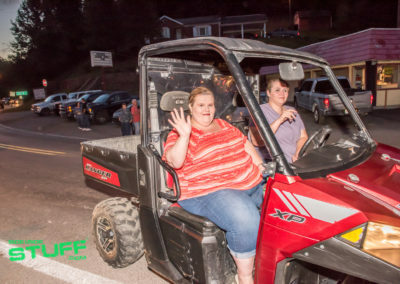 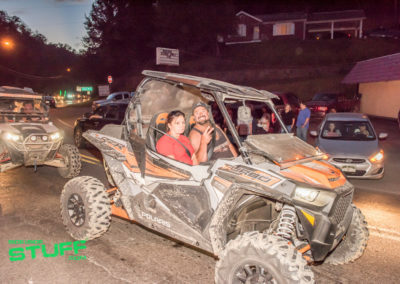 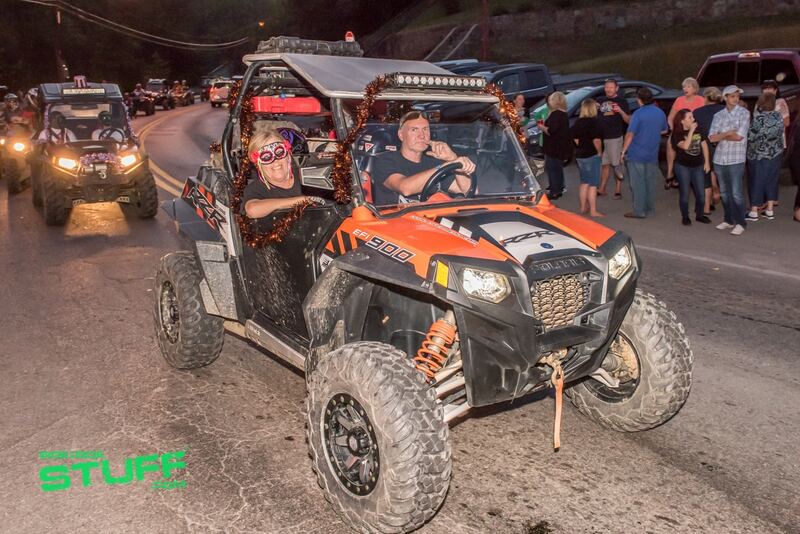 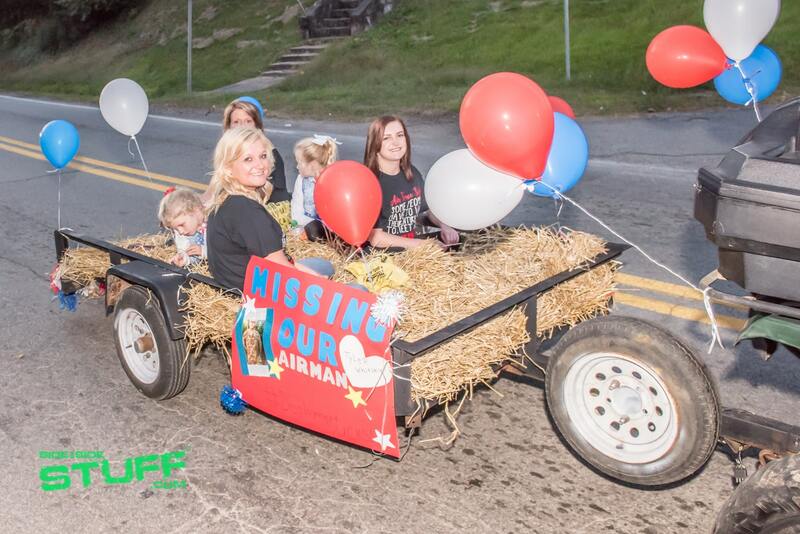 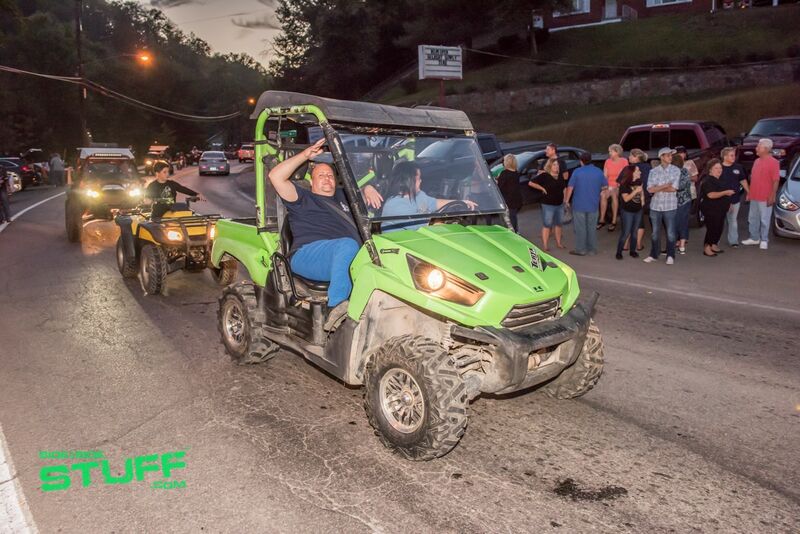 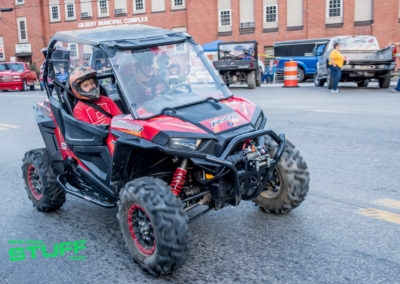 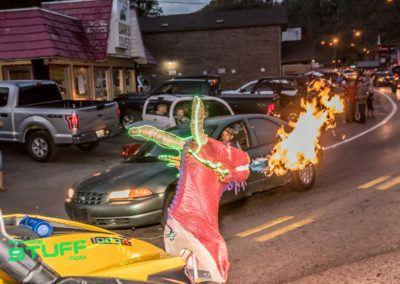 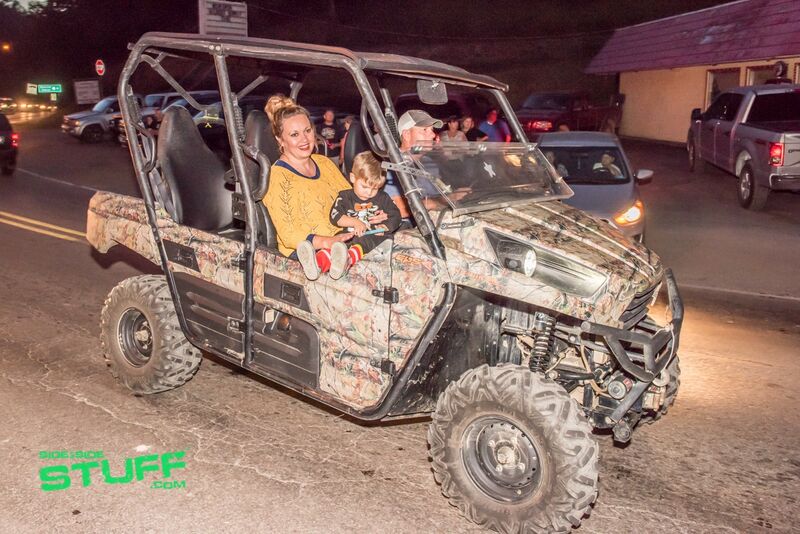 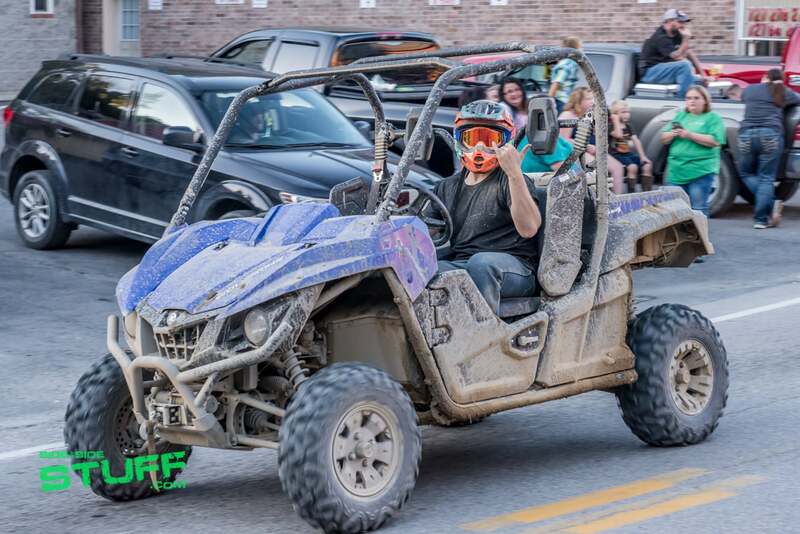 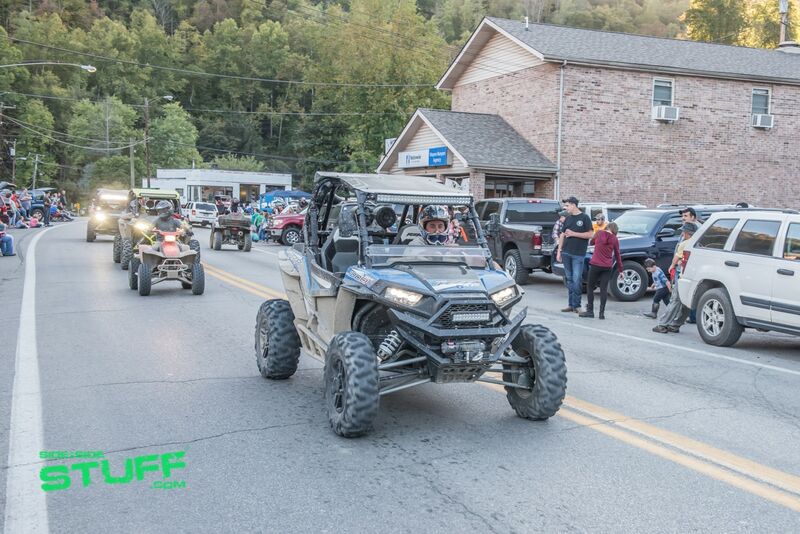 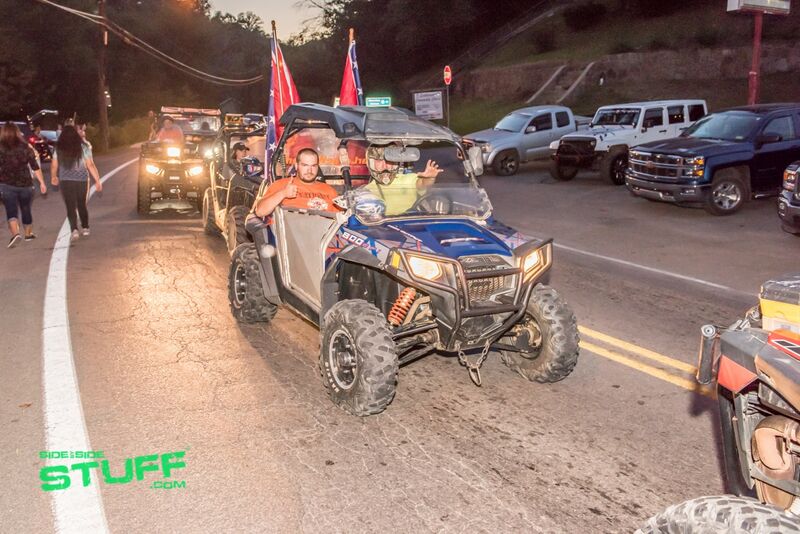 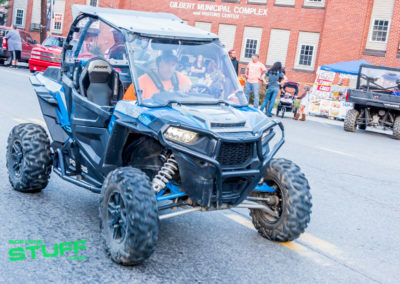 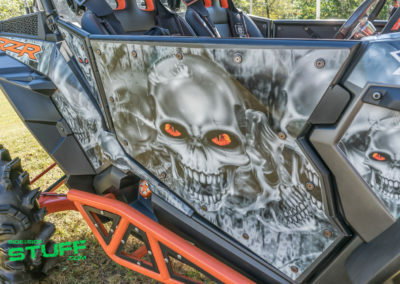 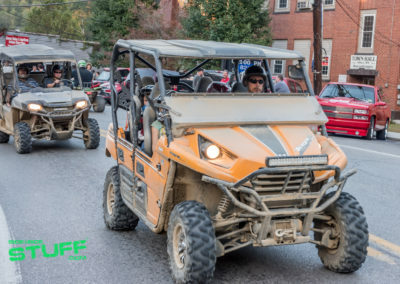 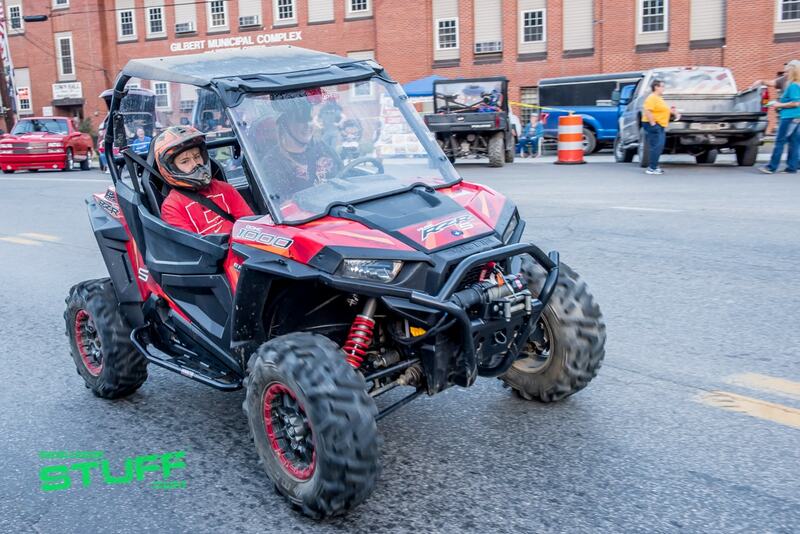 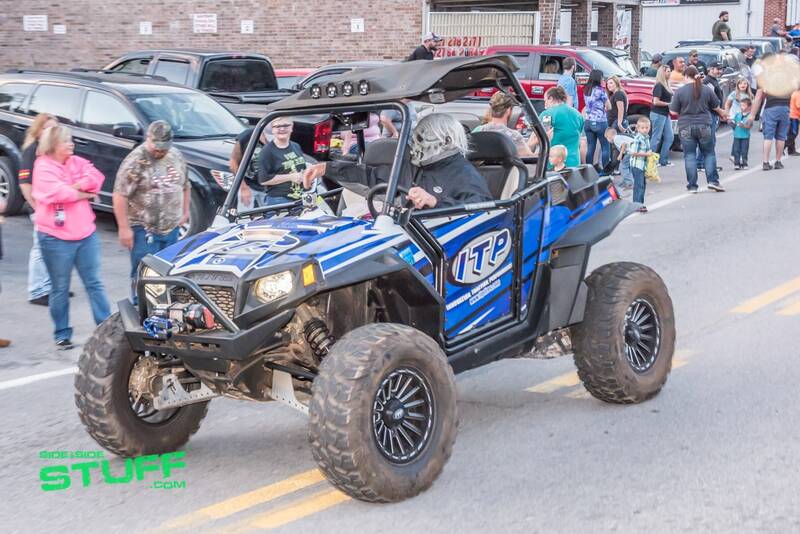 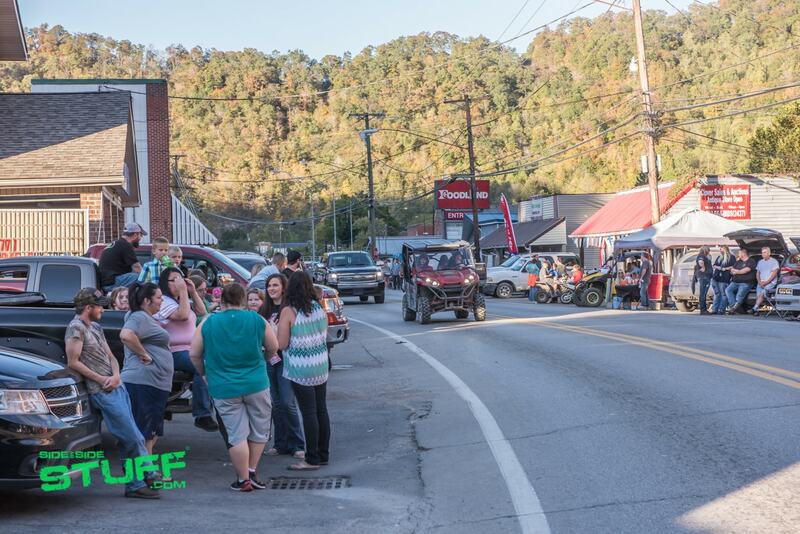 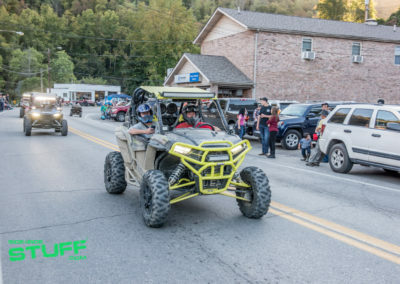 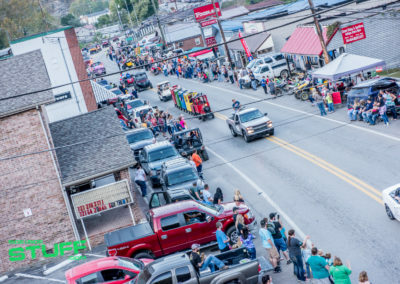 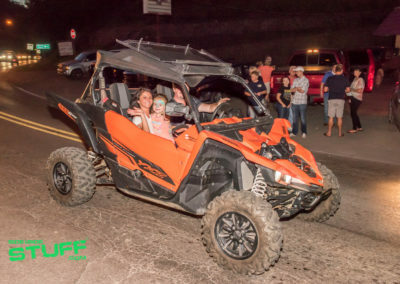 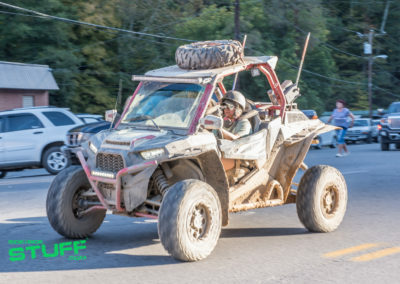 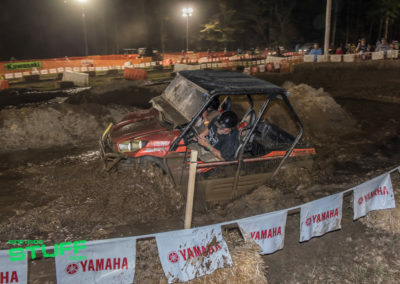 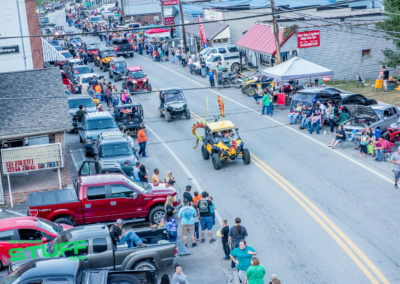 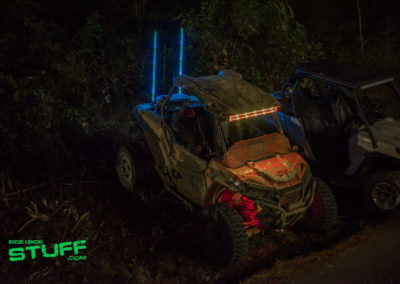 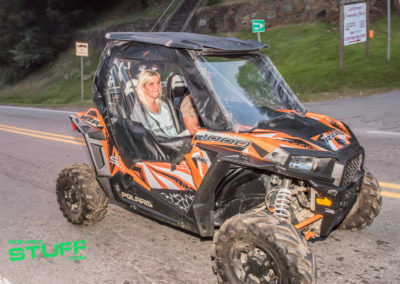 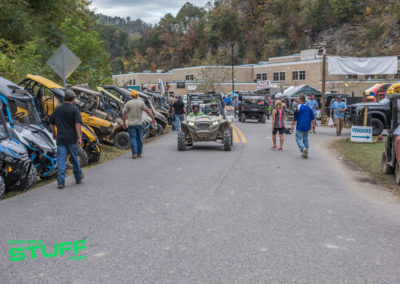 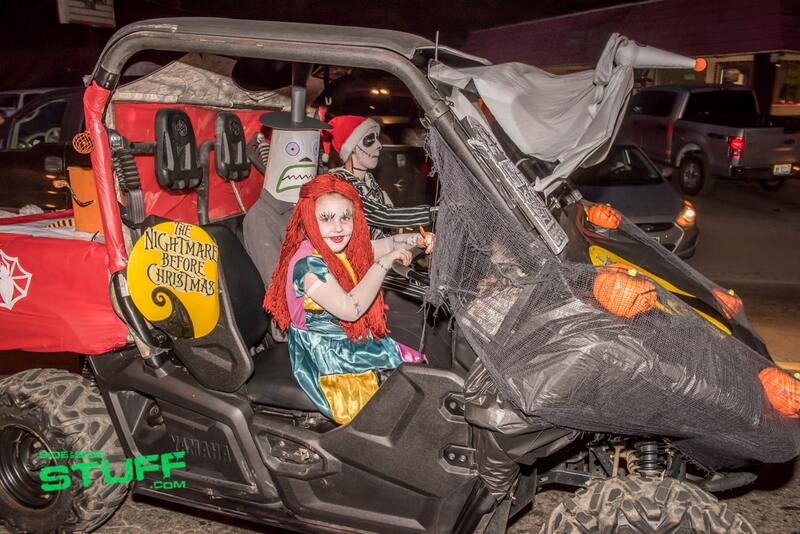 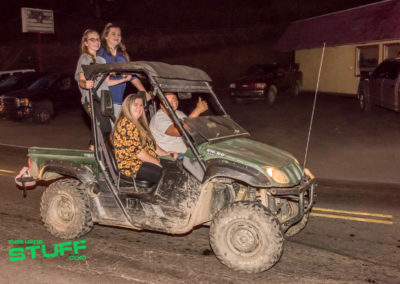 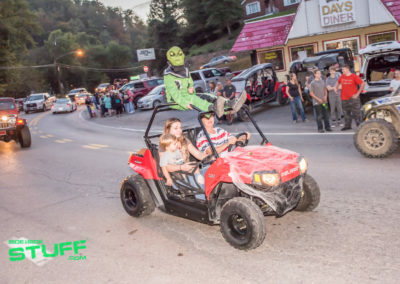 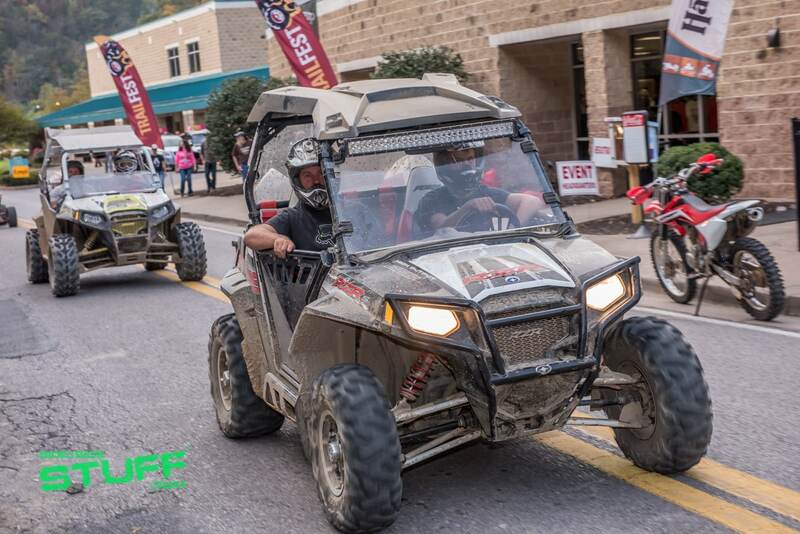 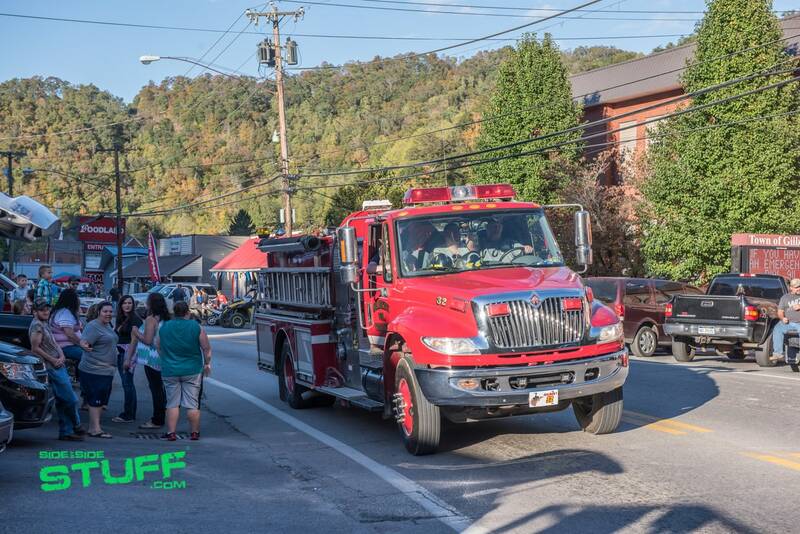 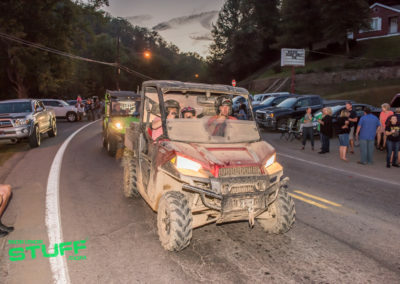 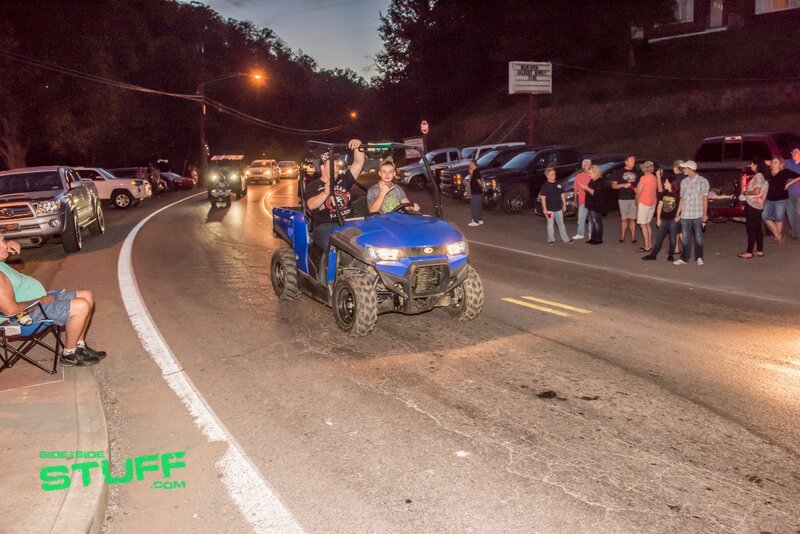 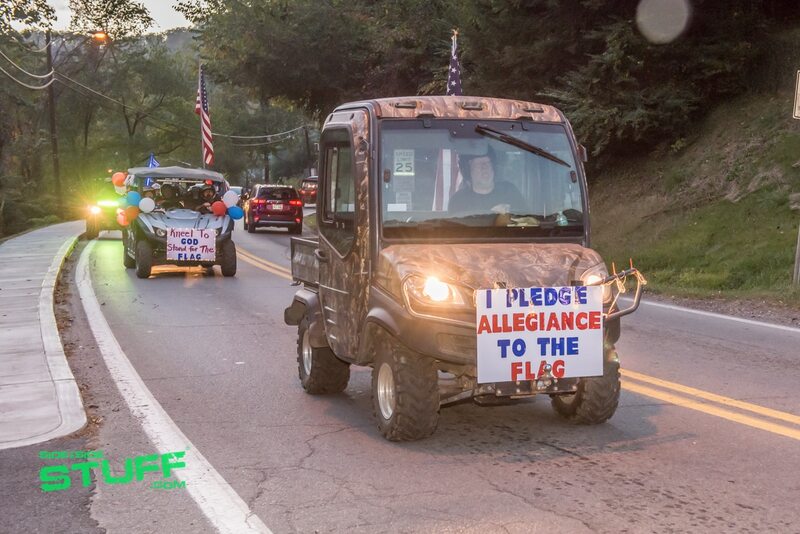 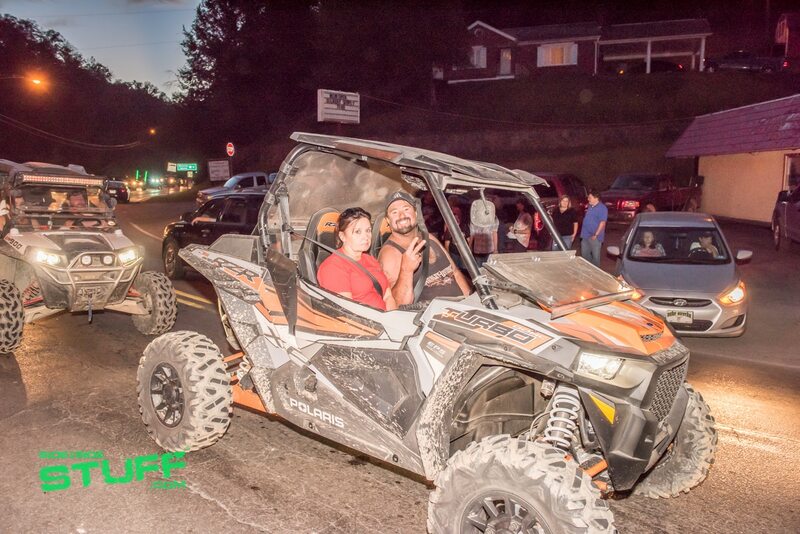 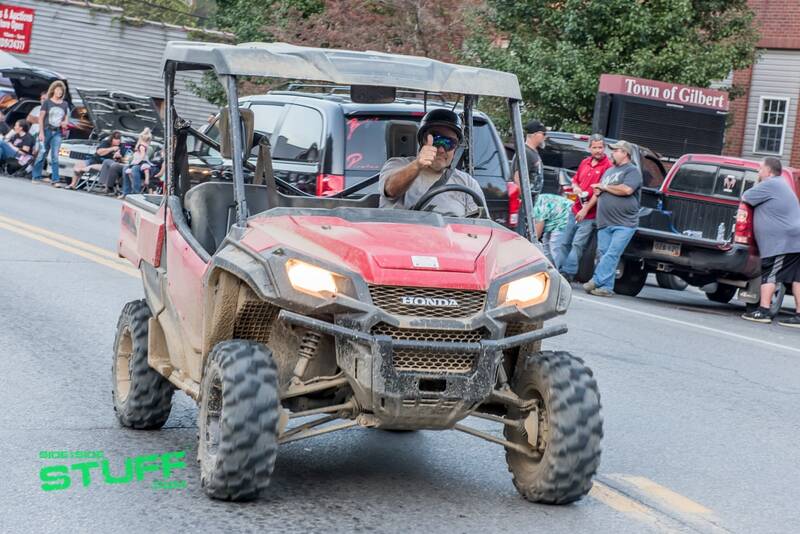 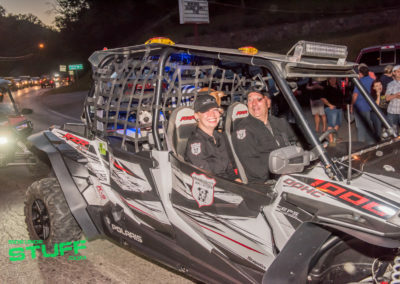 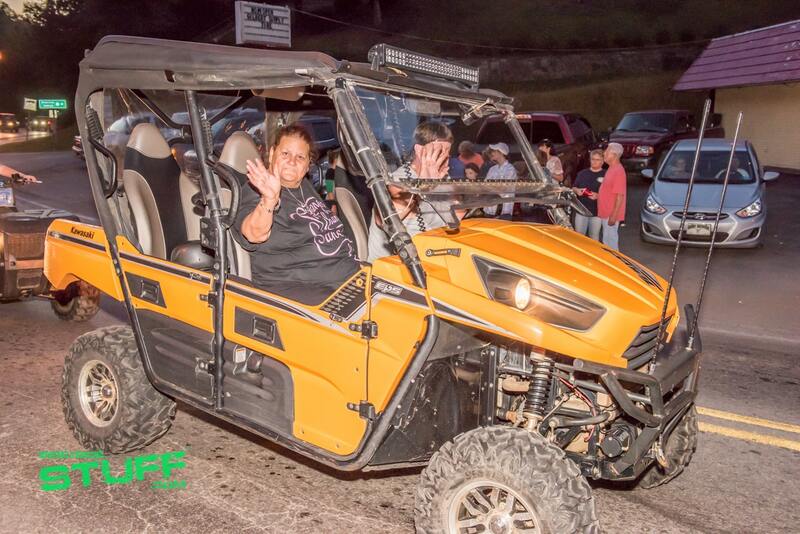 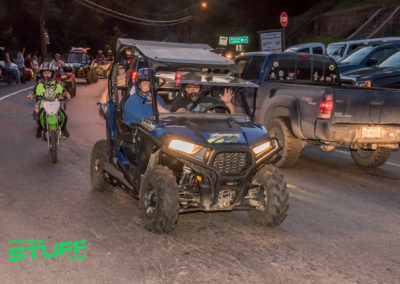 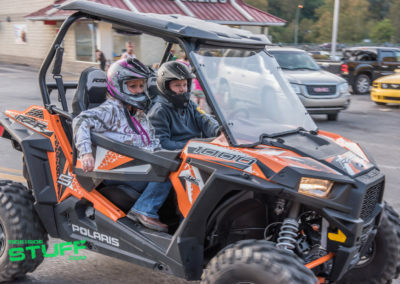 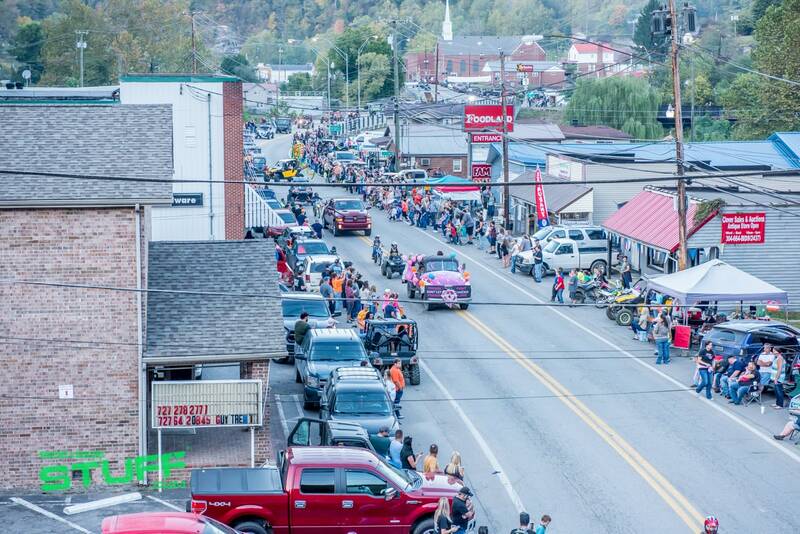 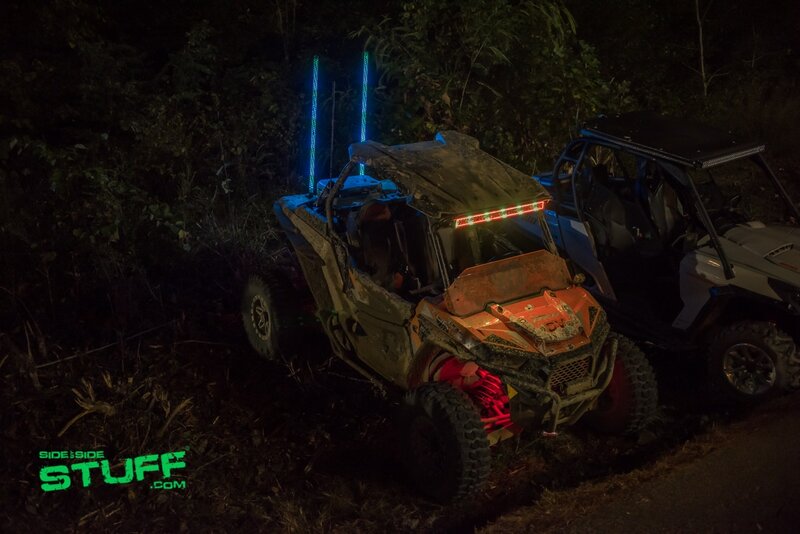 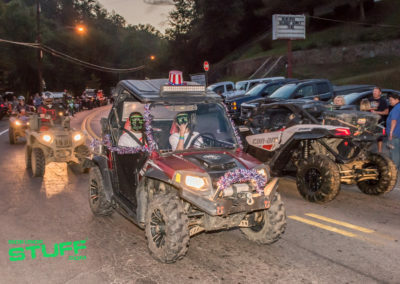 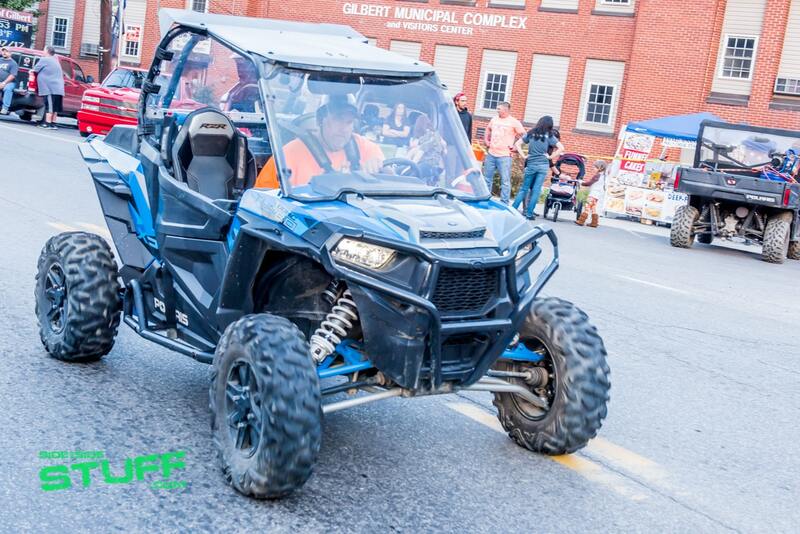 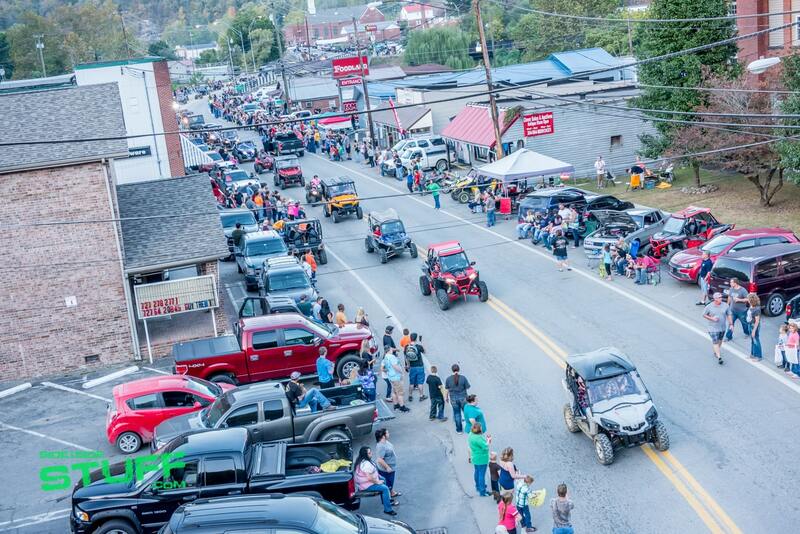 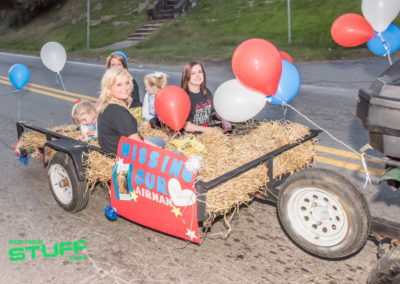 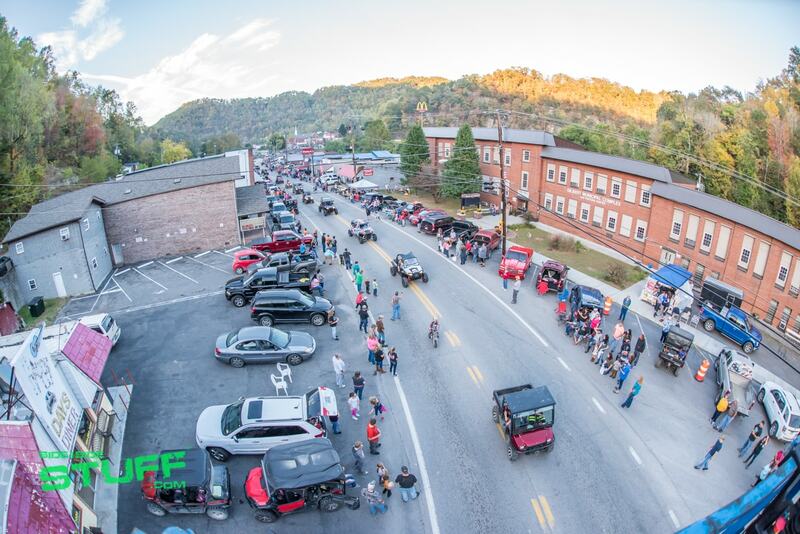 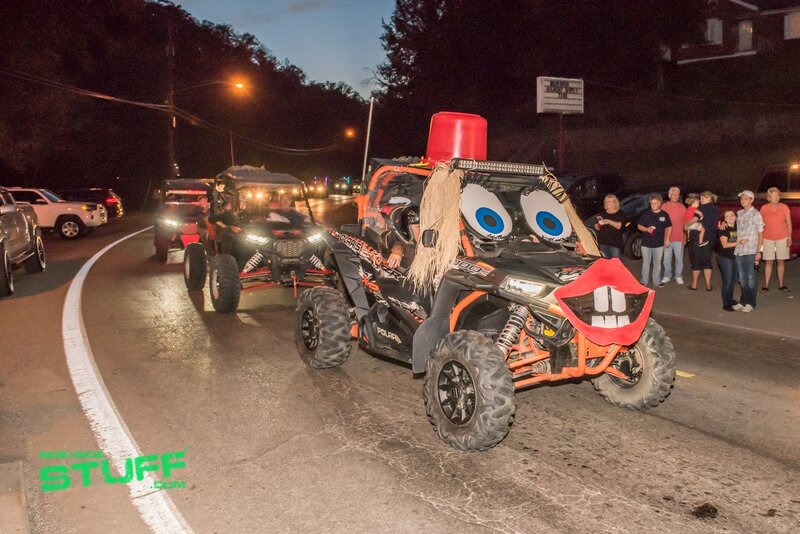 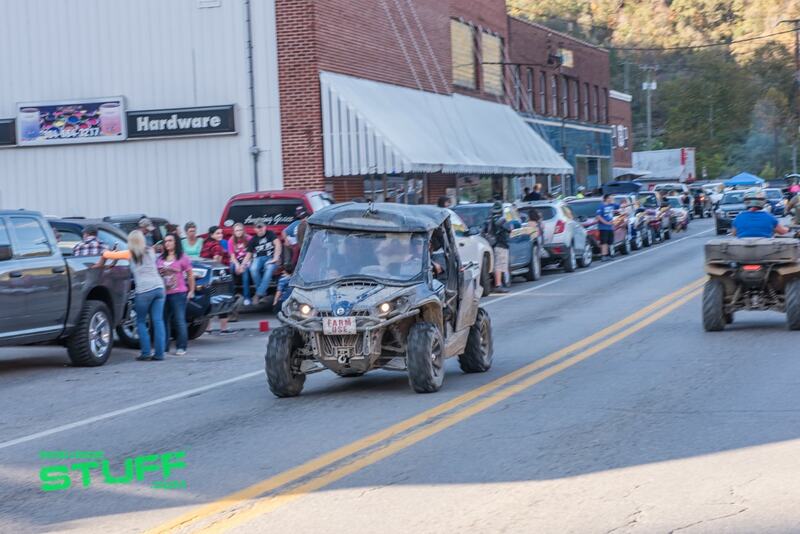 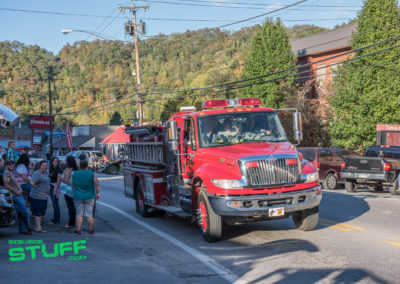 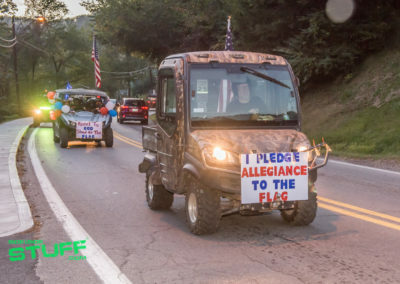 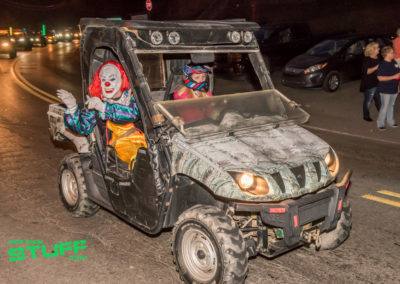 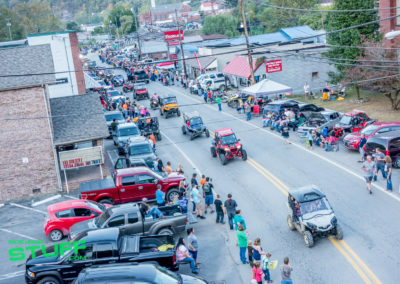 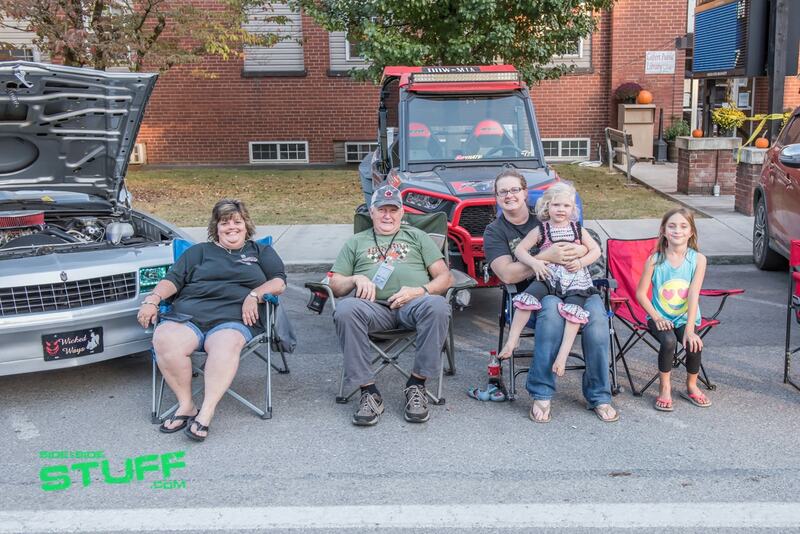 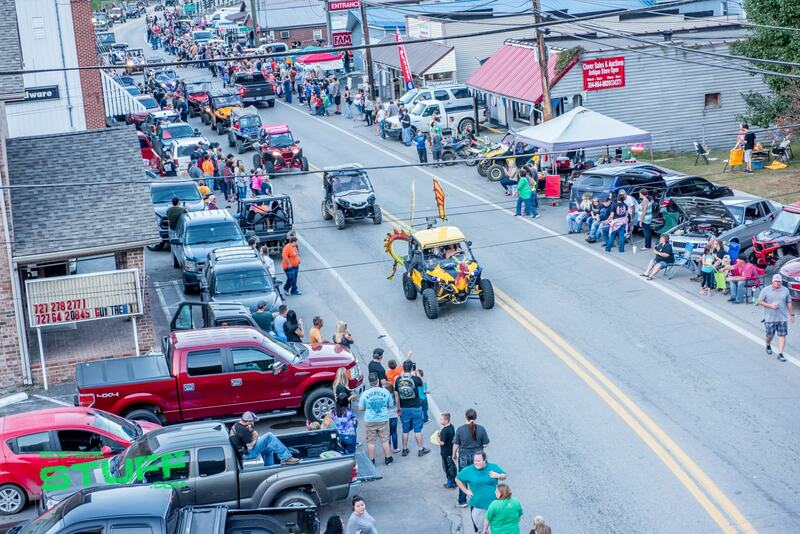 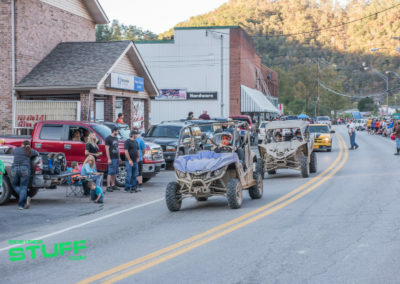 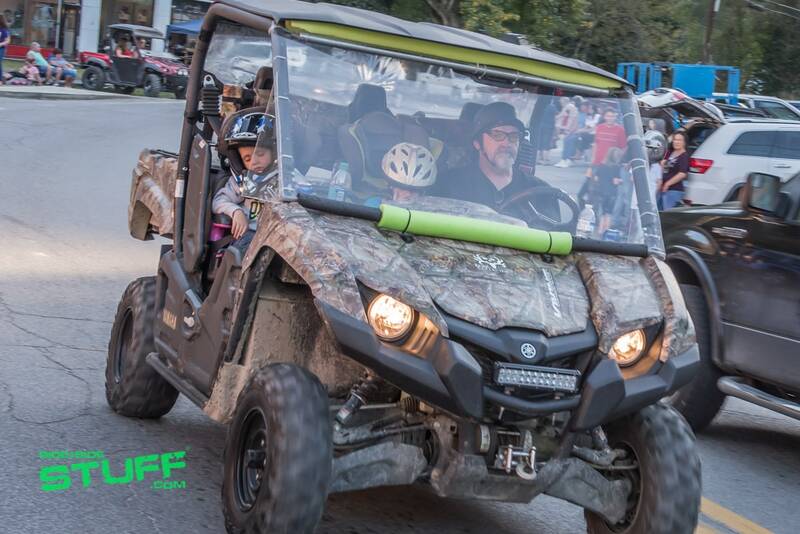 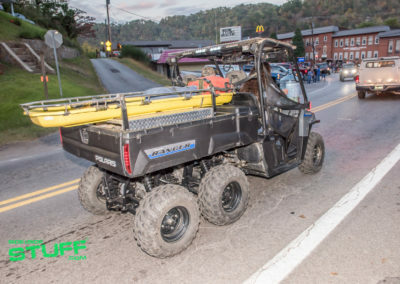 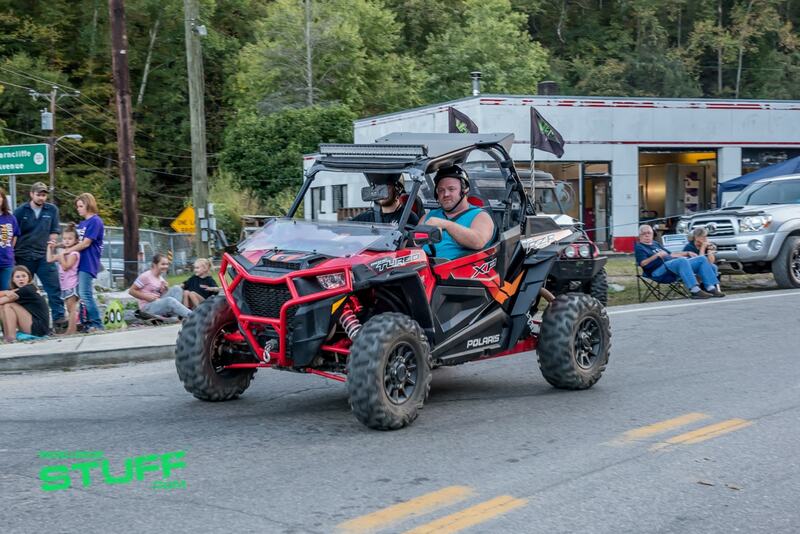 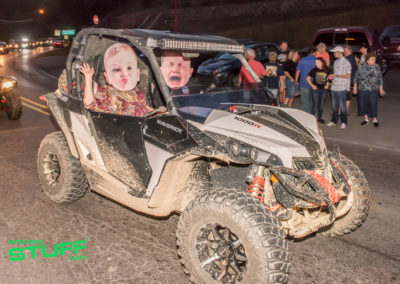 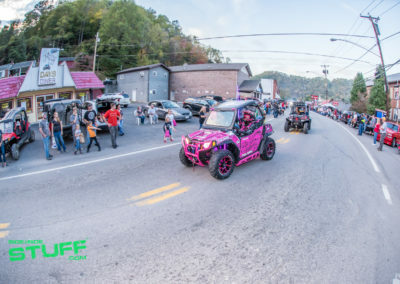 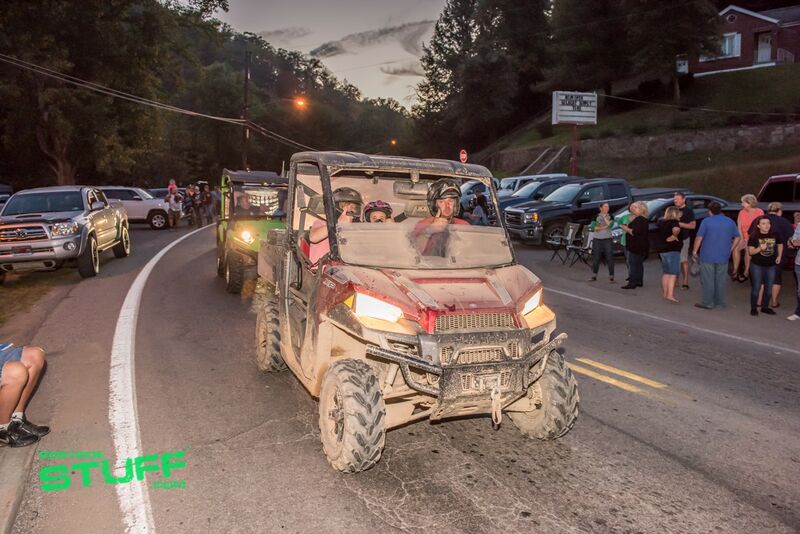 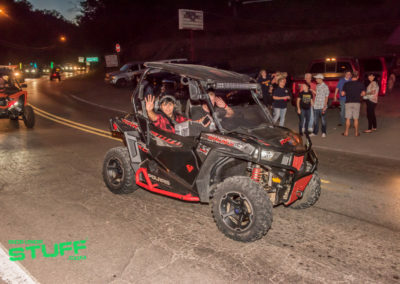 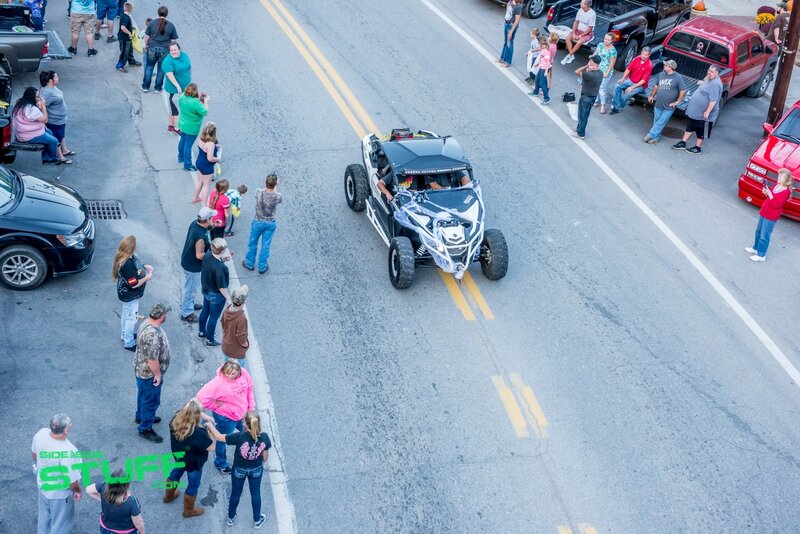 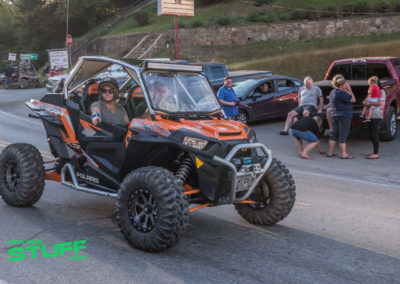 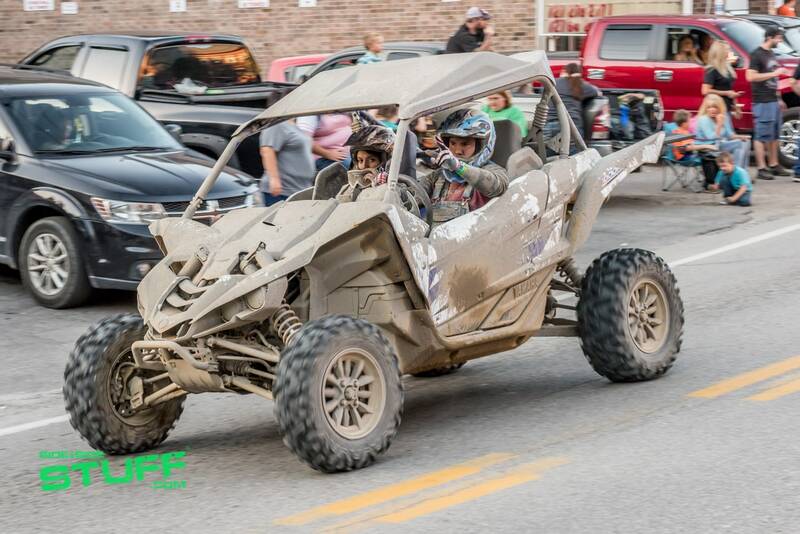 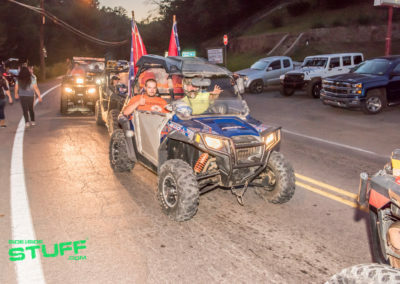 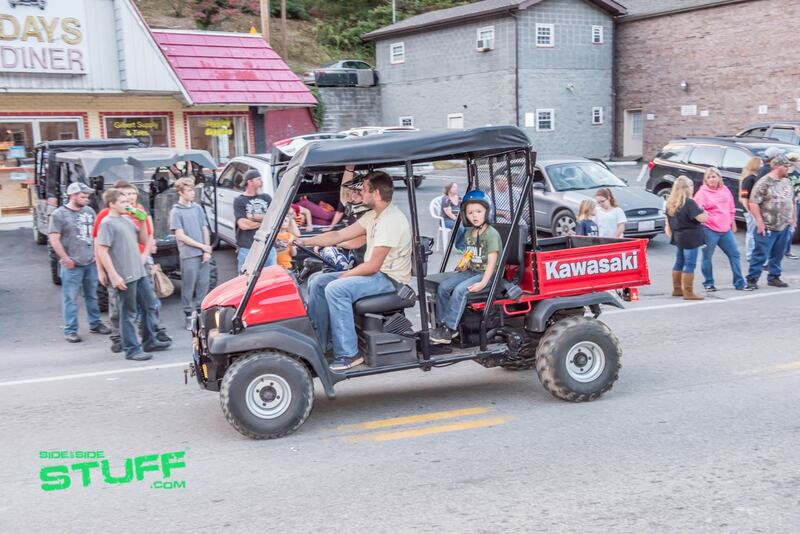 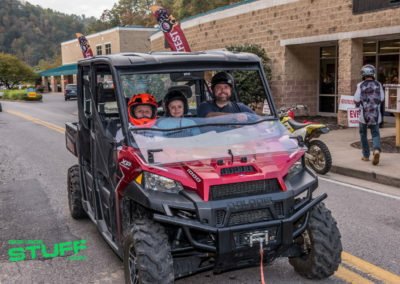 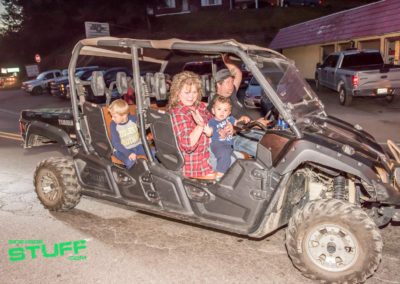 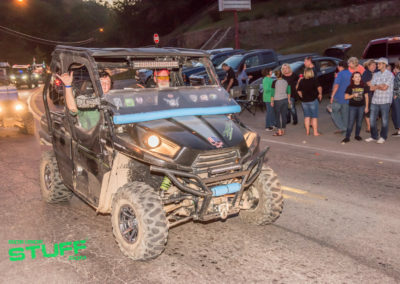 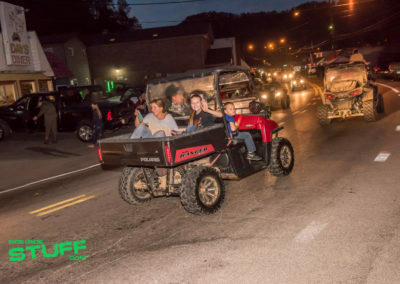 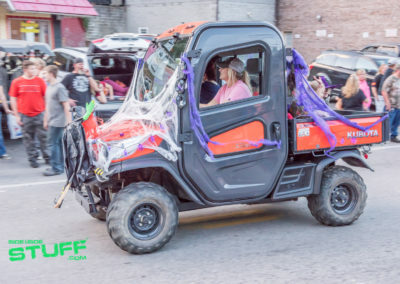 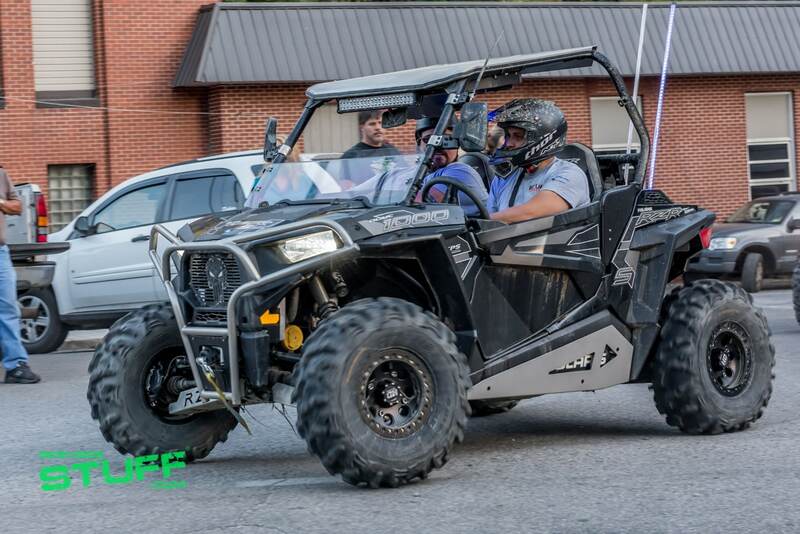 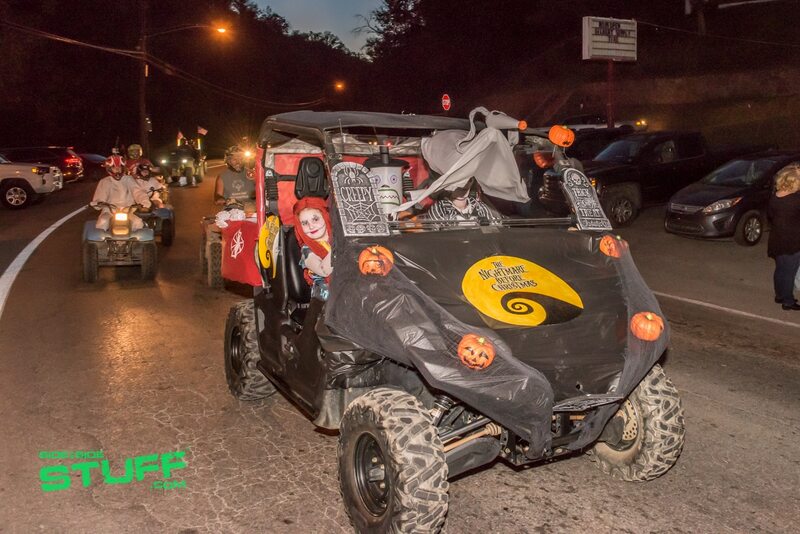 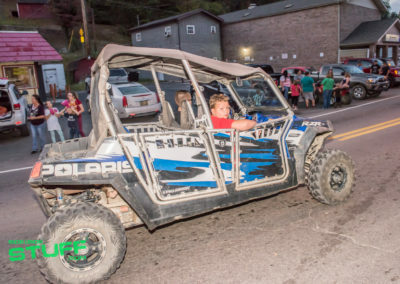 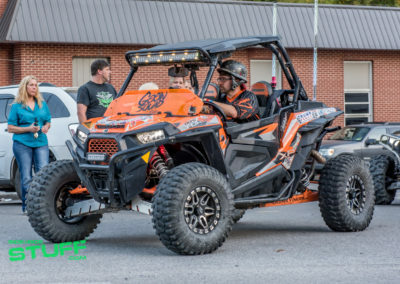 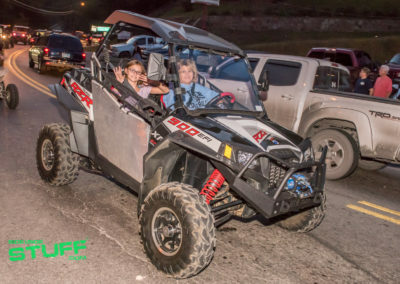 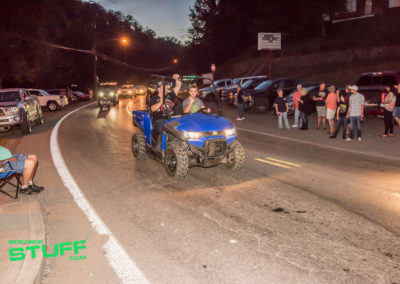 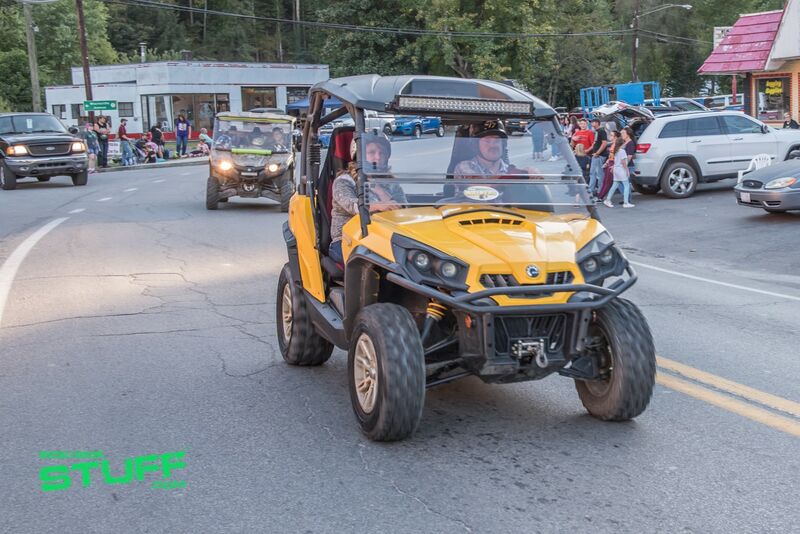 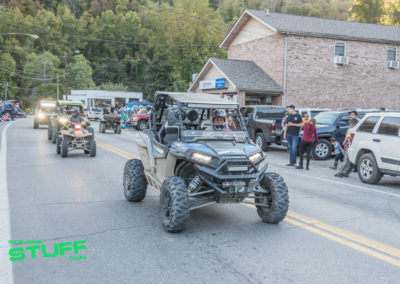 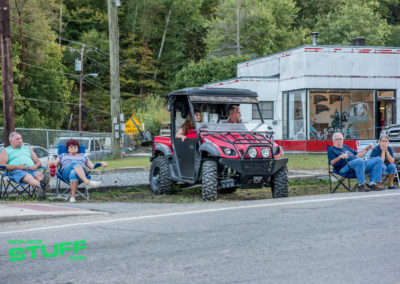 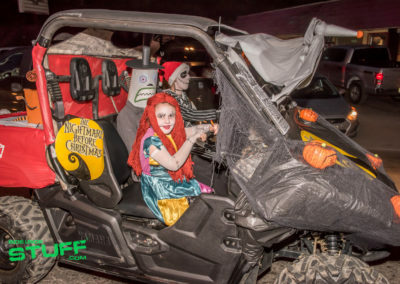 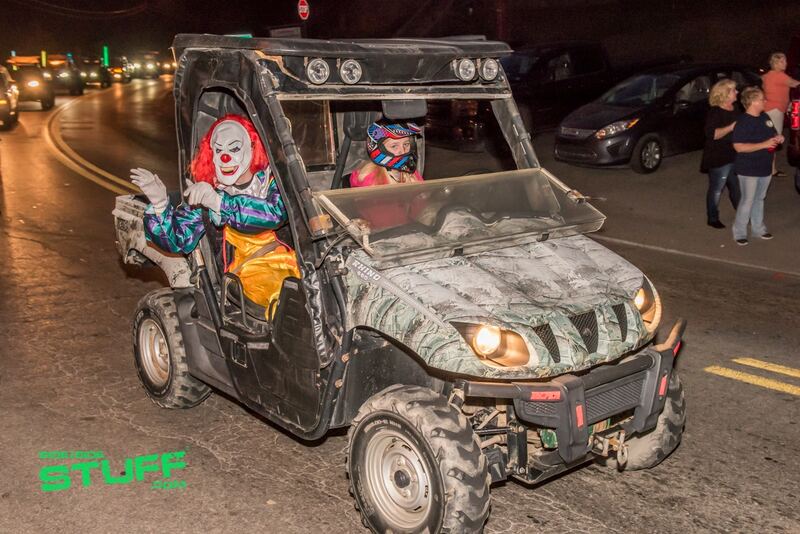 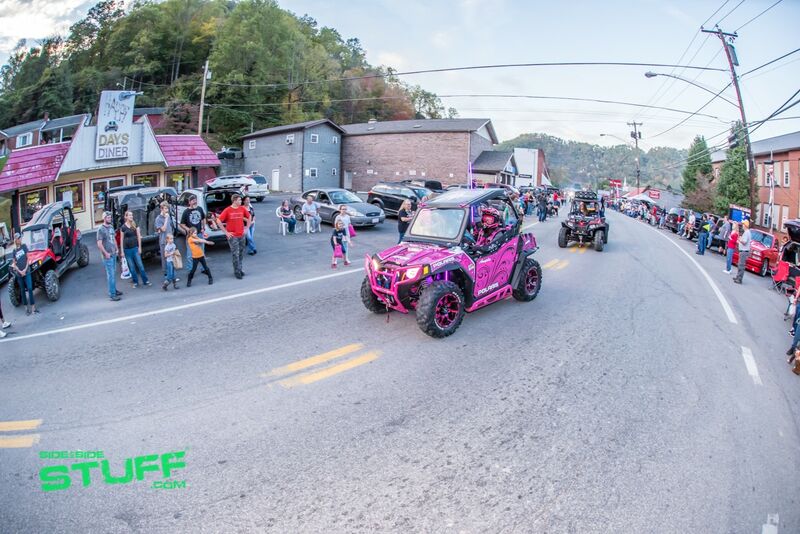 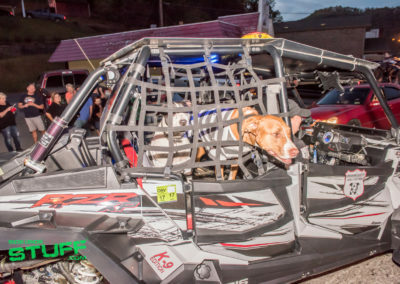 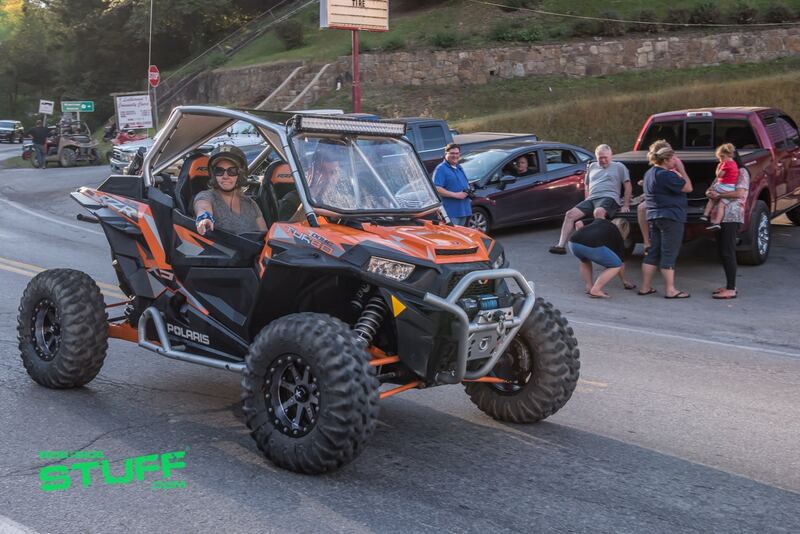 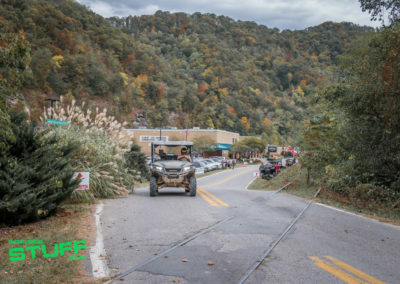 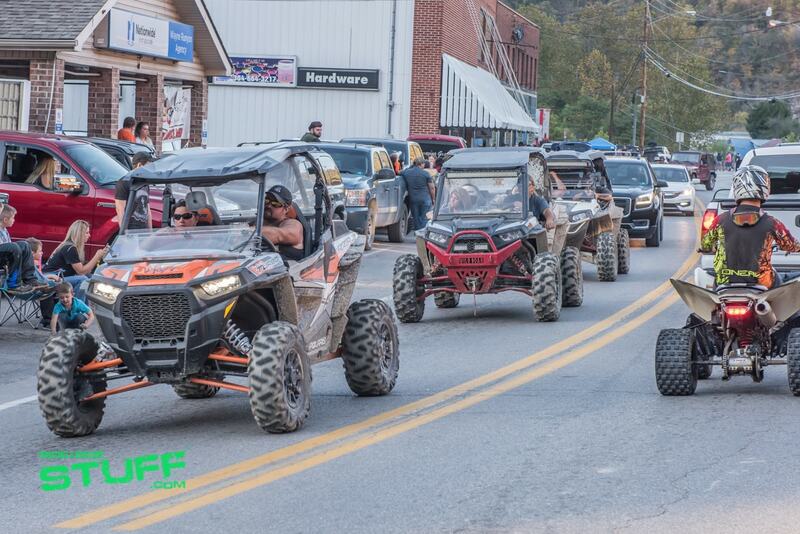 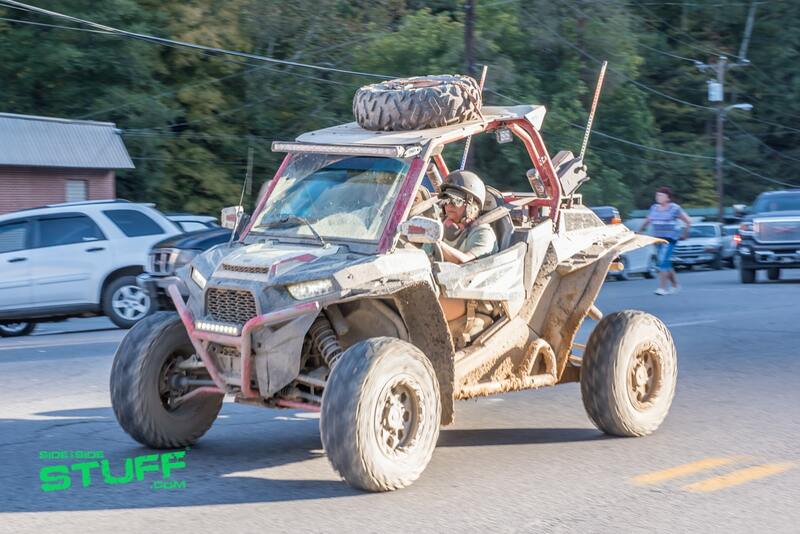 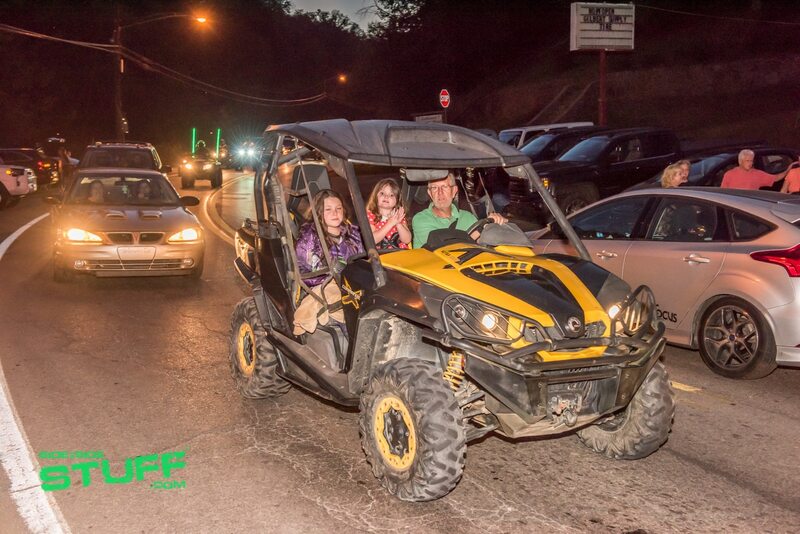 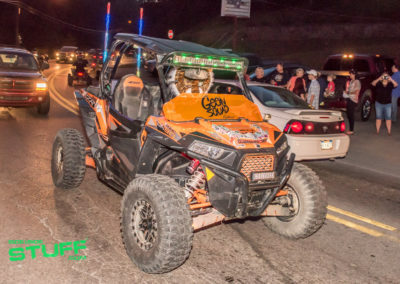 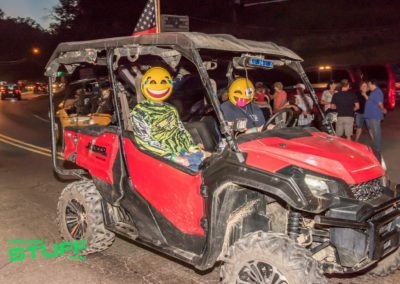 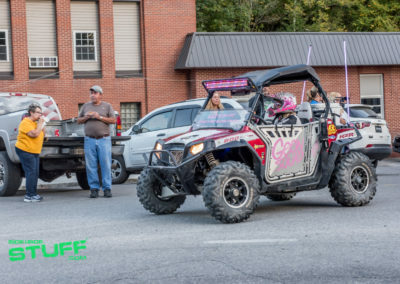 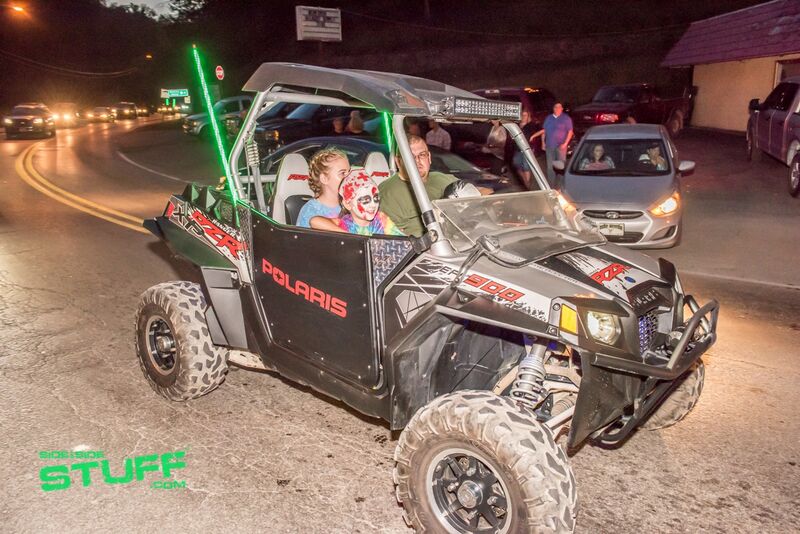 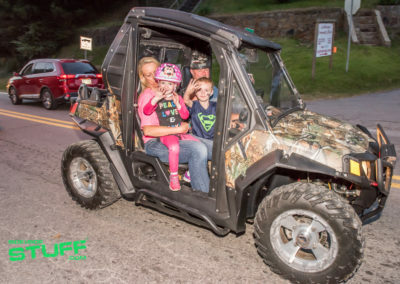 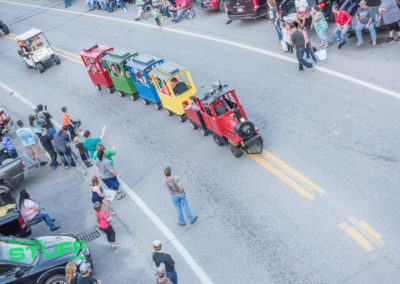 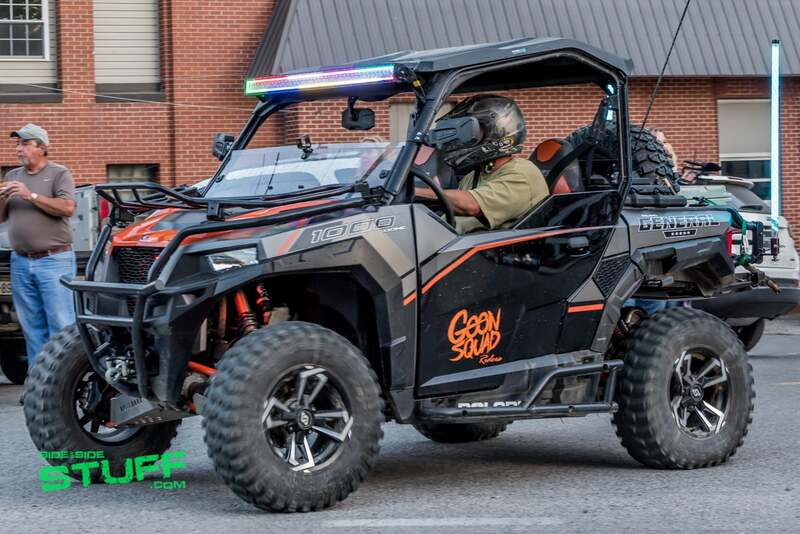 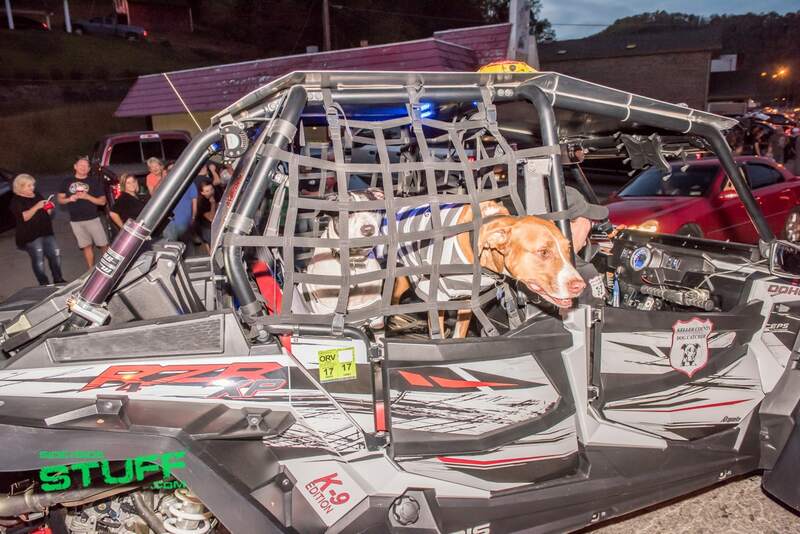 The Halloween themed activity took place on Saturday night as attendees who participated dressed up and decorated their ATVs and Side By Sides to ride down the main street of town tossing out candy and goodies to the big crowd of spectators. 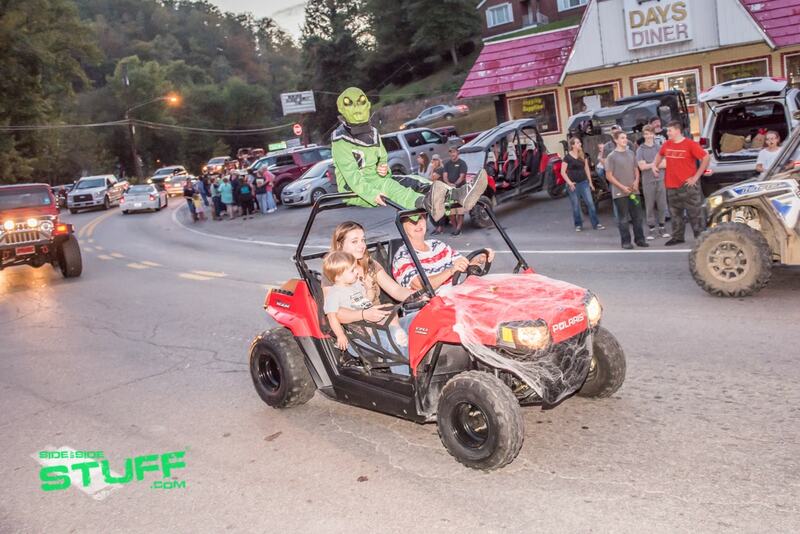 There was definitely some really cool costumes and floats ( side by sides ). 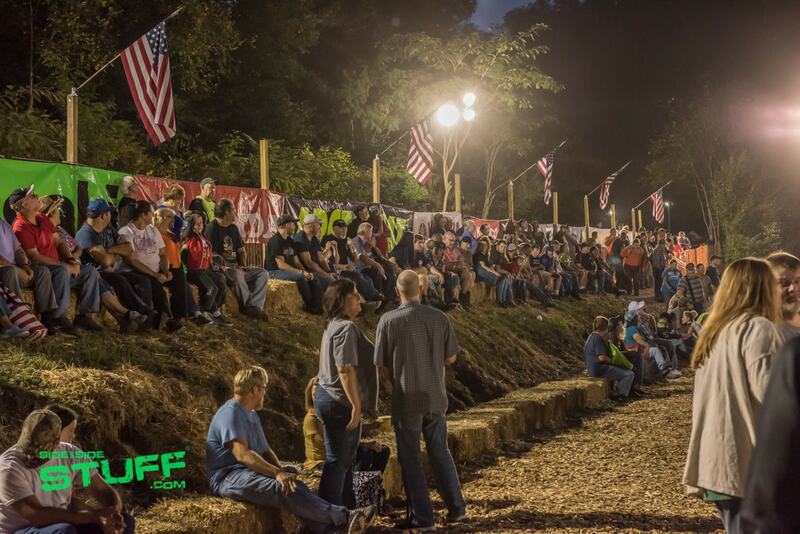 In the evenings the Mud Pit and Drag Racing courses were open. 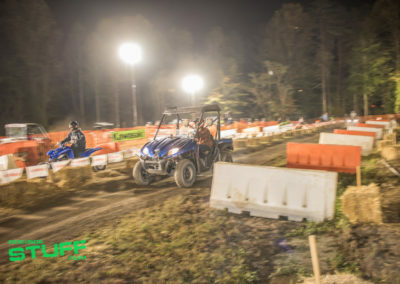 Attendees could test their riding skills and compete against others for a chance to take home the trophy. 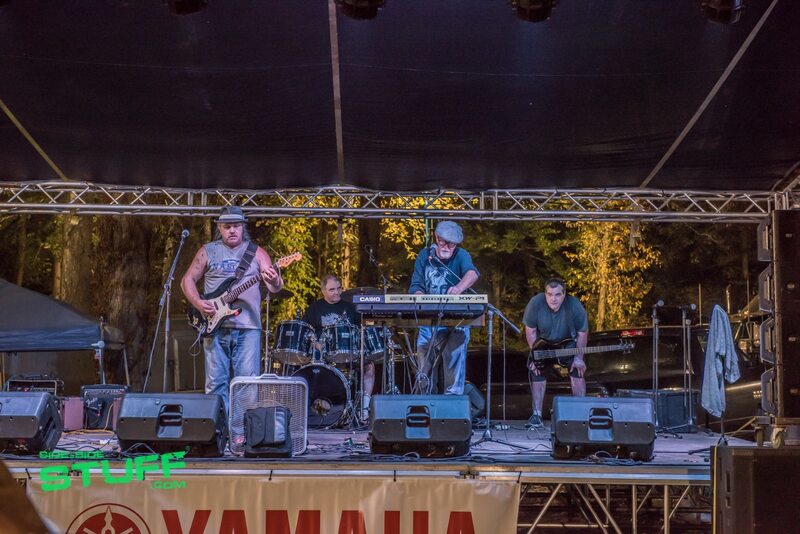 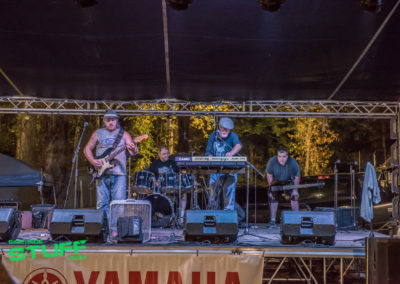 While fun was taking place on the course, some great bands took the stage and entertained the crowd with great live music. 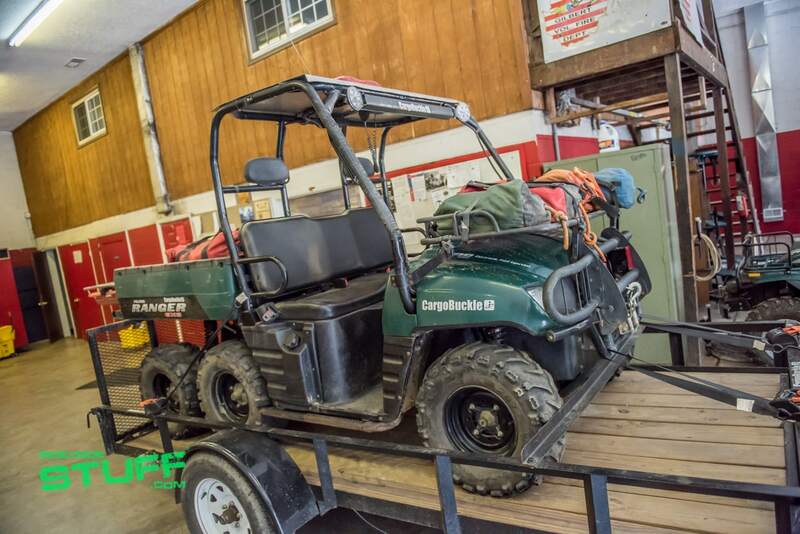 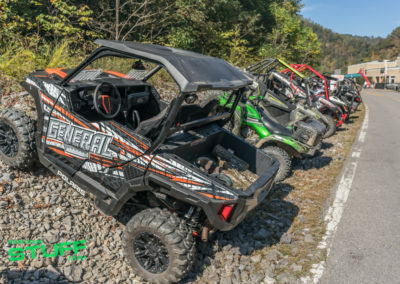 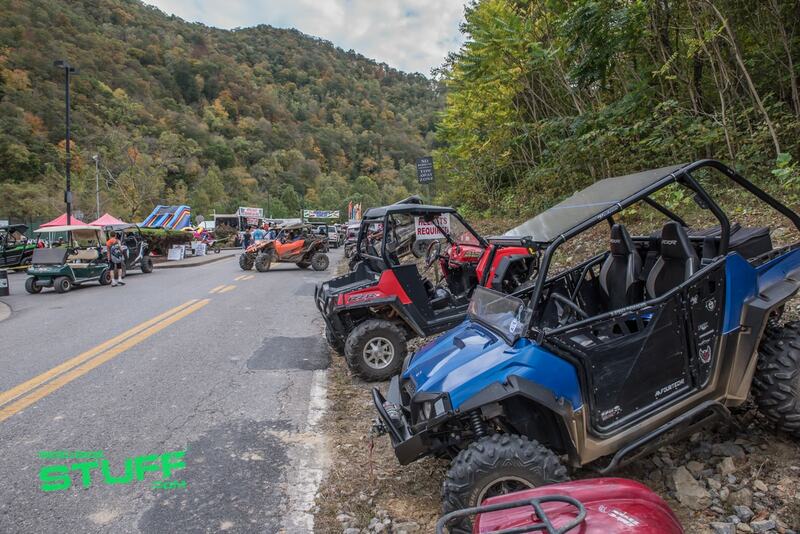 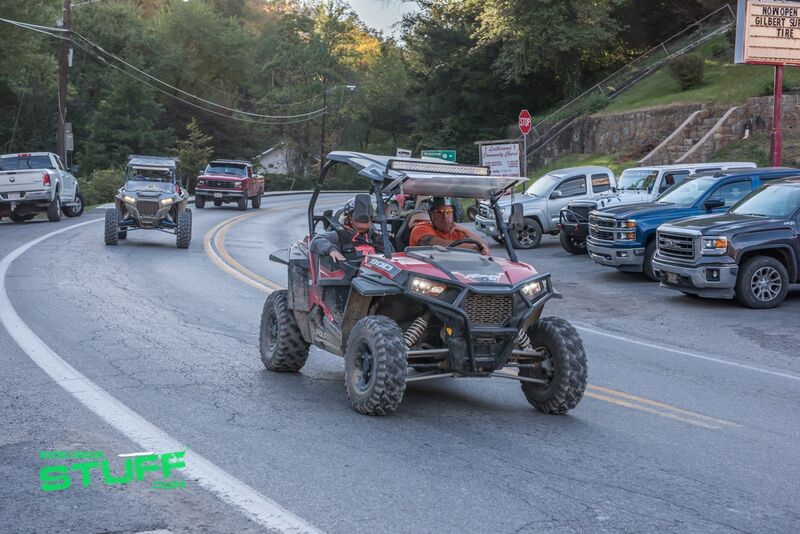 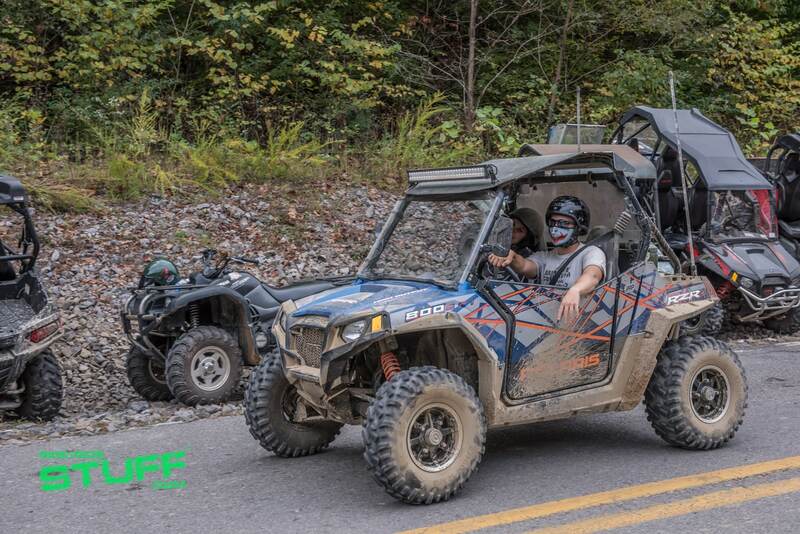 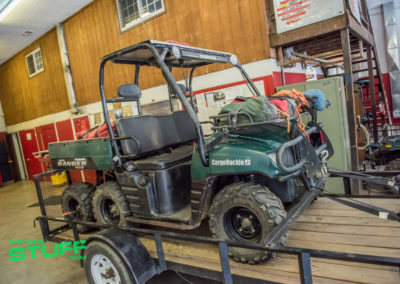 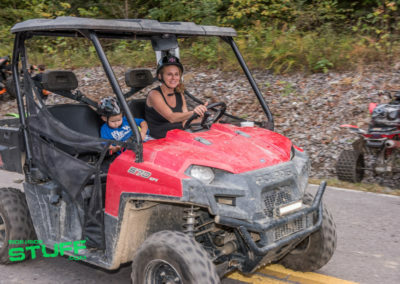 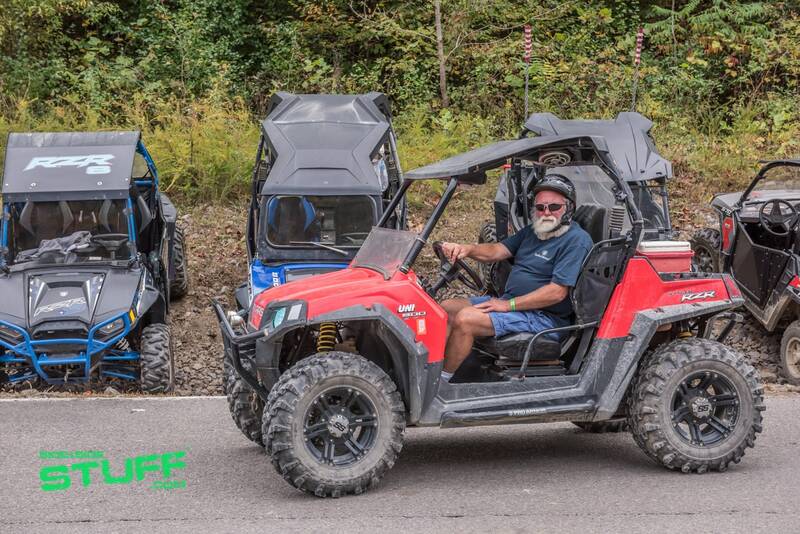 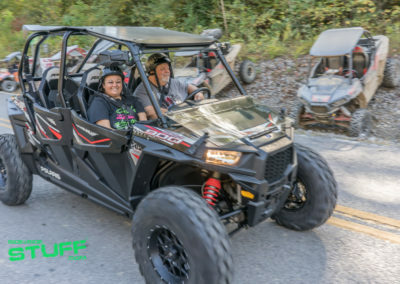 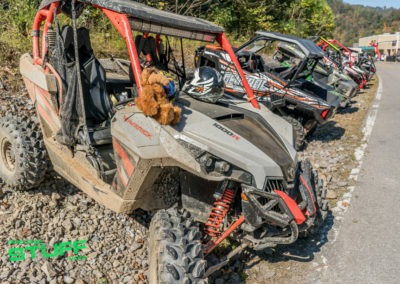 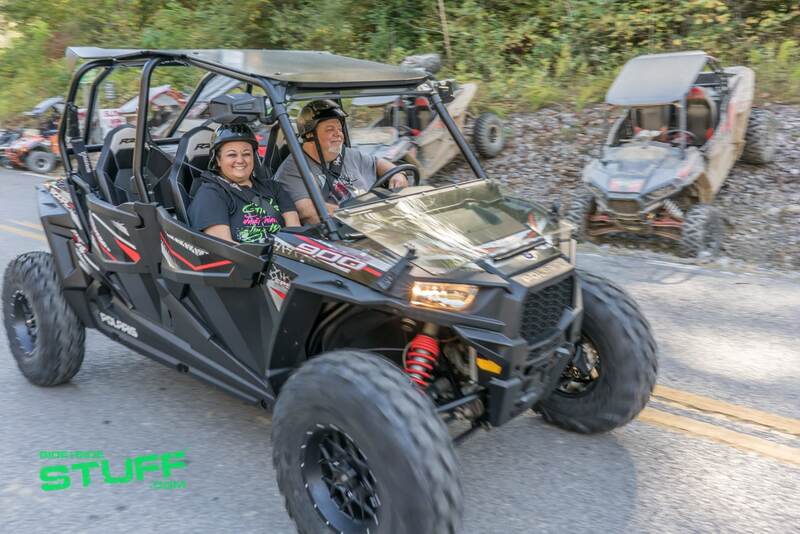 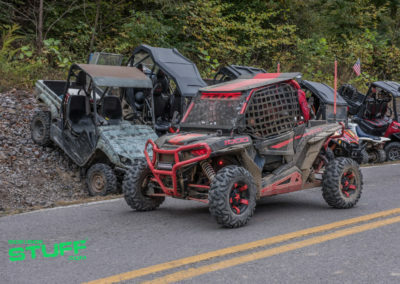 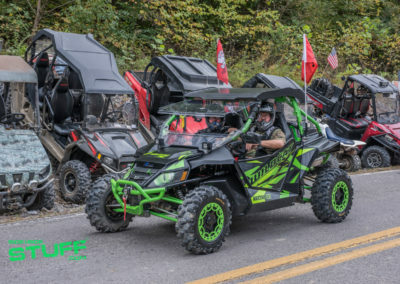 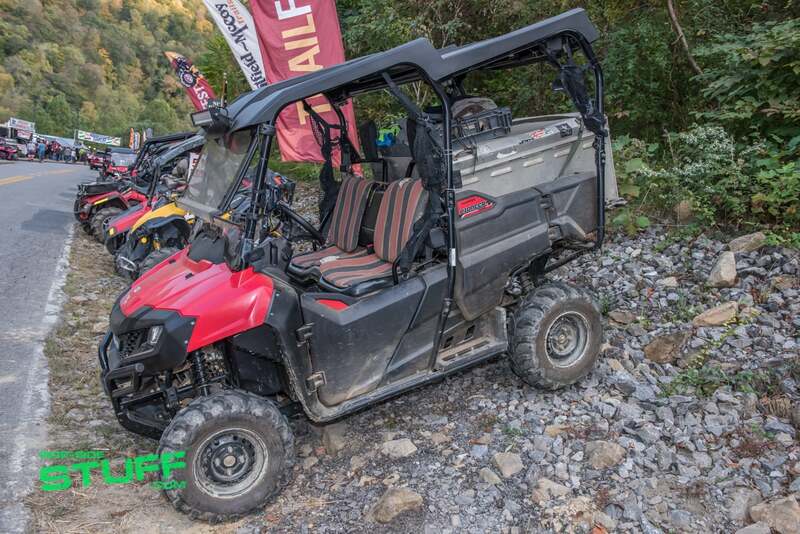 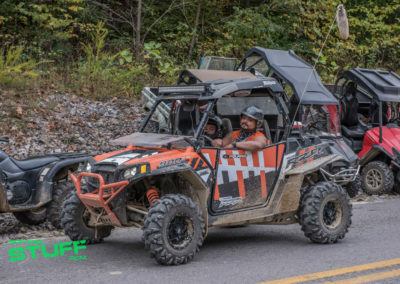 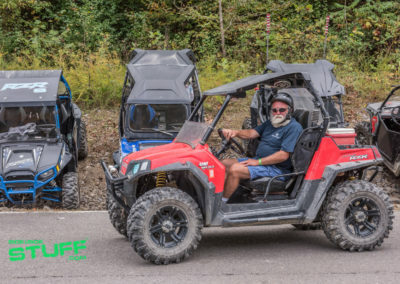 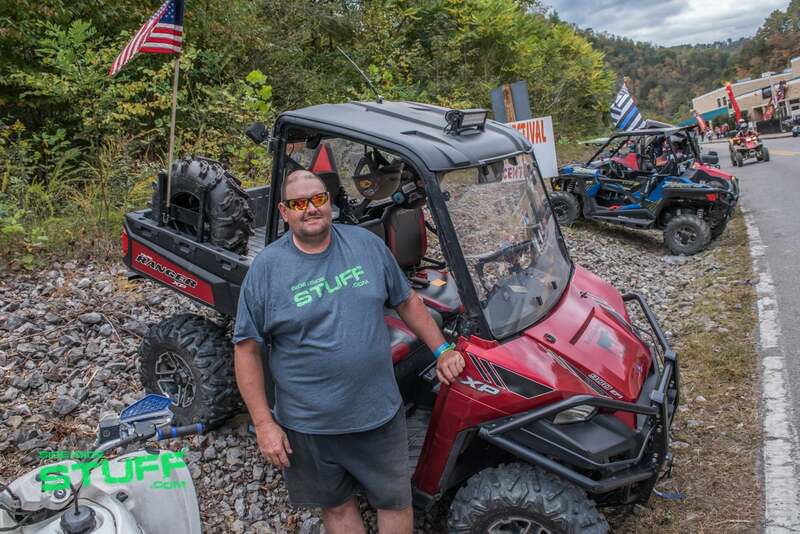 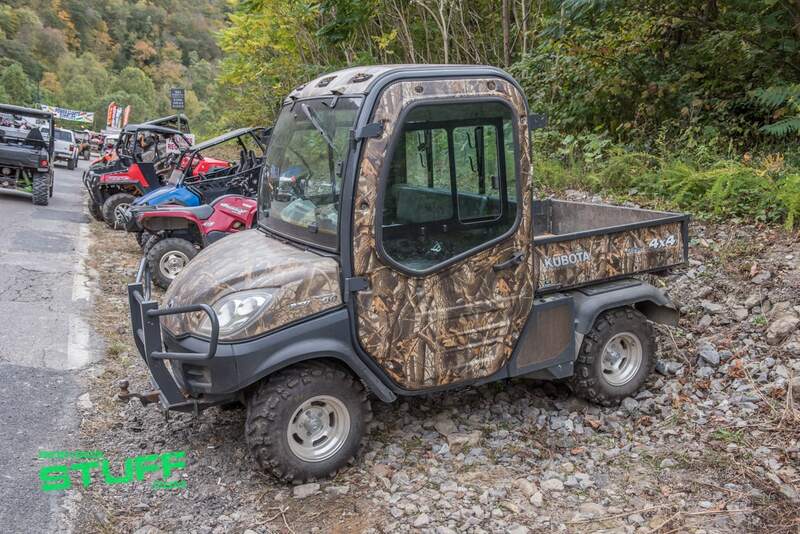 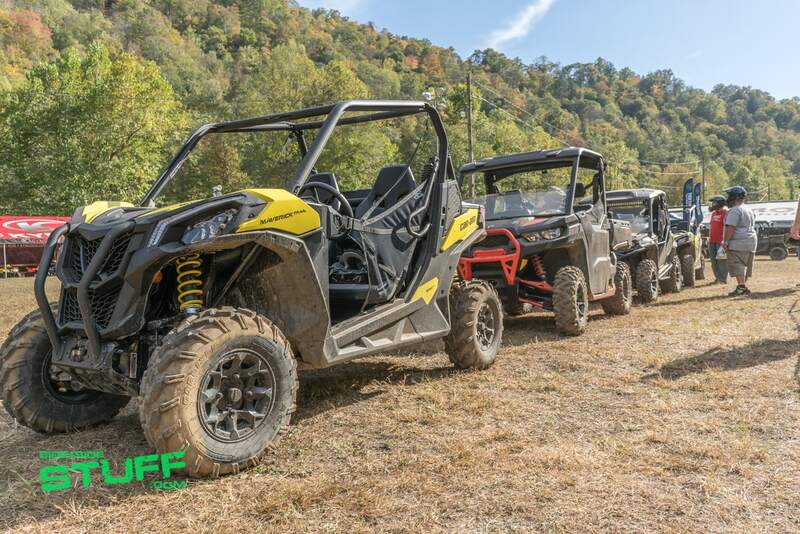 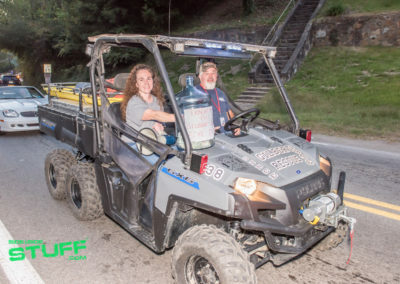 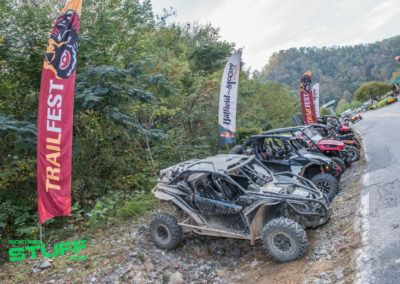 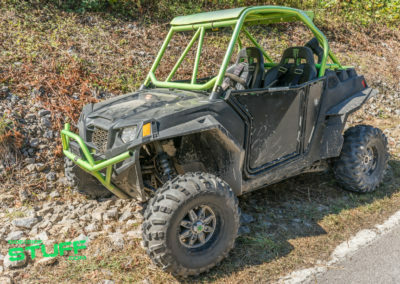 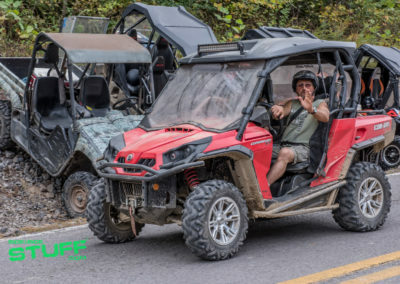 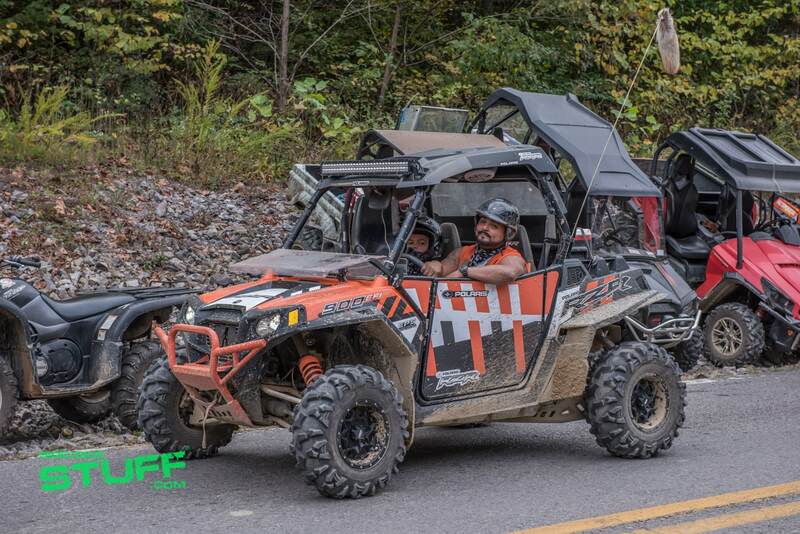 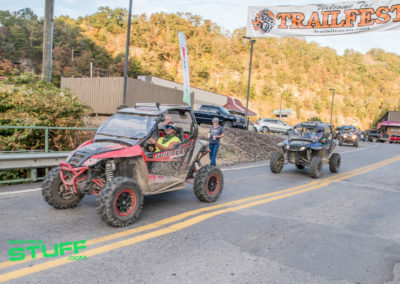 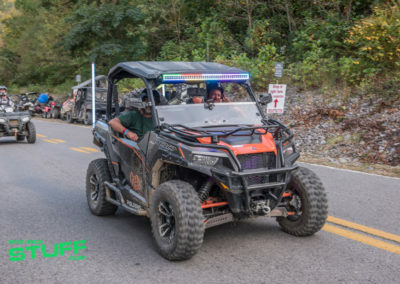 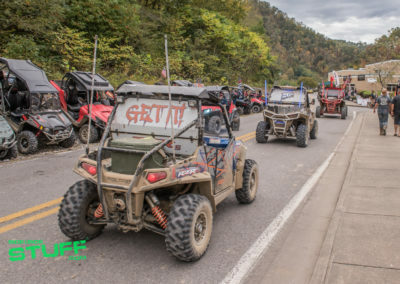 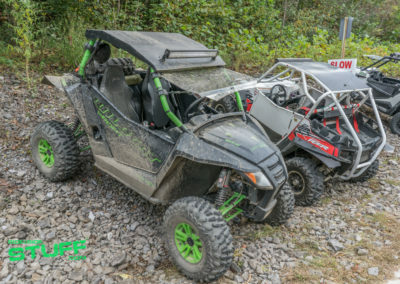 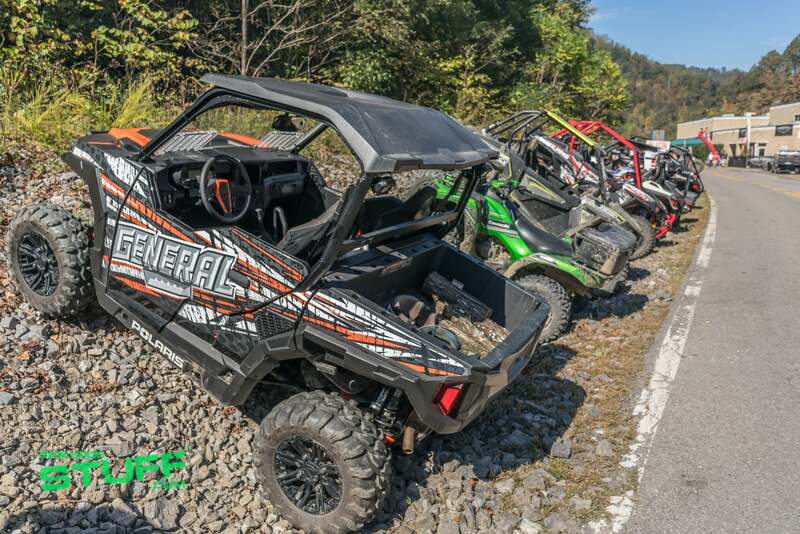 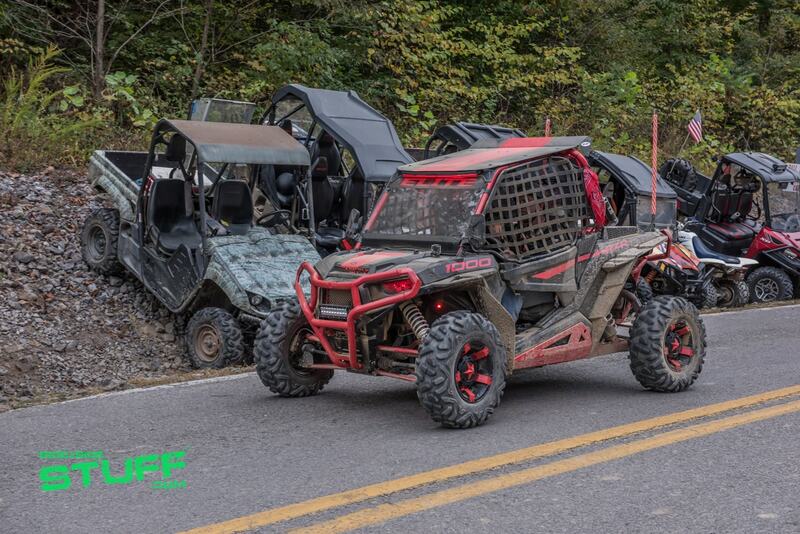 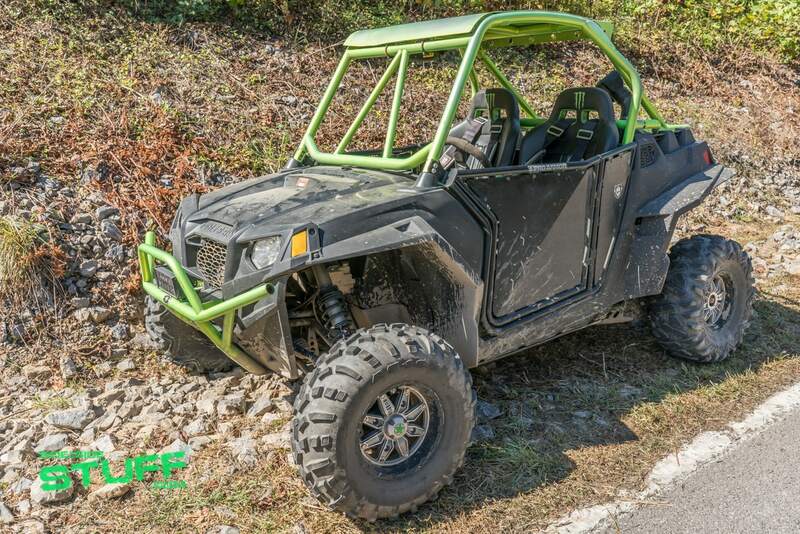 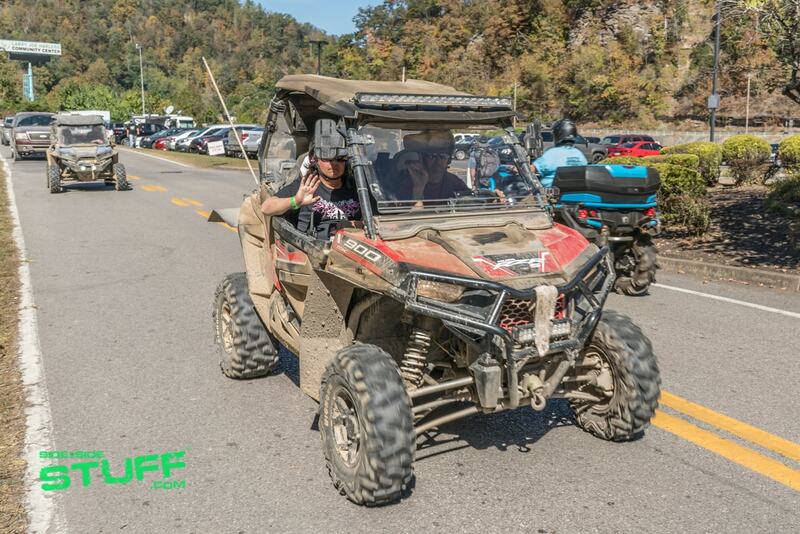 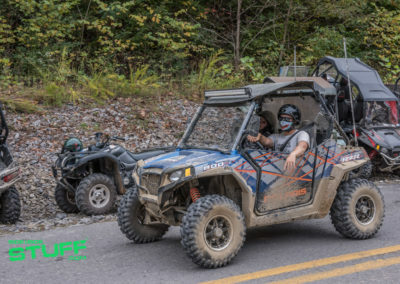 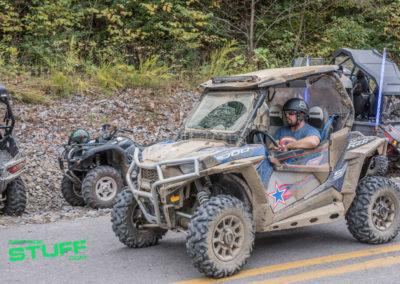 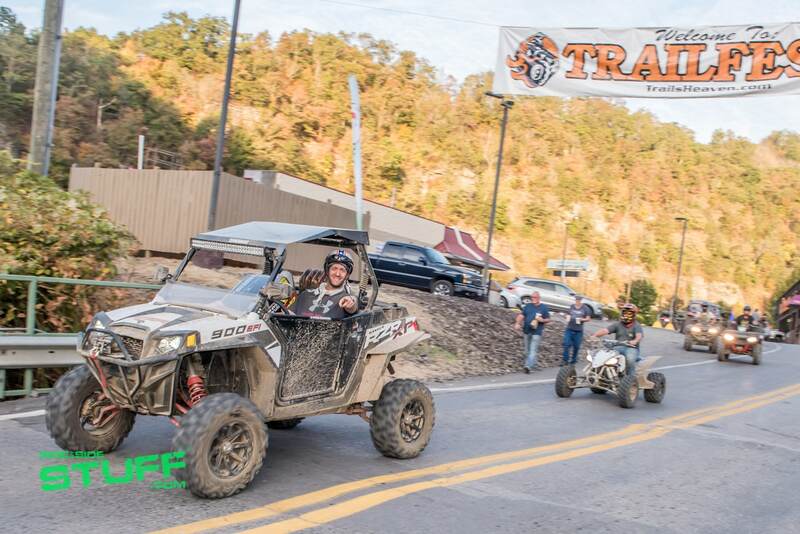 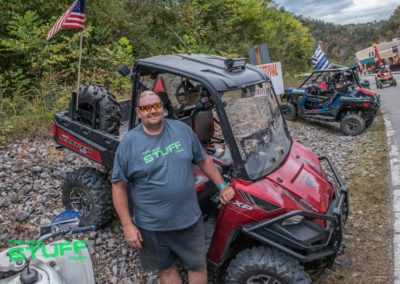 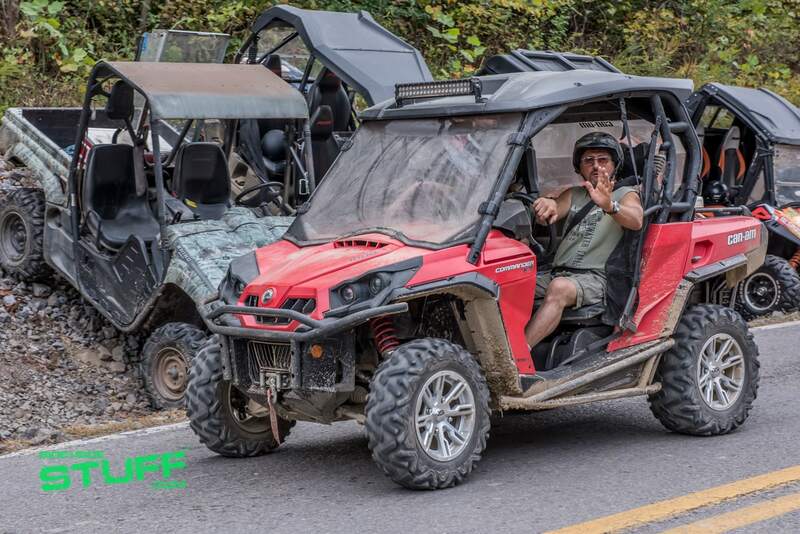 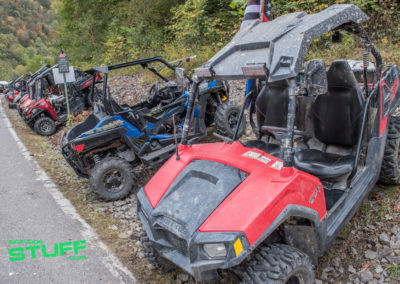 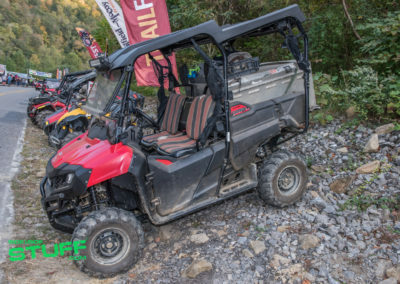 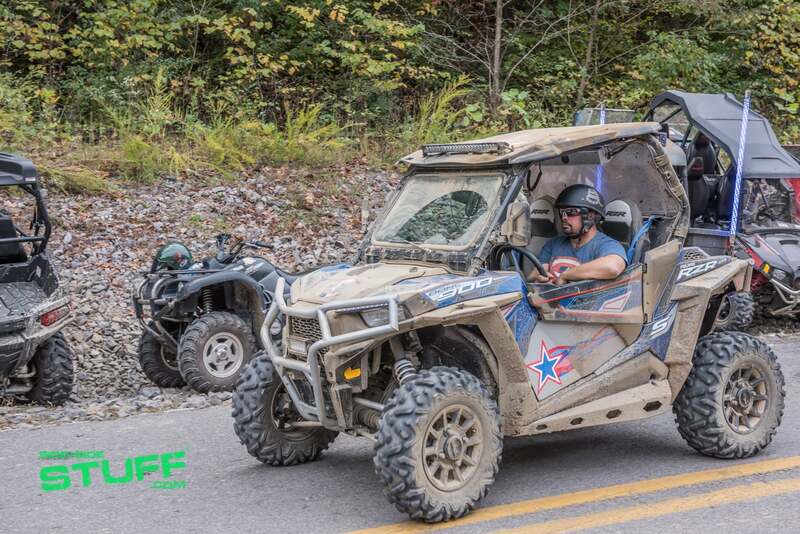 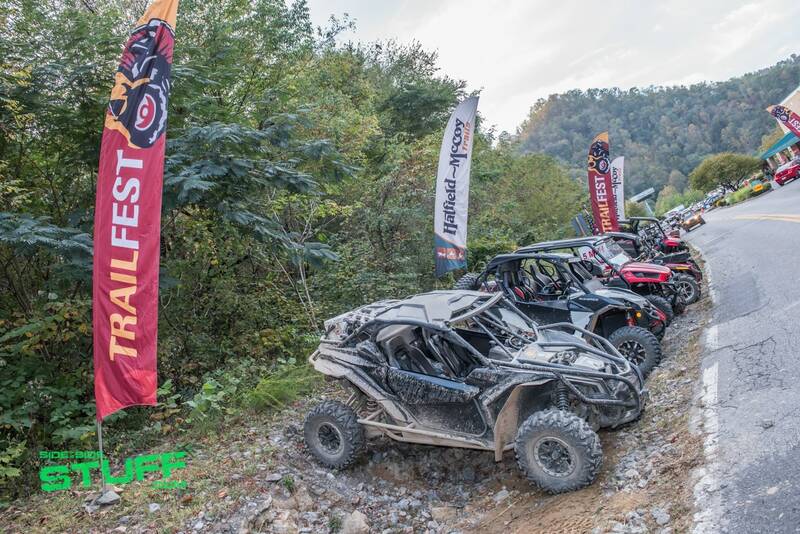 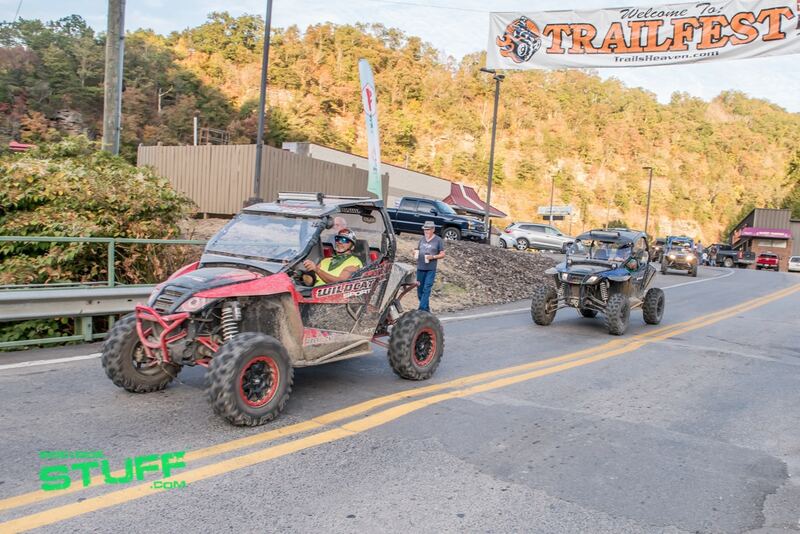 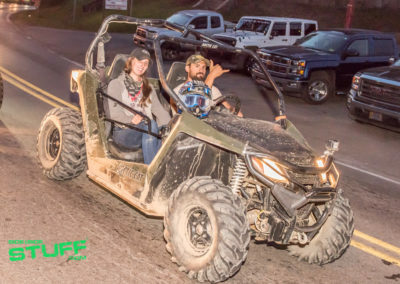 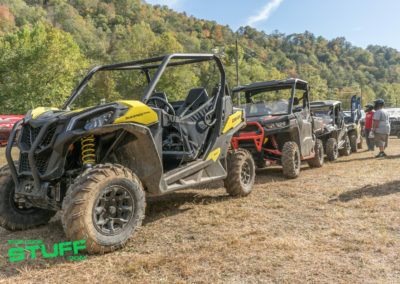 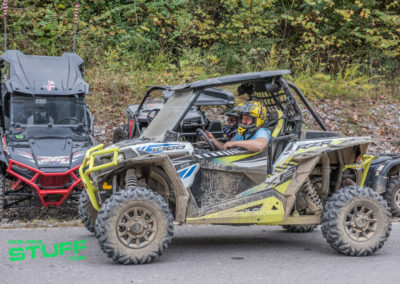 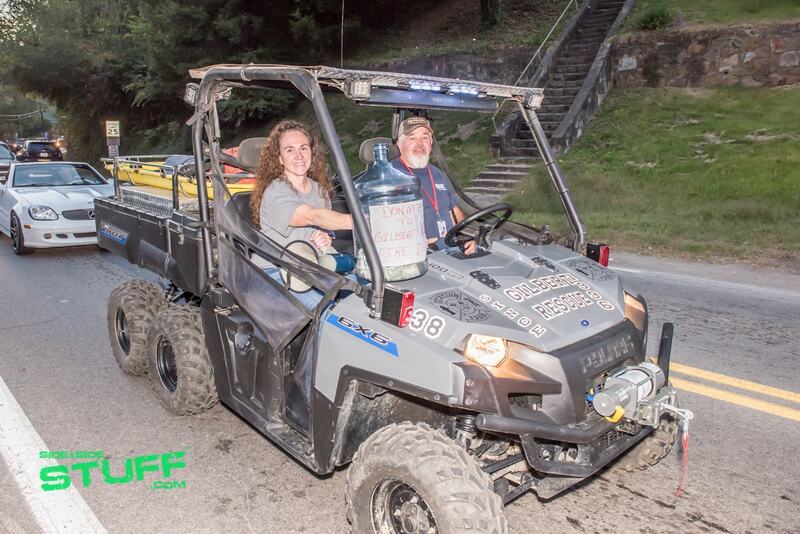 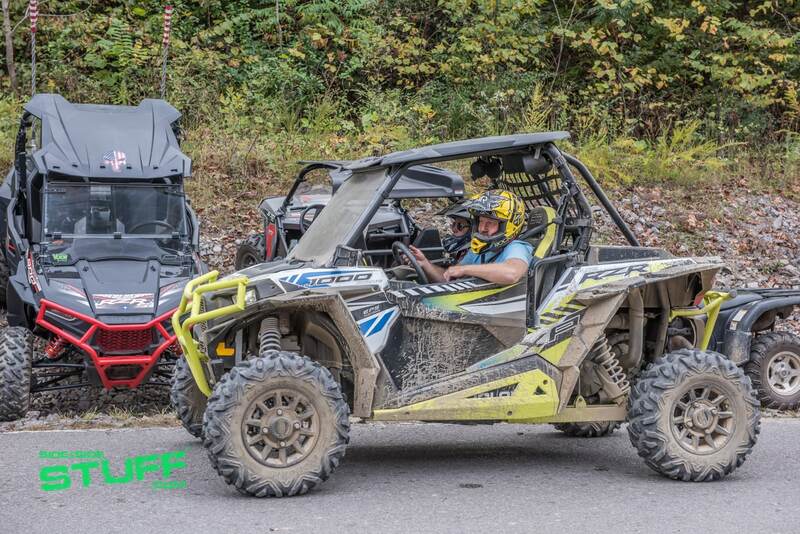 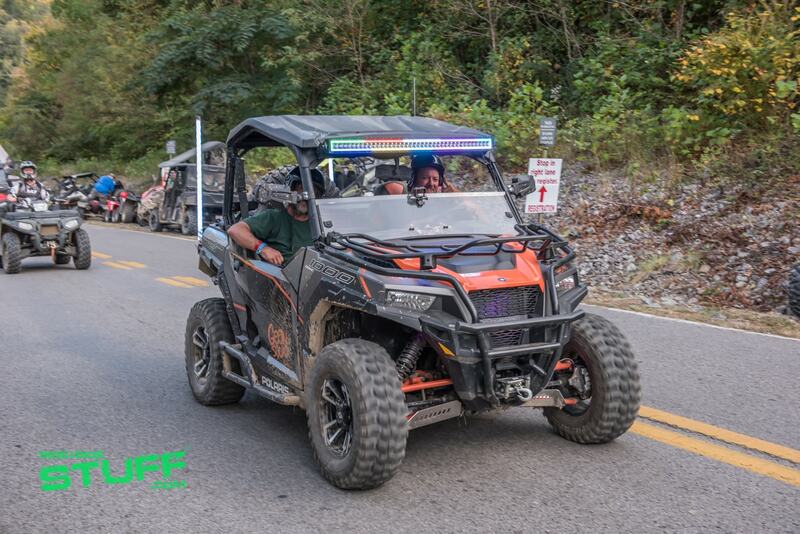 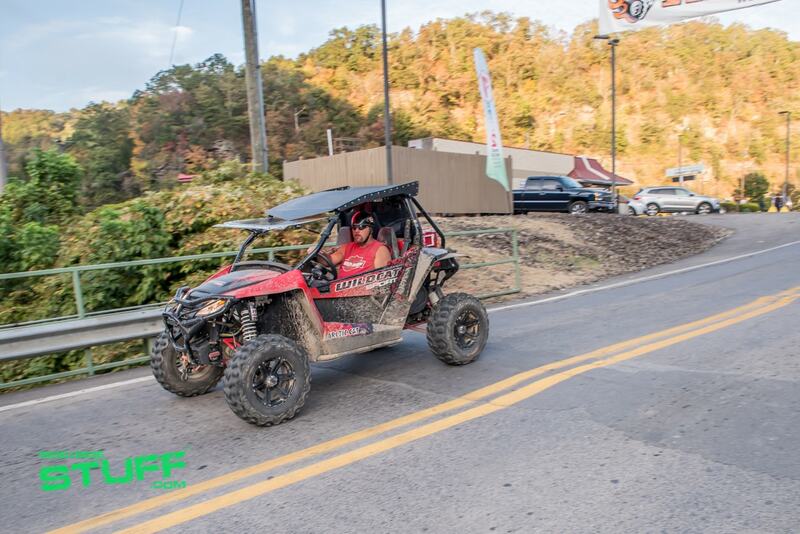 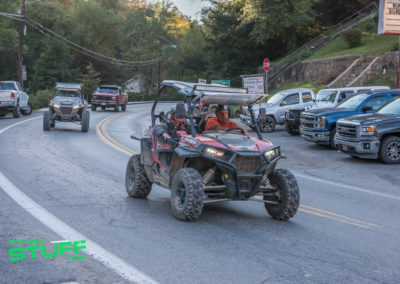 The Hatfield-McCoy Trail System is an off-roading mecca offering hundreds of miles of trails that spread across nine counties in southern West Virginia. 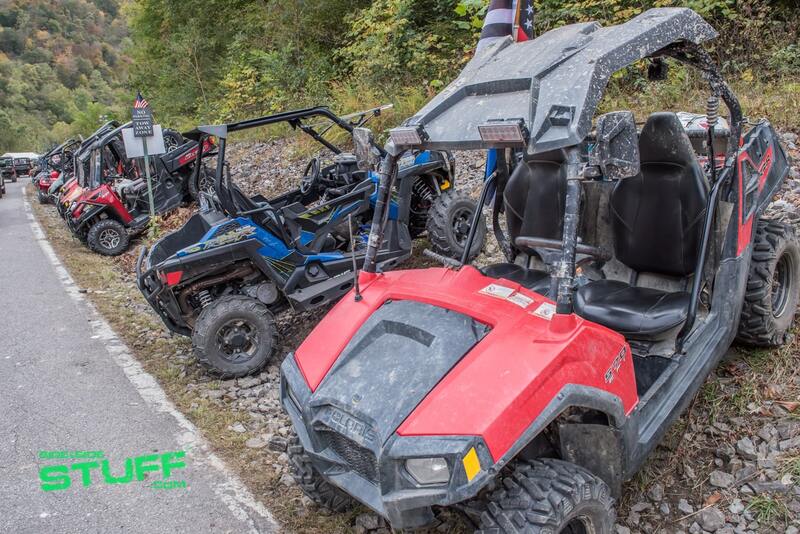 With a variety of trails ranging from easy to very difficult, there is definitely something for all skill levels. 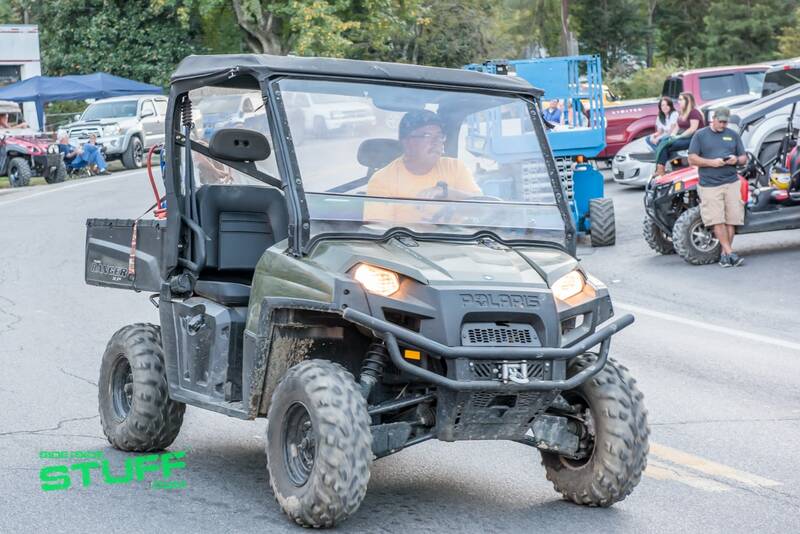 However, for first time riders the mountainous terrain can be difficult; many local guided tour rides are available. 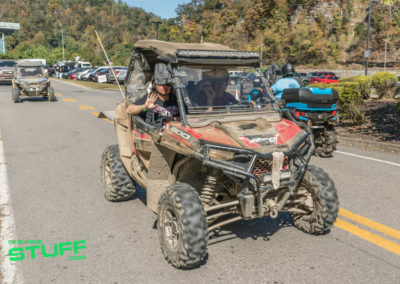 The Hatfield-McCoy trails are actually made up of seven trail systems that connect with each other: Buffalo Mountain, Bearwallow, Devil Anse, Indian Ridge, Pocahontas, Pinnacle Creek and Rockhouse. 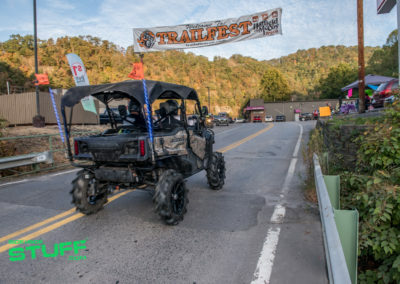 The Hatfield-McCoy Trail System project is still under development with plans to develop and link even more trails, estimating as much as 2,000 total miles once completed. 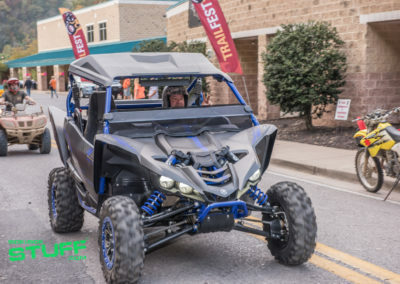 National TrailFest was an awesome event! 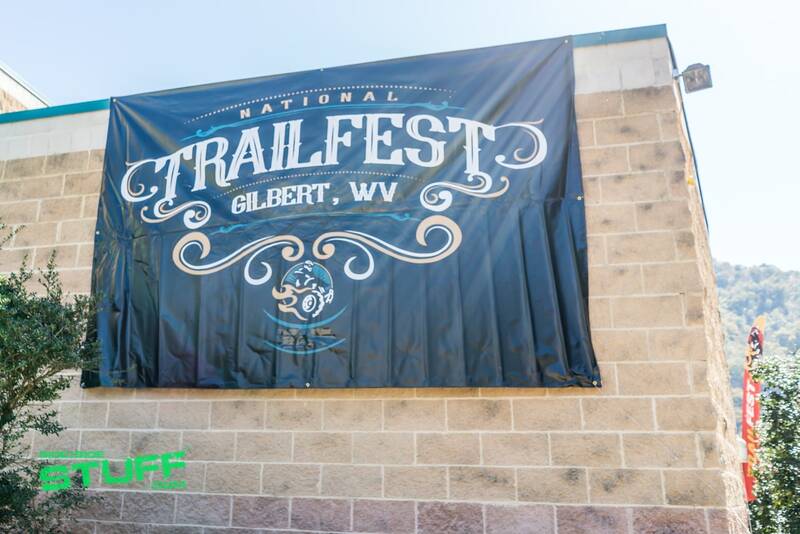 The people of Gilbert, West Virginia were friendly, hospitable and very welcoming to all riders. 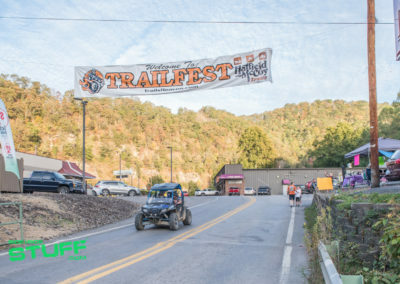 We give TrailFest an A+, on top of the area’s rich history and mind-boggling scenery, you can expect great entertainment and excellent riding. 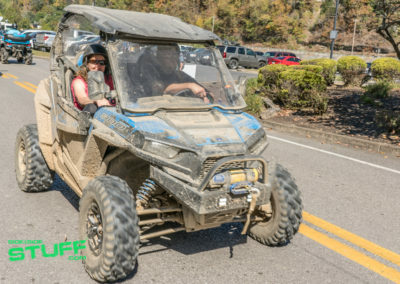 We recommend putting the Hatfield-McCoy Trail System on your bucket list for places to ride. 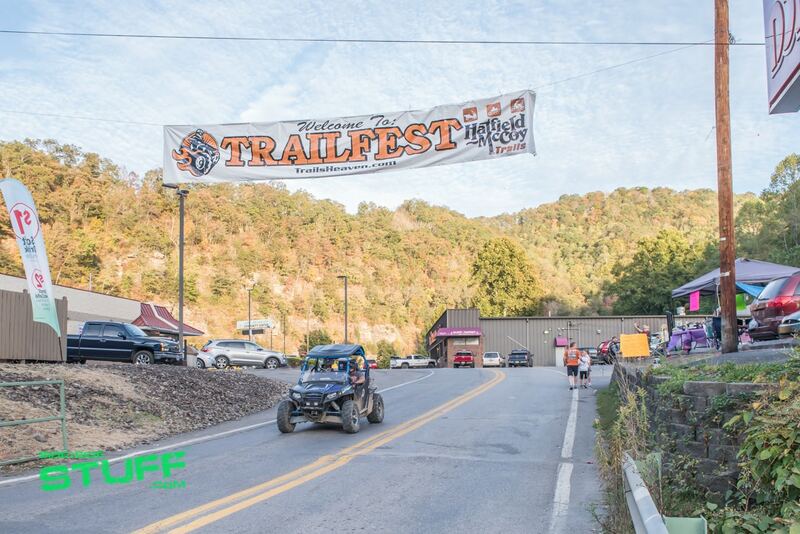 Better yet, we encourage you to join us next year at the 2018 National TrailFest event; we guarantee you’ll love it!